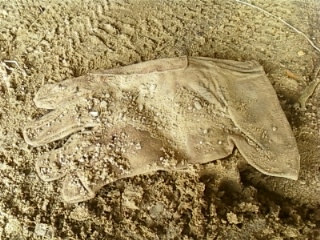 For some years now, I've been collecting something - this probably is as close to a permanent hobby as I've ever come. 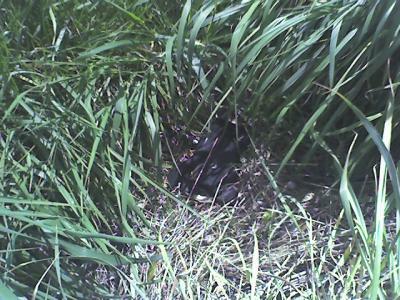 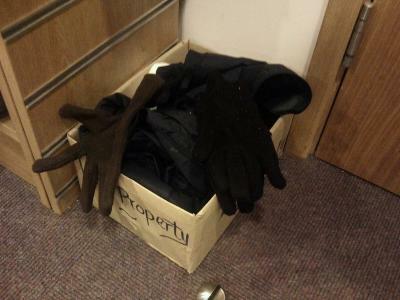 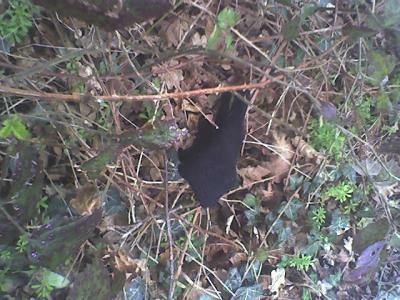 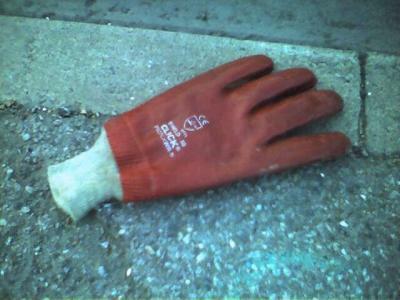 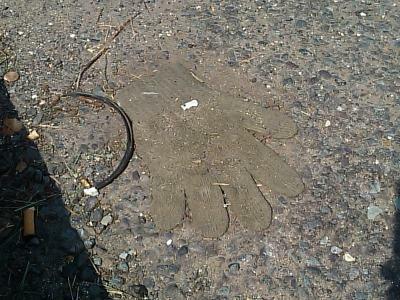 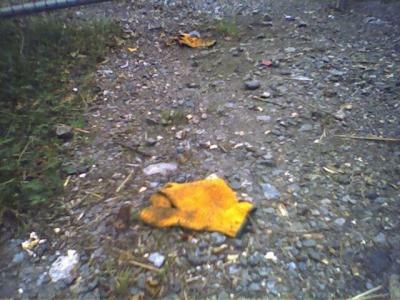 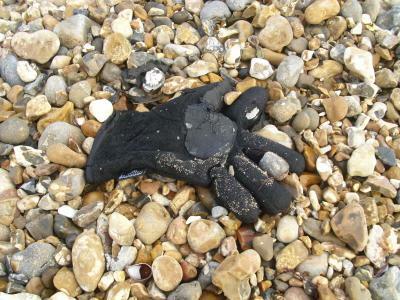 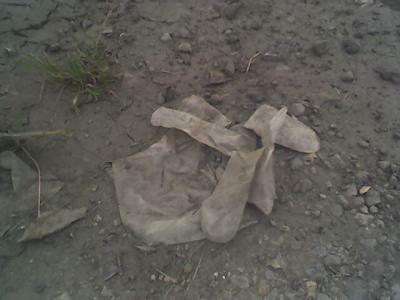 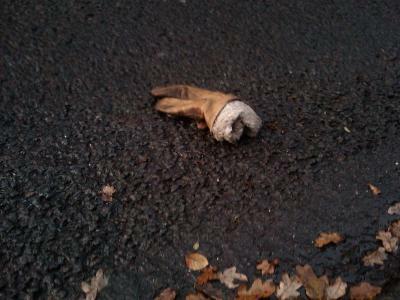 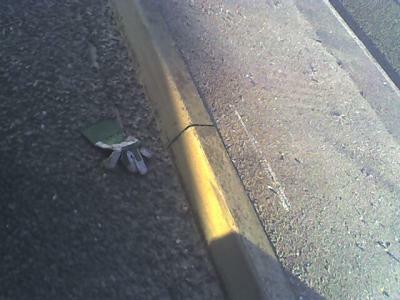 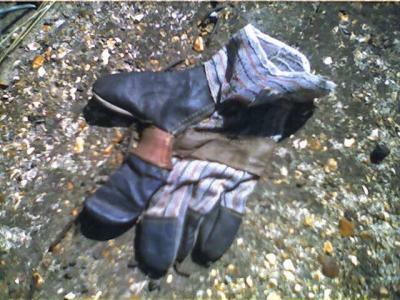 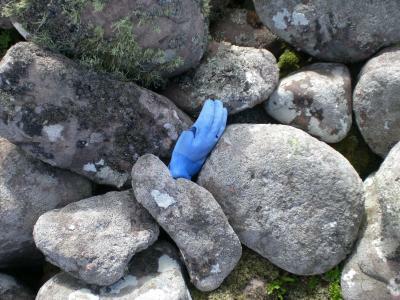 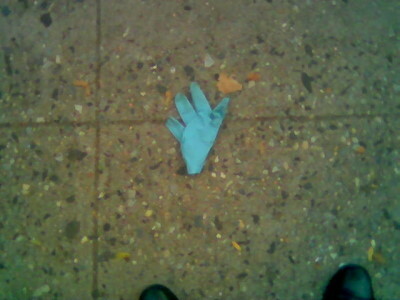 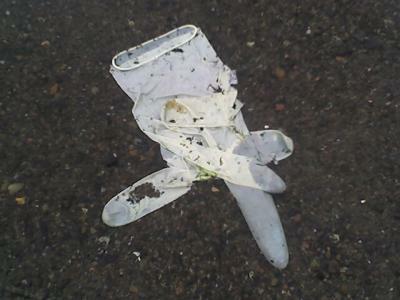 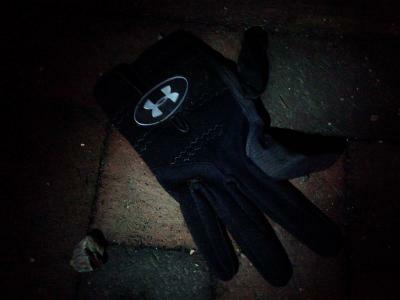 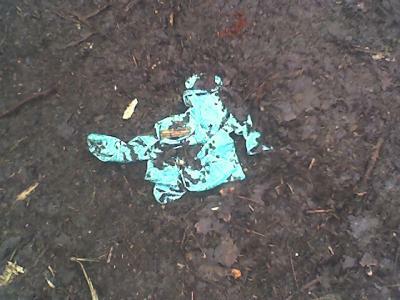 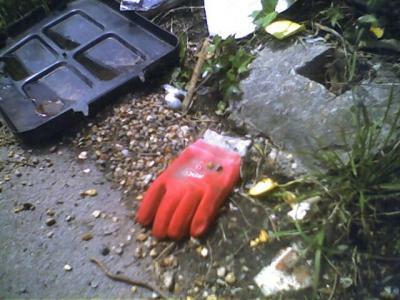 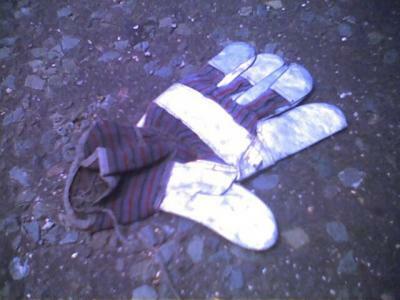 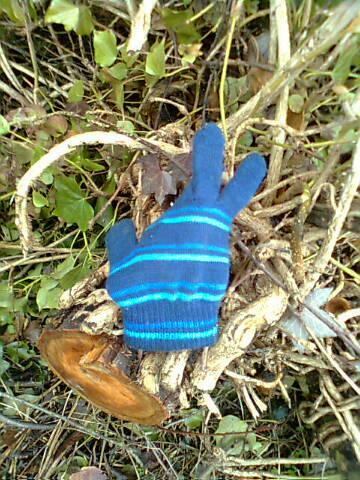 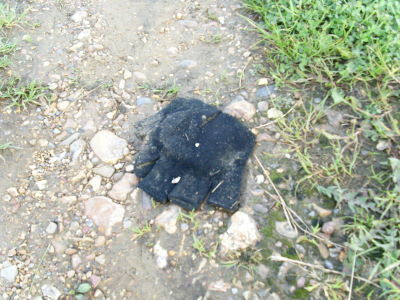 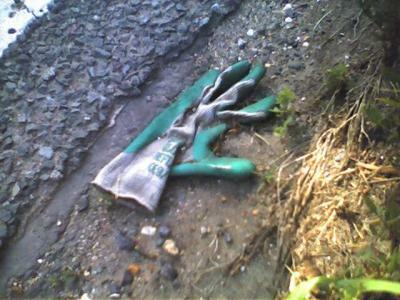 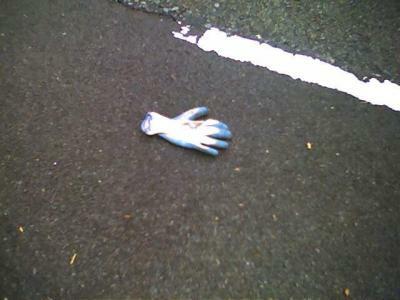 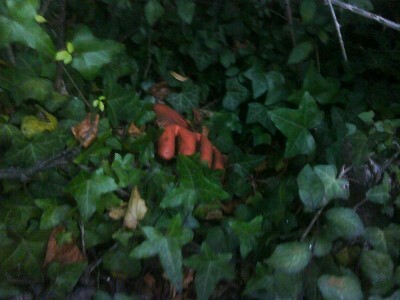 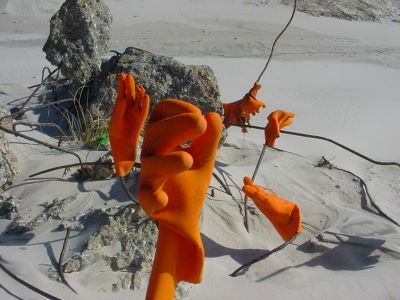 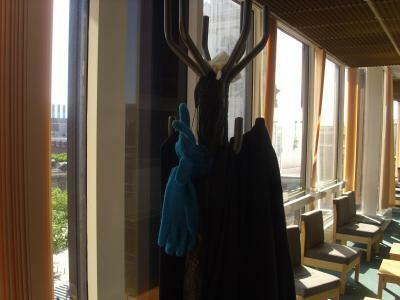 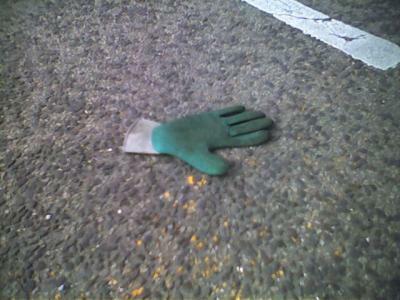 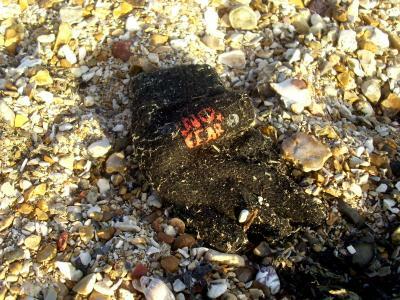 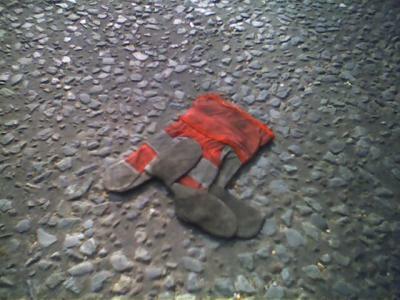 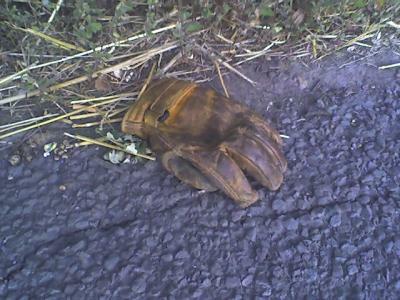 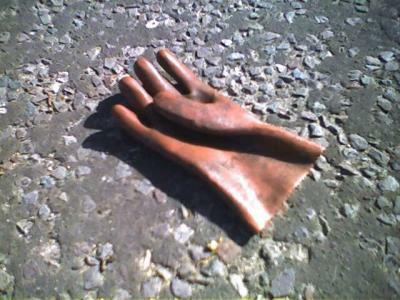 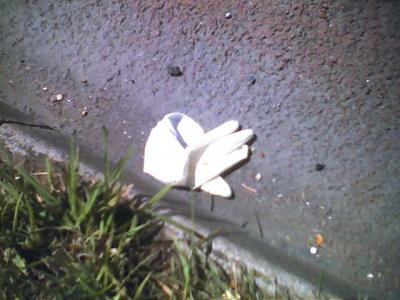 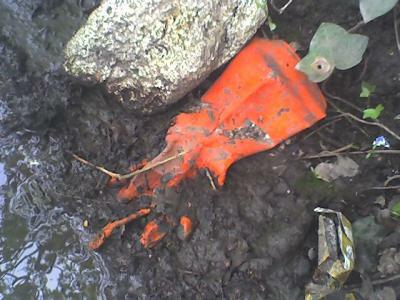 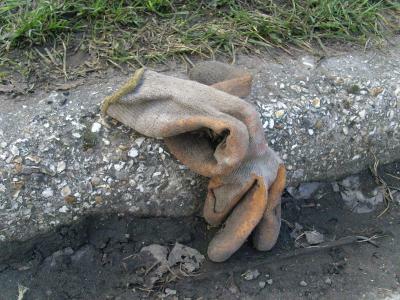 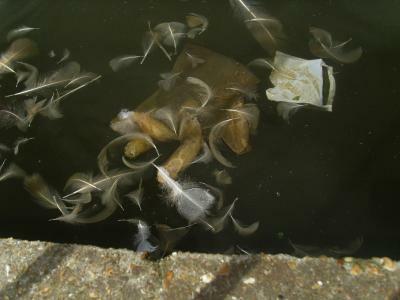 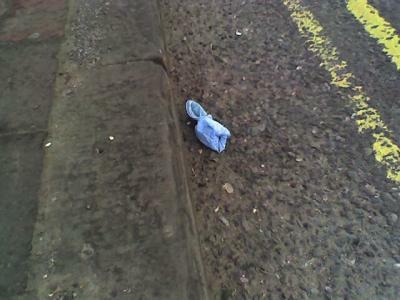 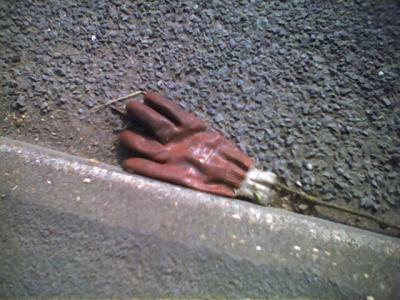 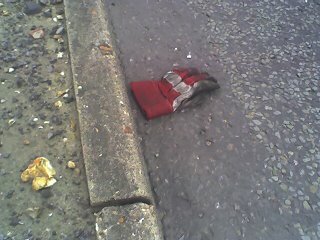 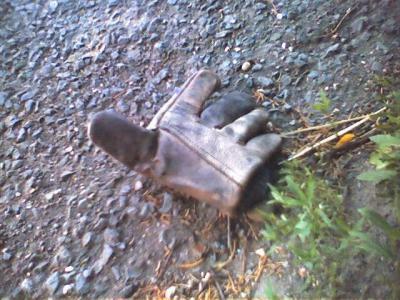 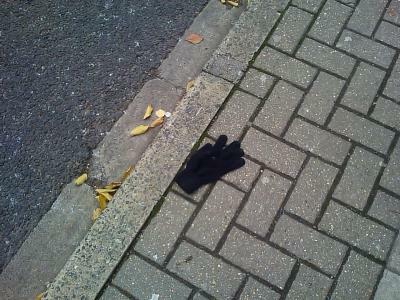 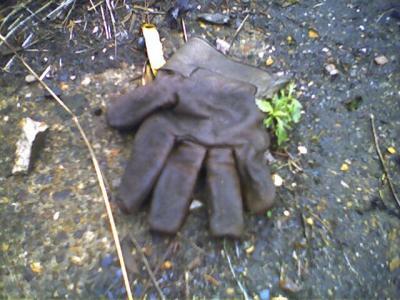 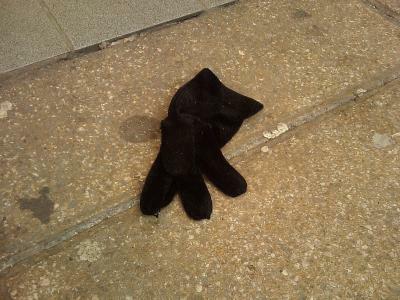 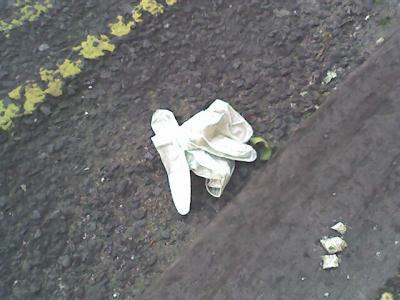 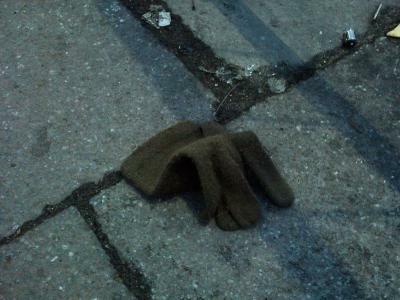 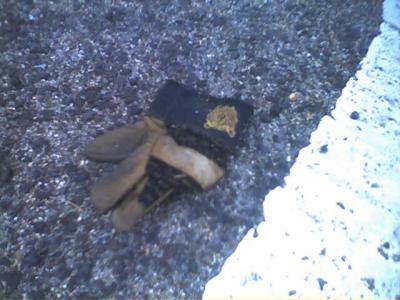 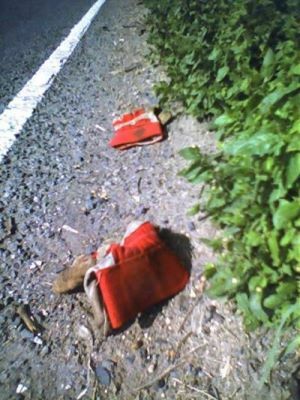 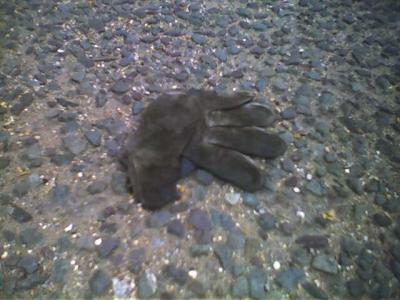 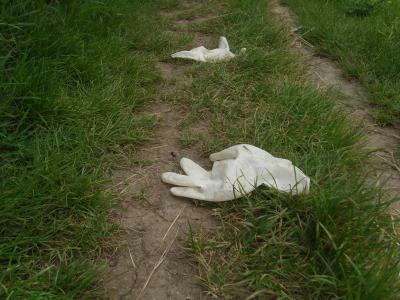 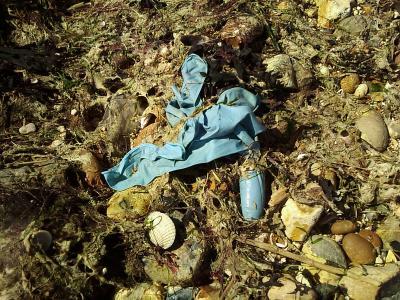 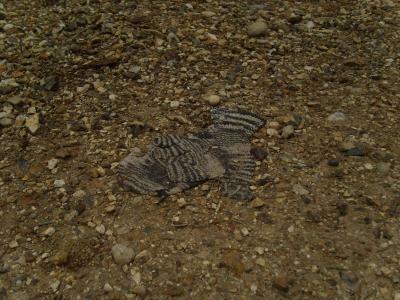 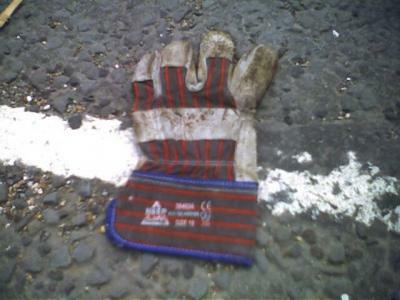 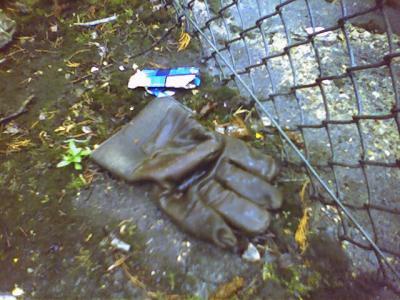 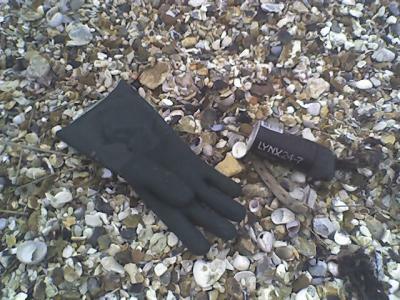 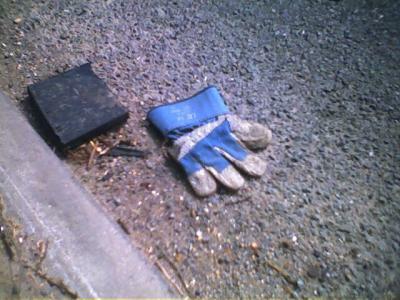 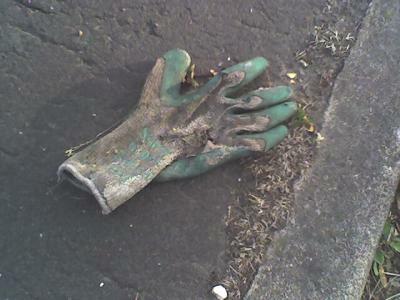 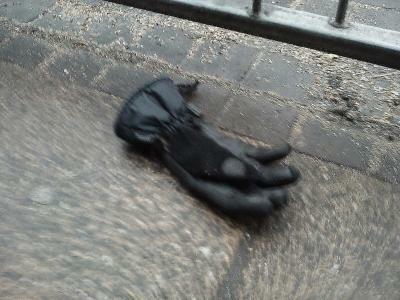 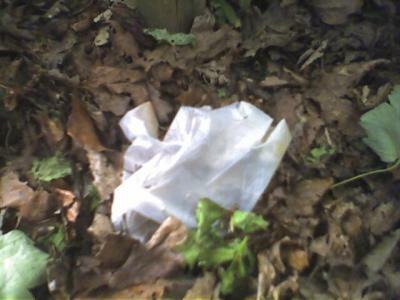 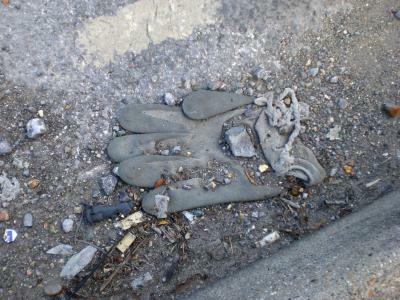 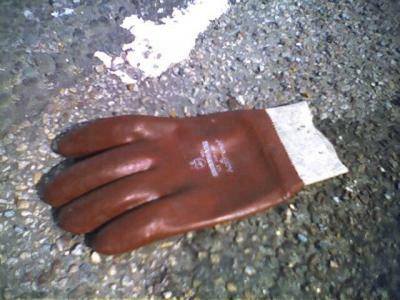 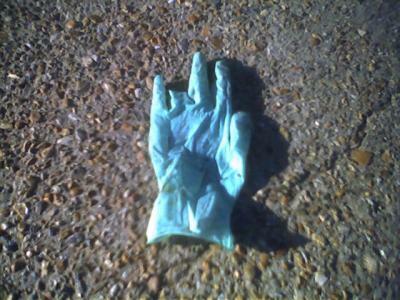 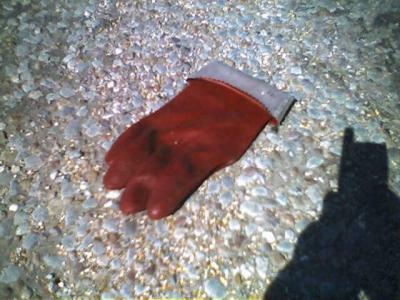 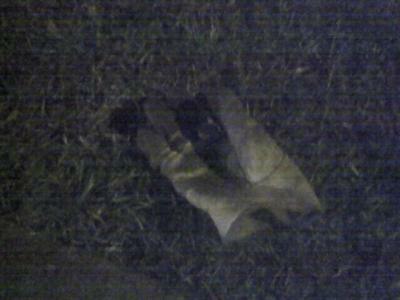 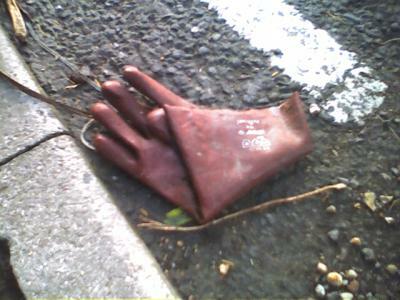 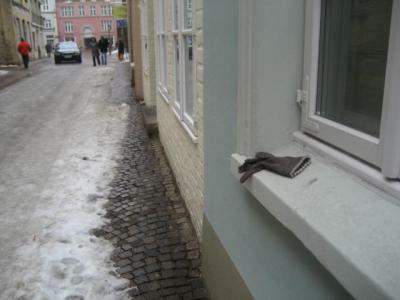 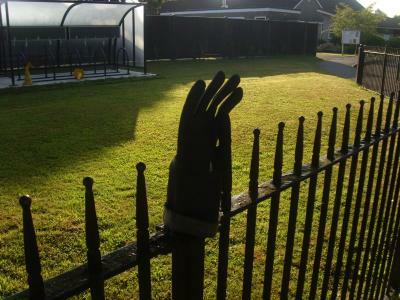 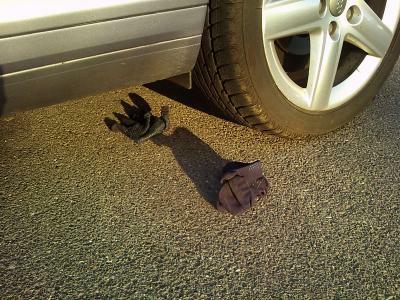 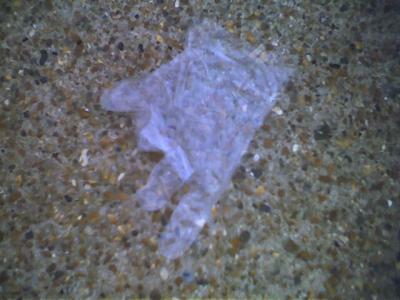 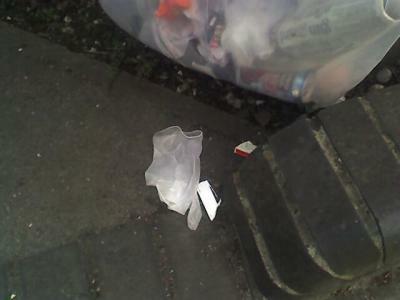 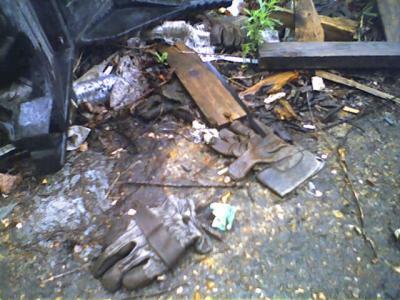 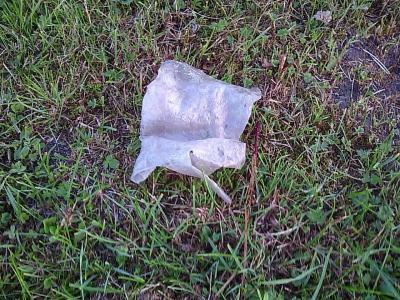 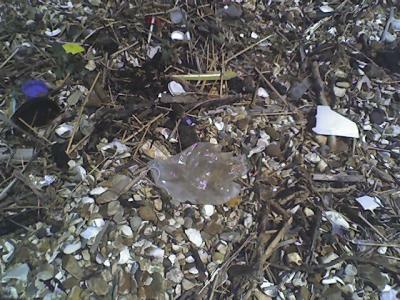 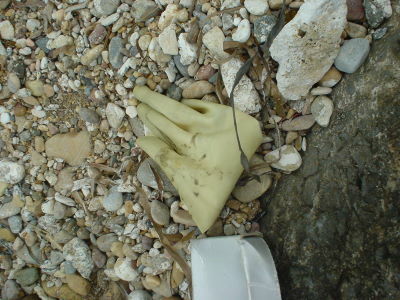 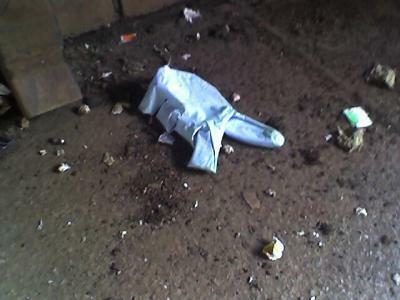 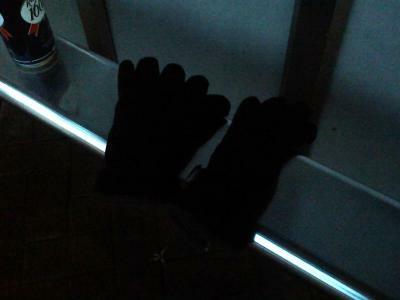 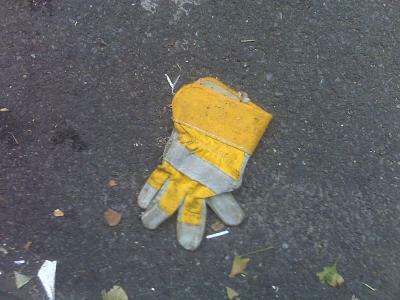 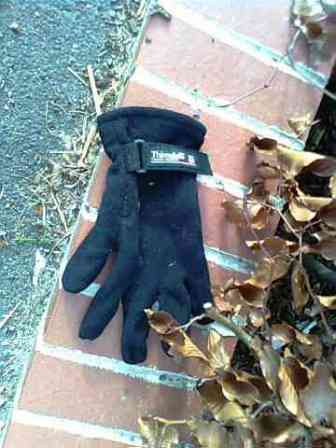 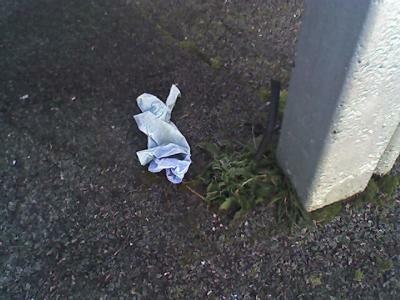 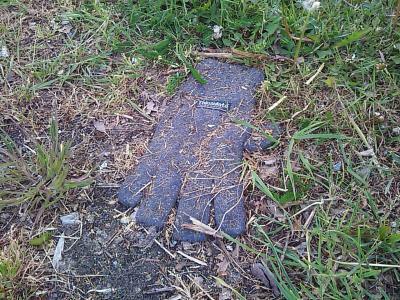 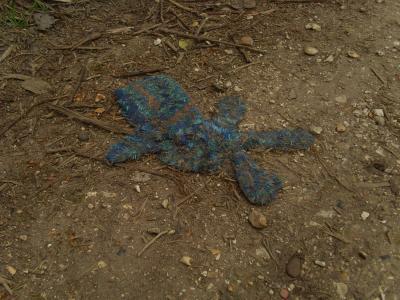 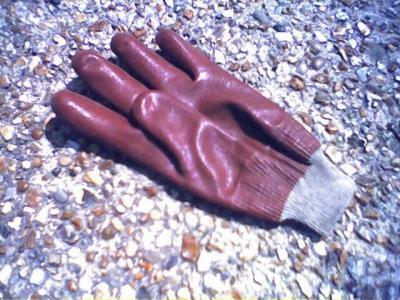 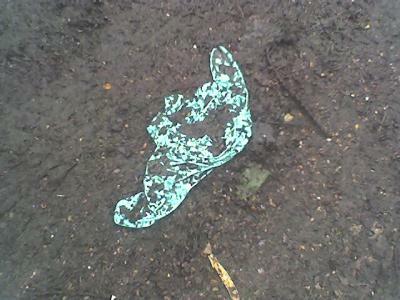 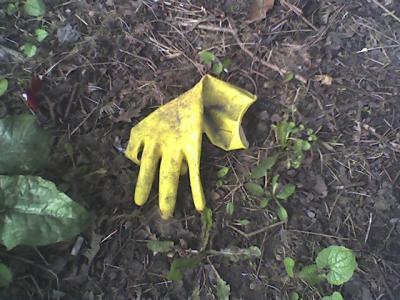 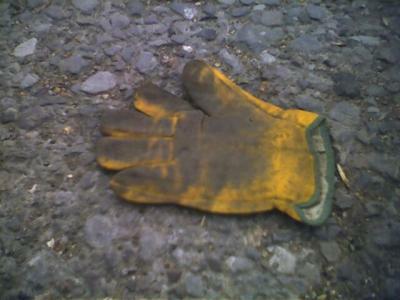 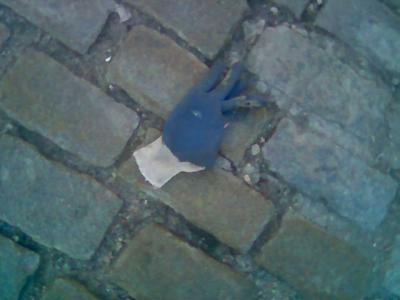 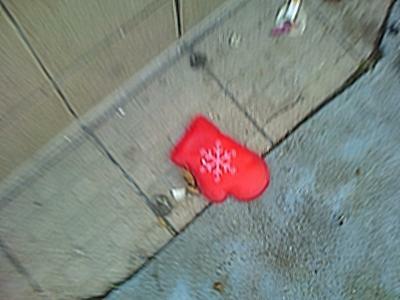 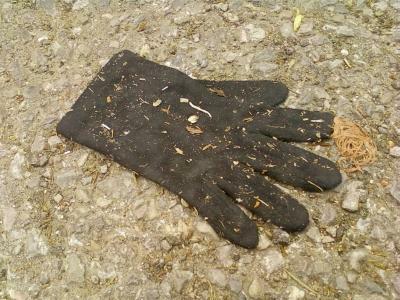 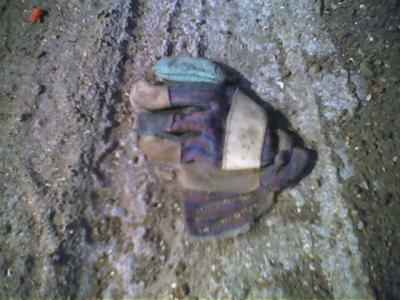 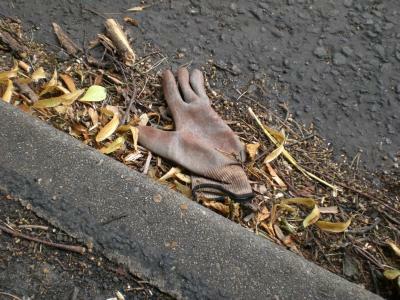 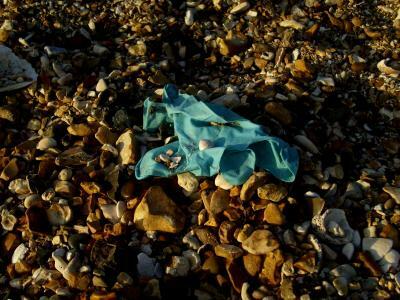 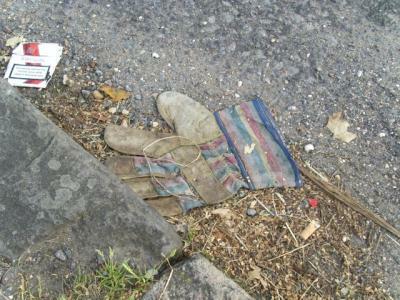 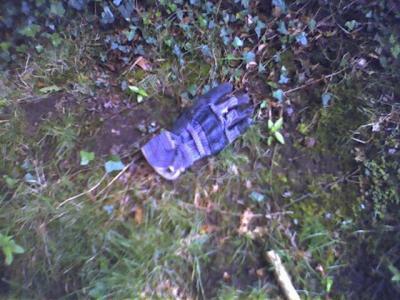 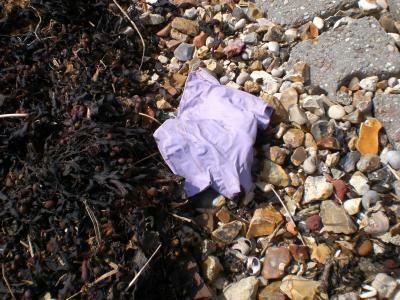 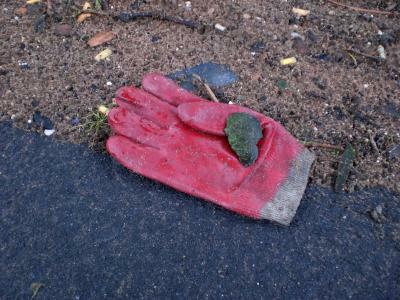 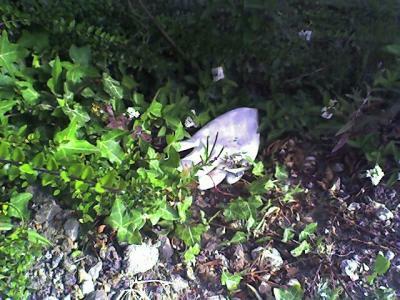 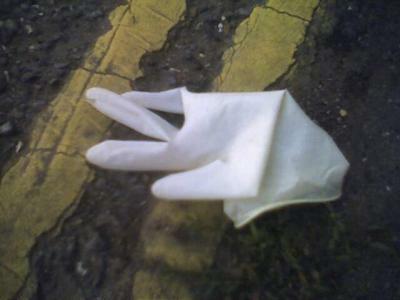 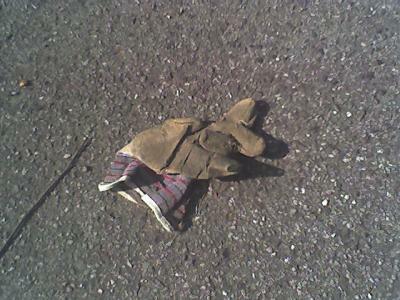 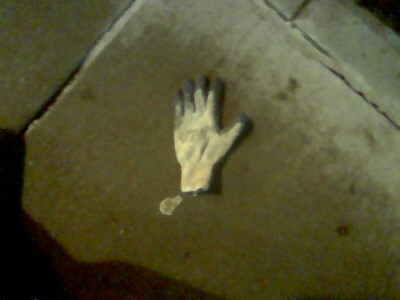 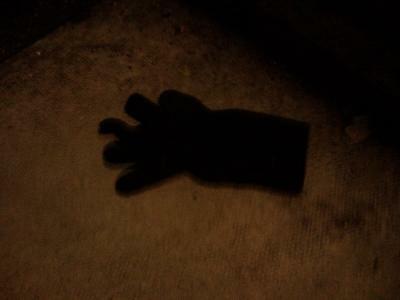 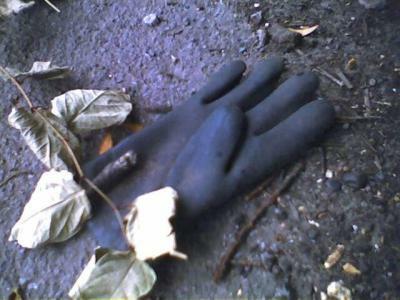 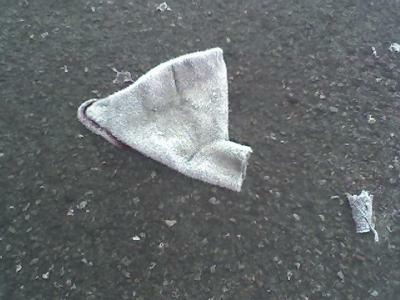 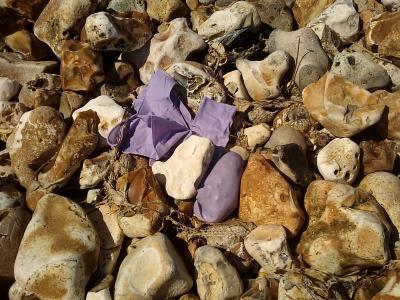 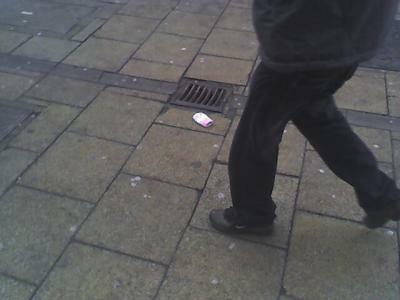 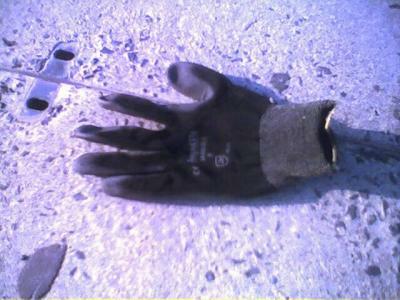 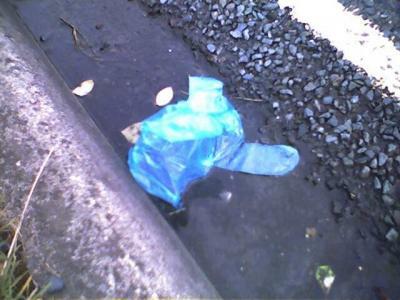 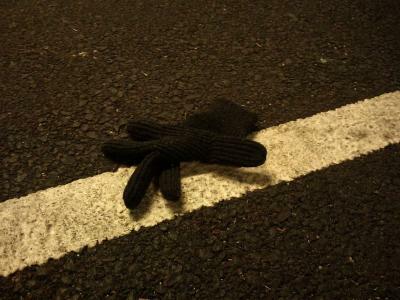 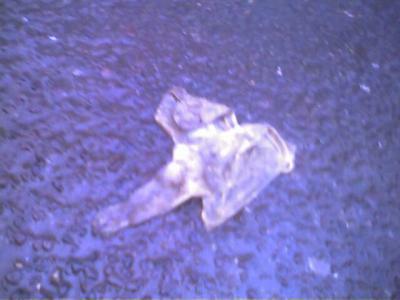 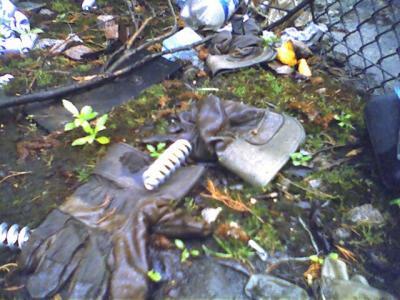 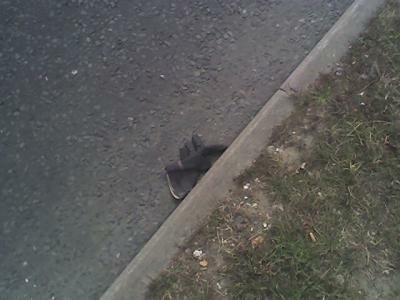 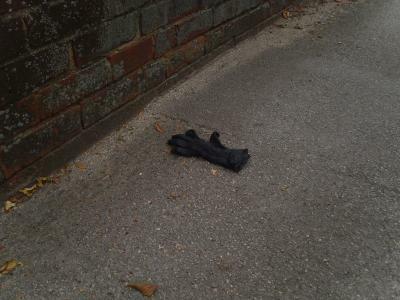 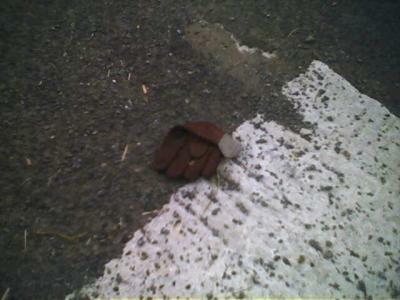 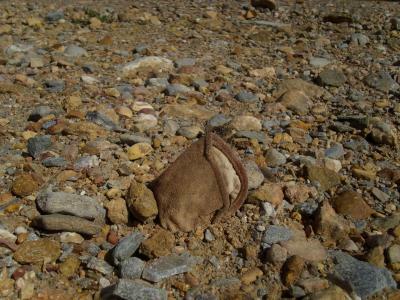 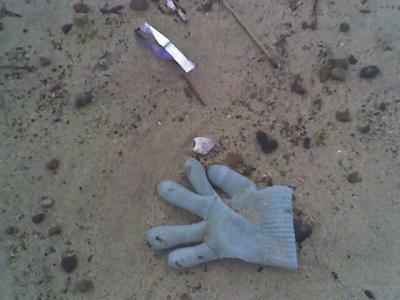 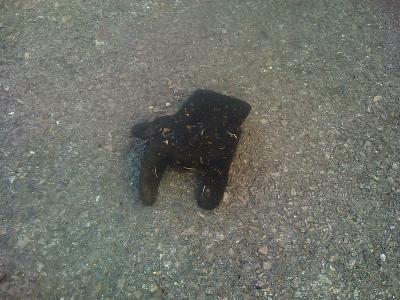 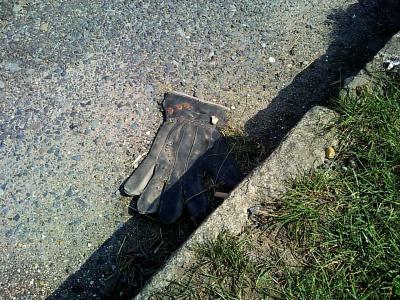 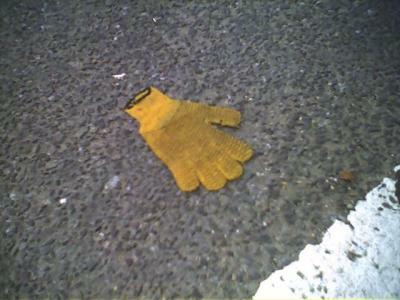 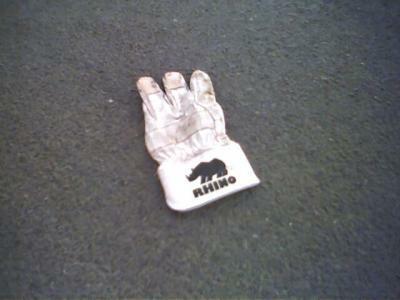 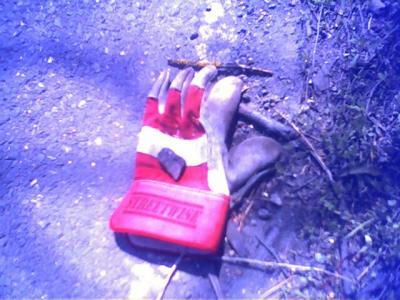 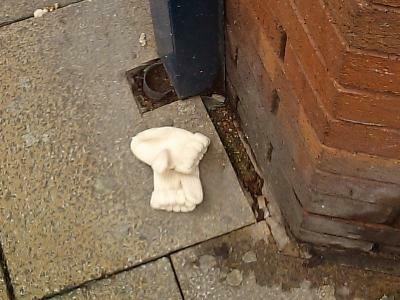 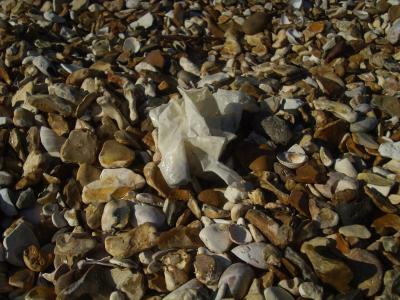 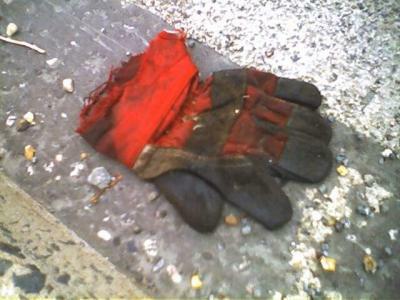 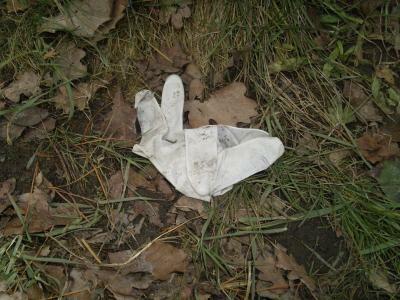 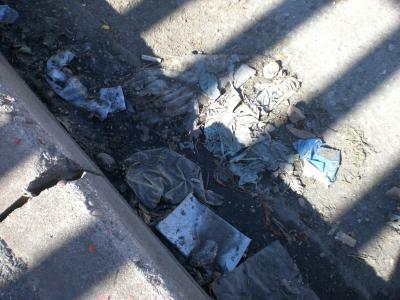 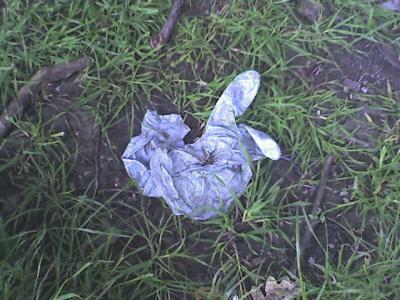 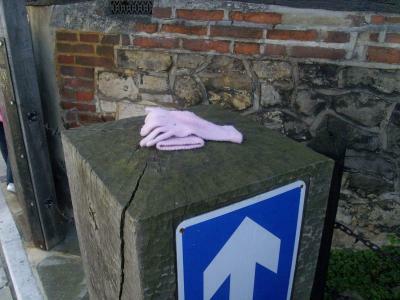 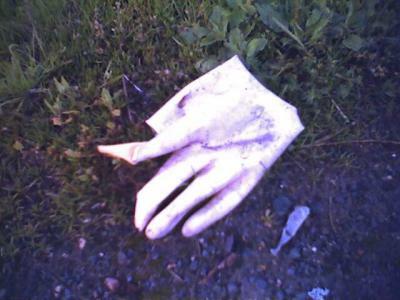 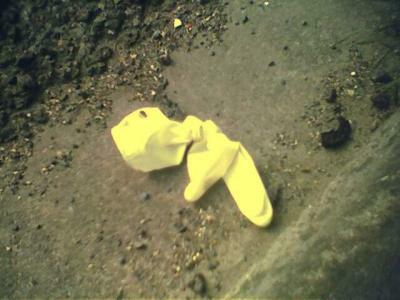 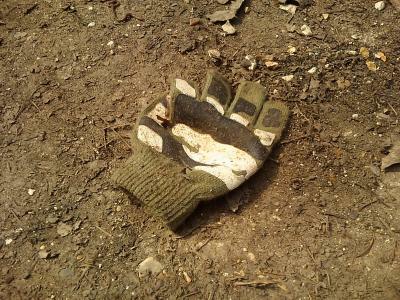 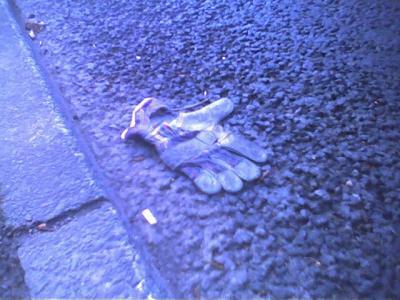 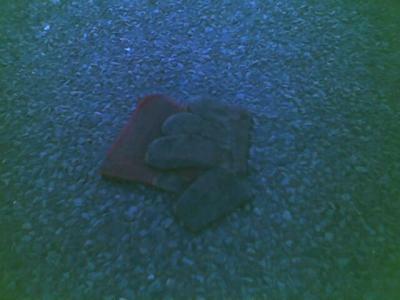 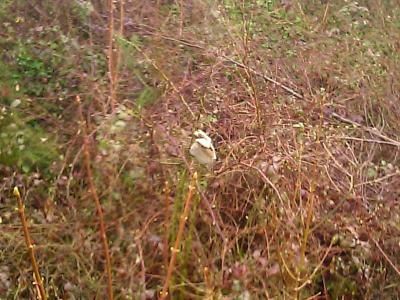 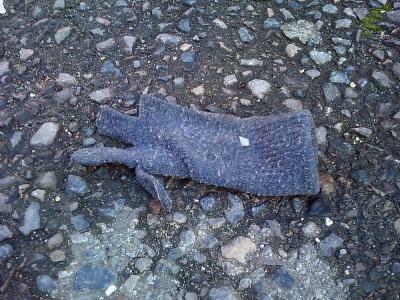 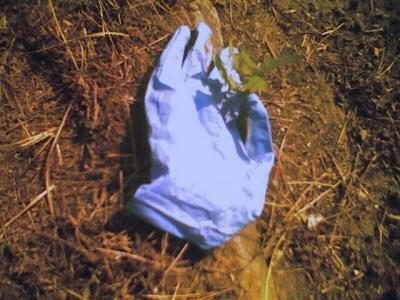 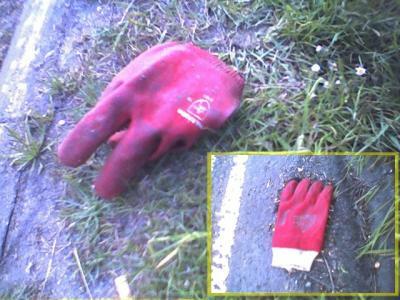 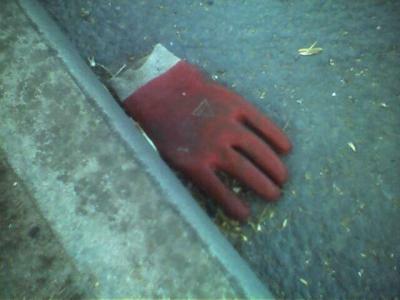 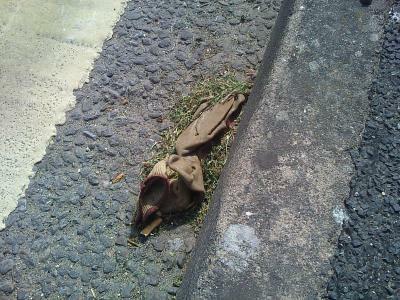 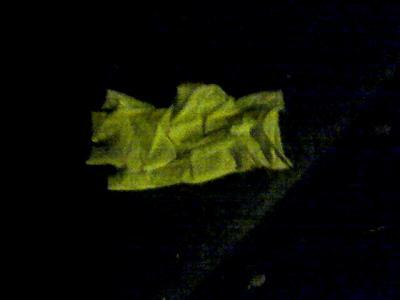 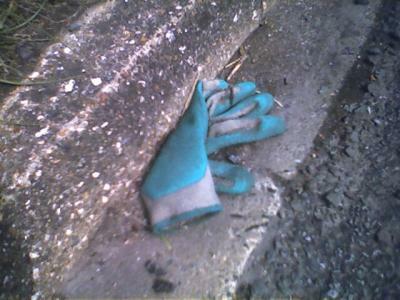 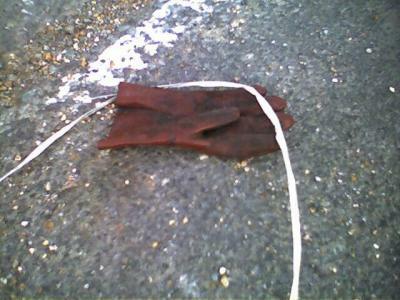 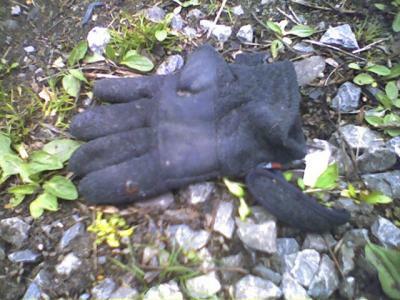 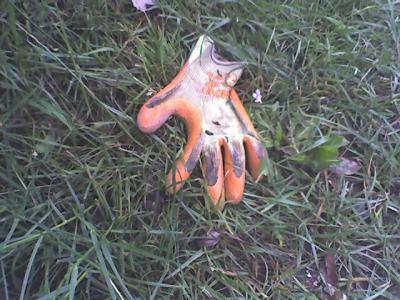 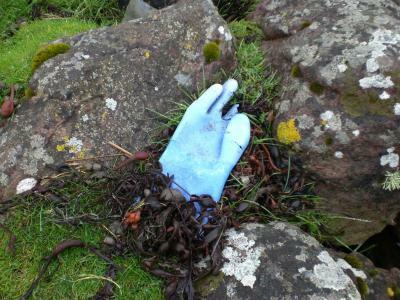 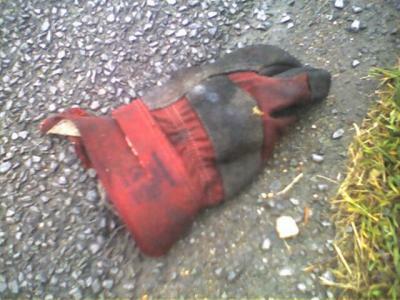 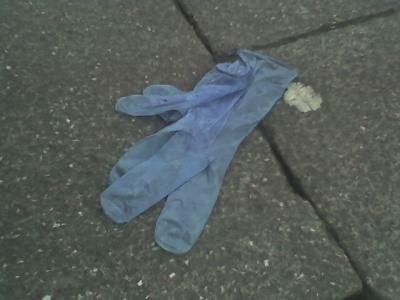 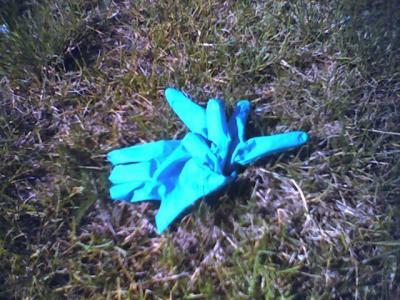 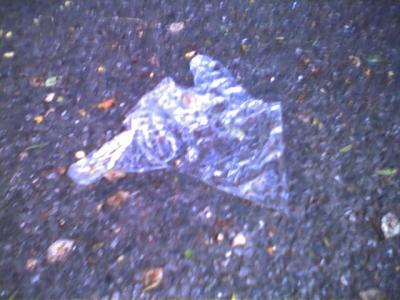 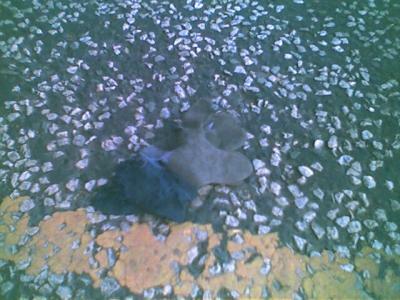 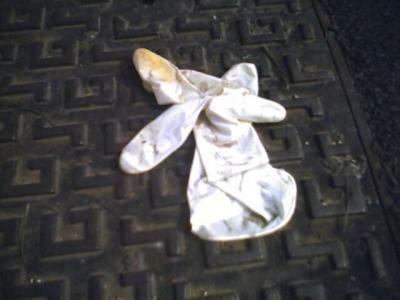 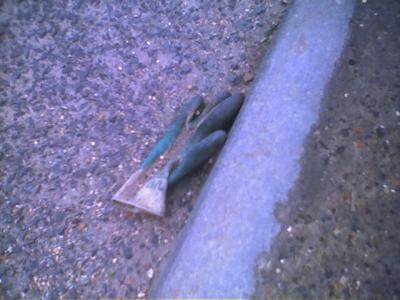 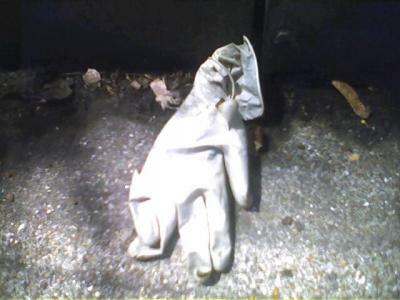 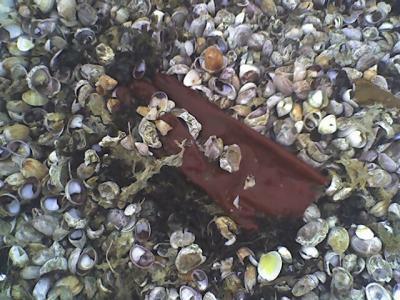 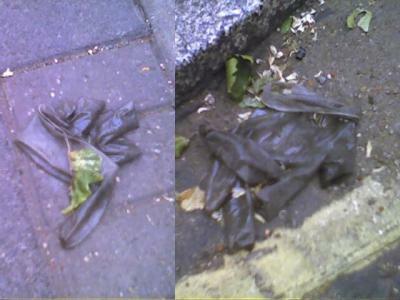 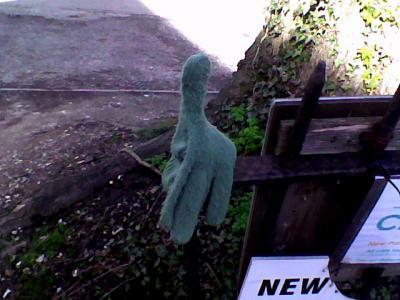 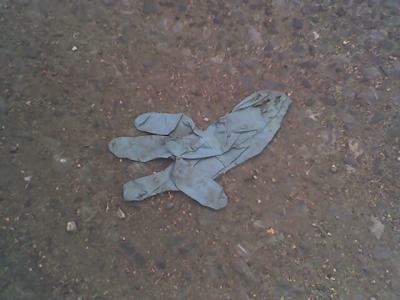 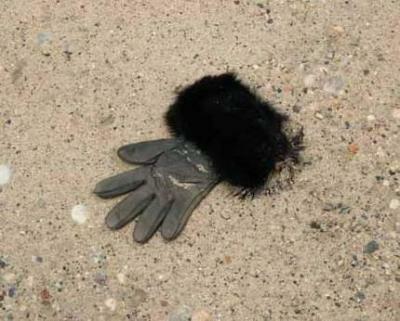 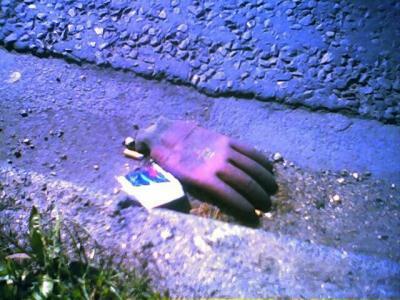 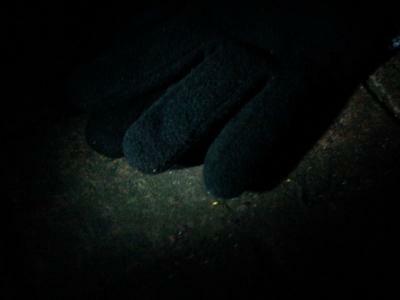 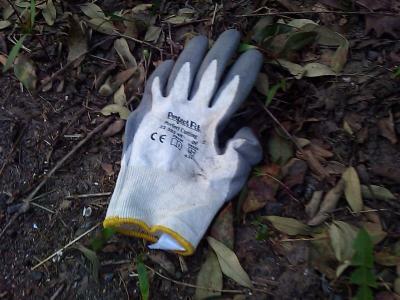 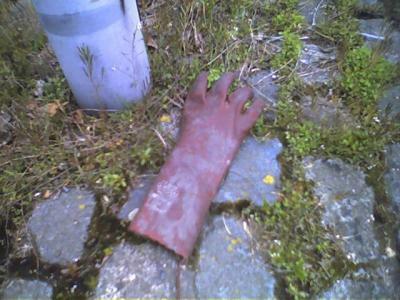 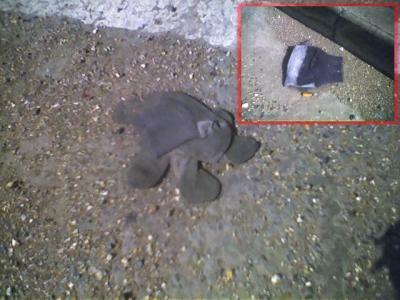 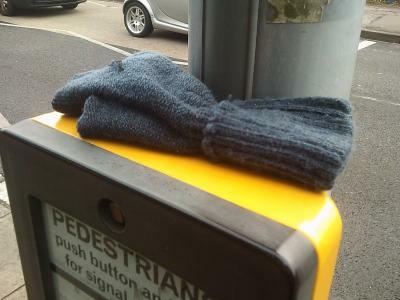 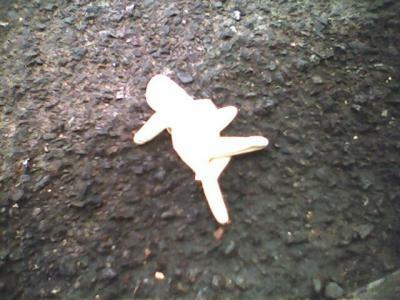 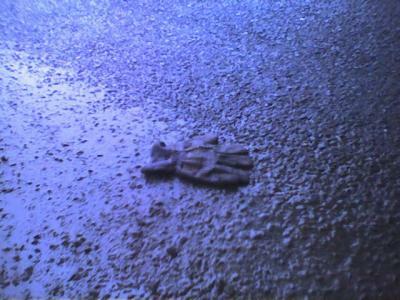 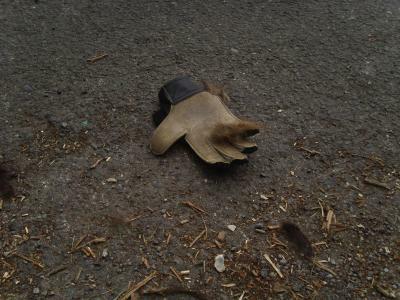 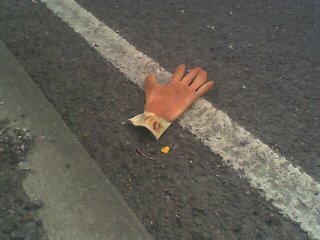 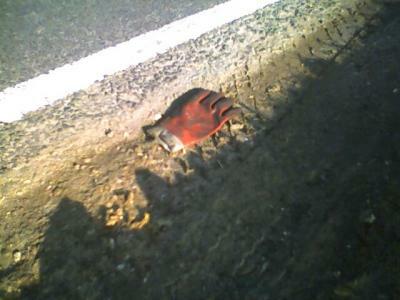 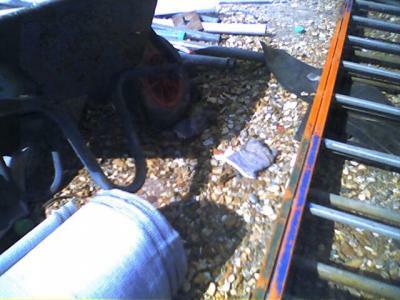 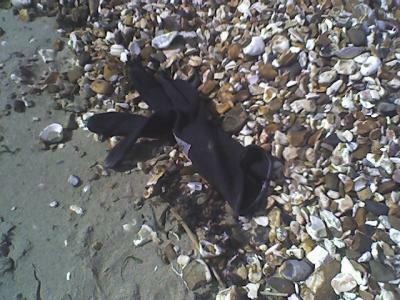 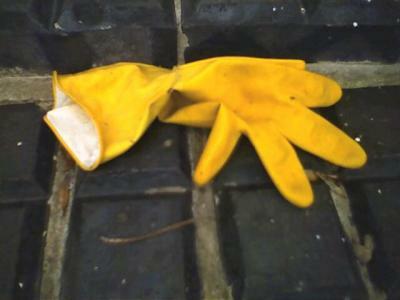 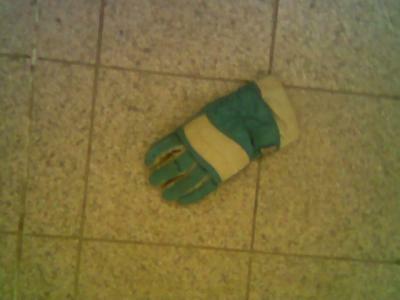 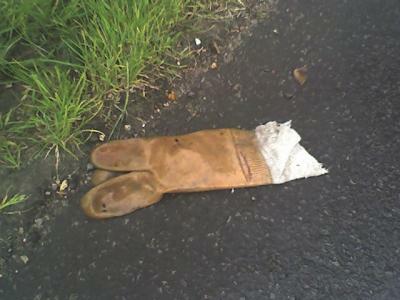 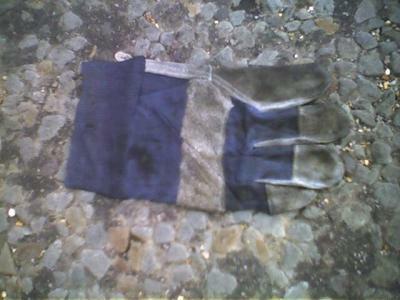 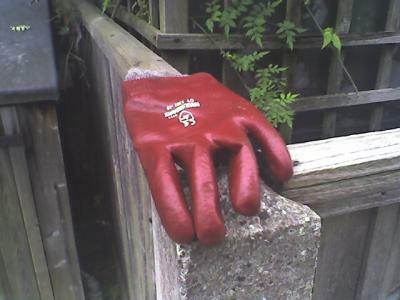 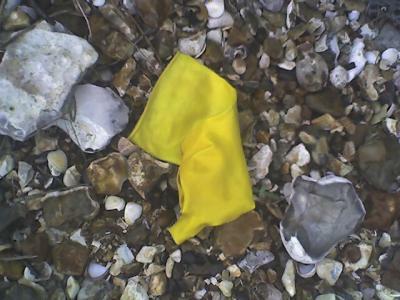 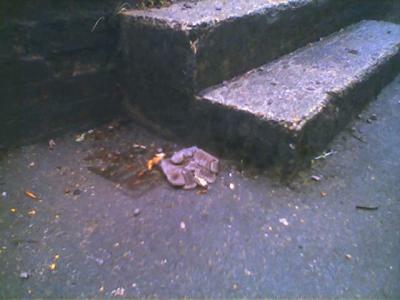 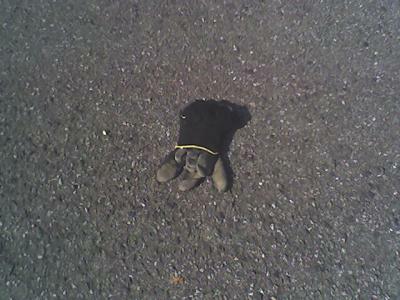 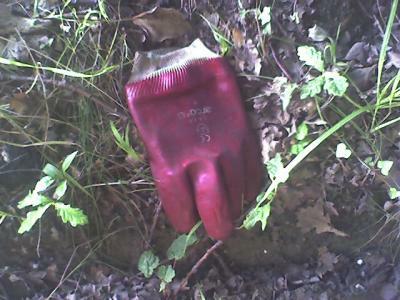 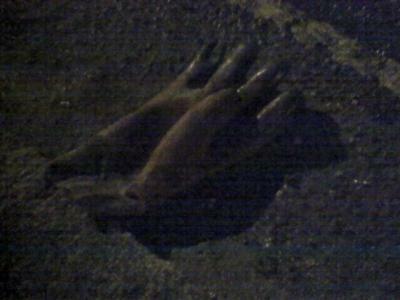 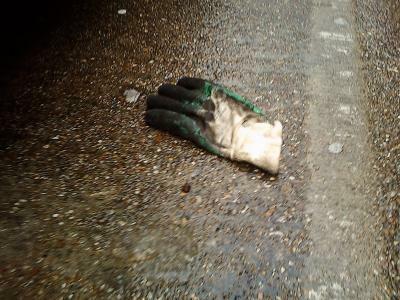 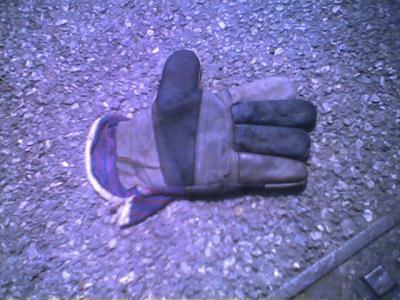 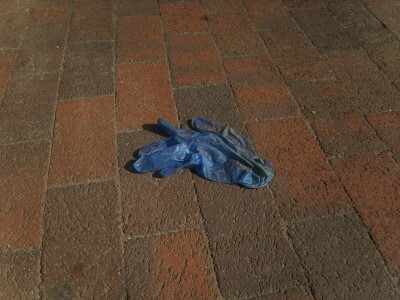 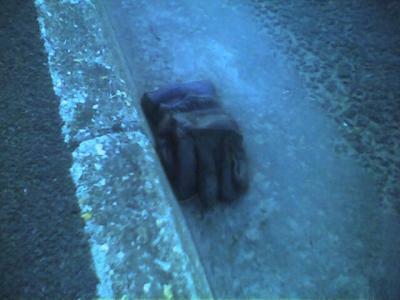 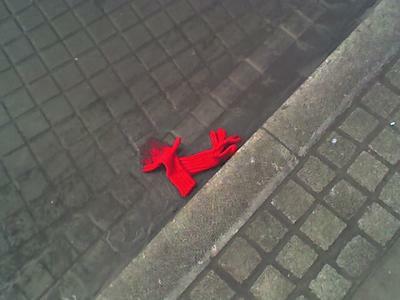 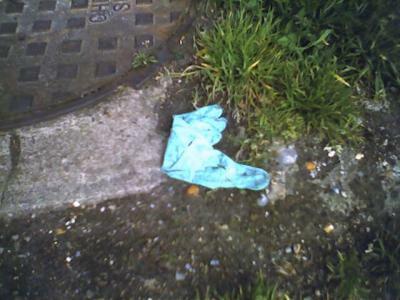 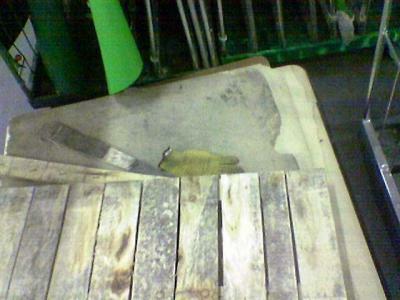 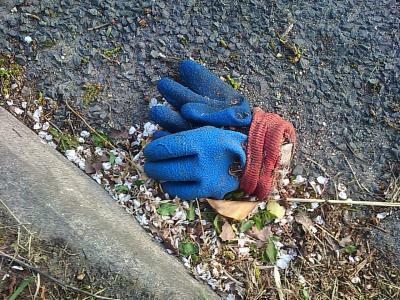 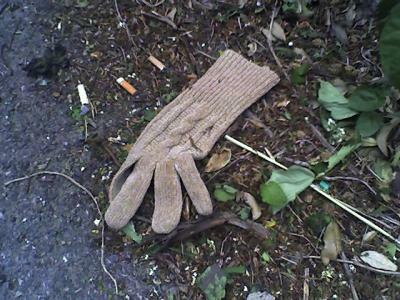 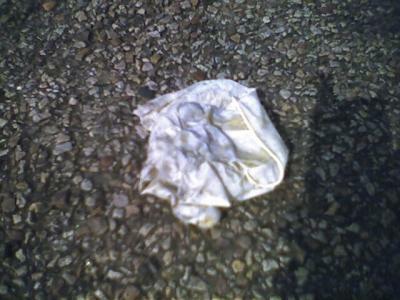 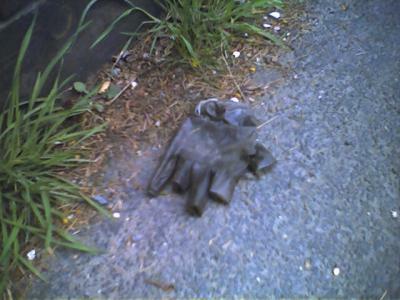 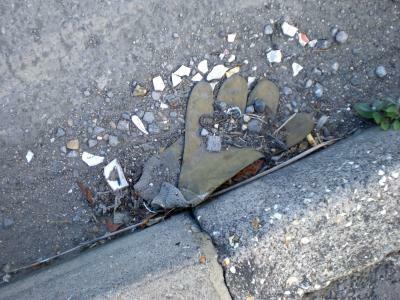 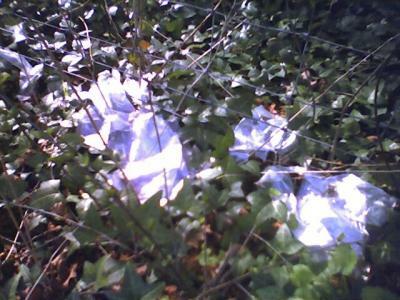 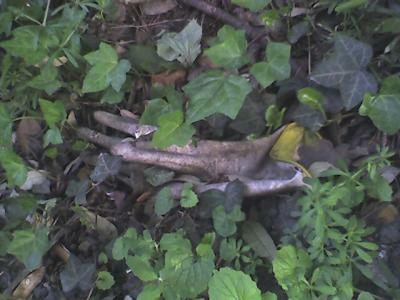 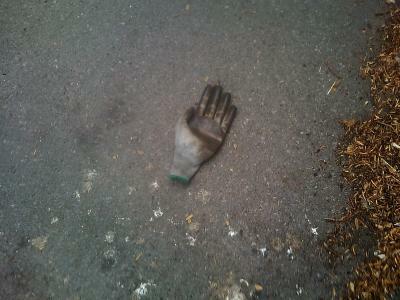 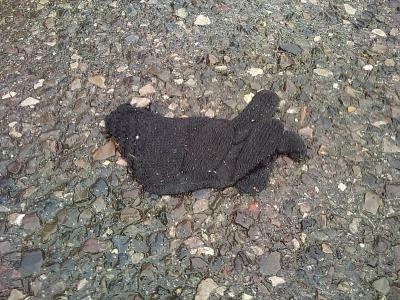 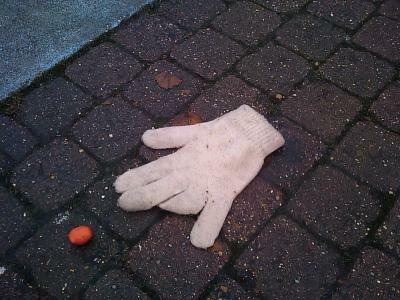 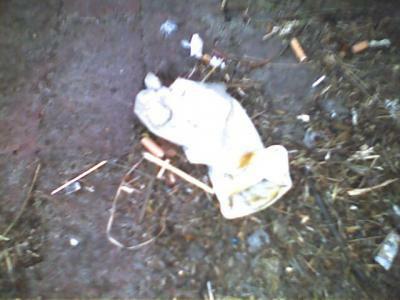 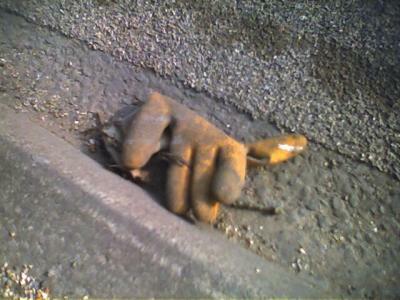 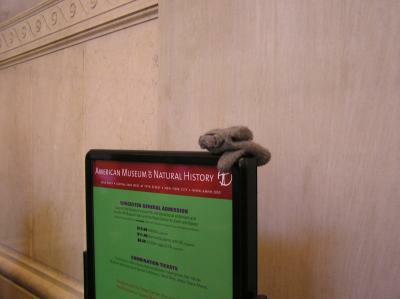 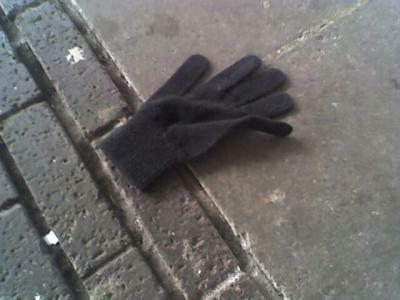 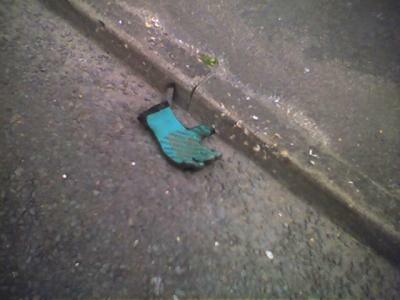 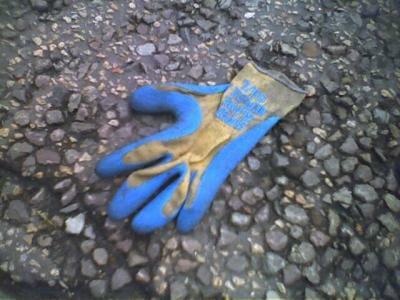 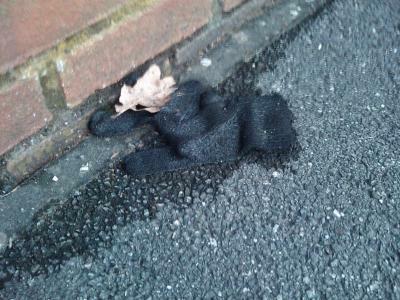 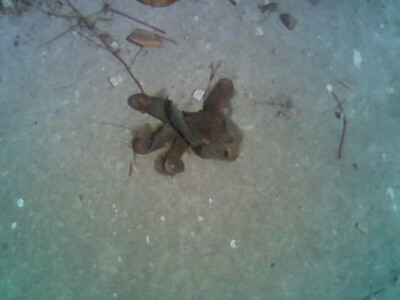 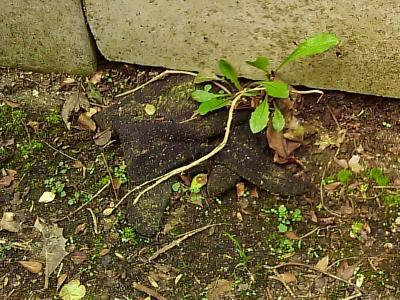 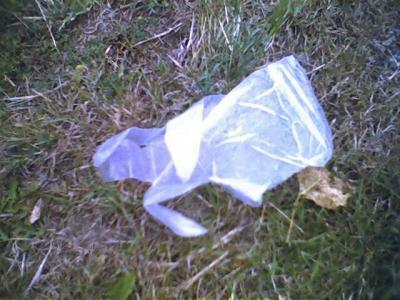 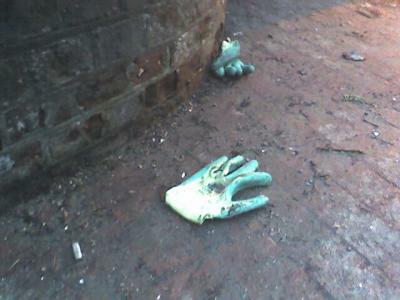 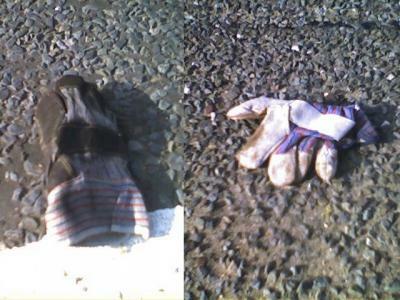 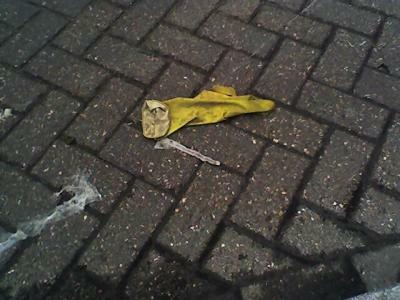 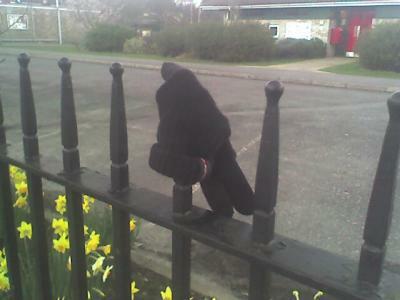 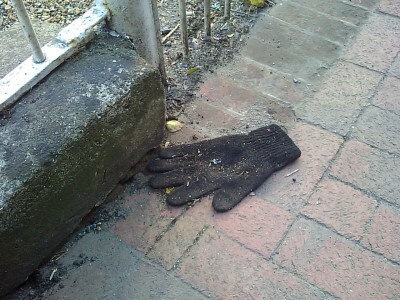 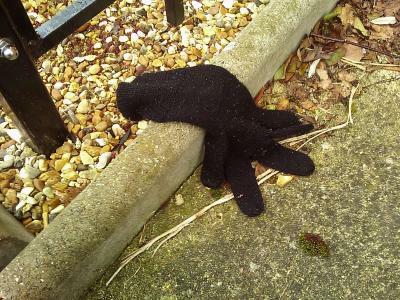 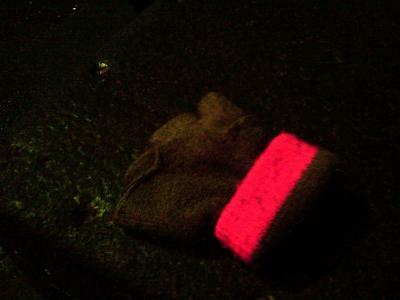 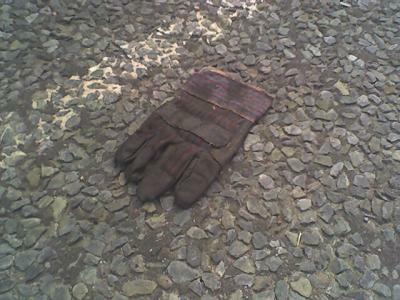 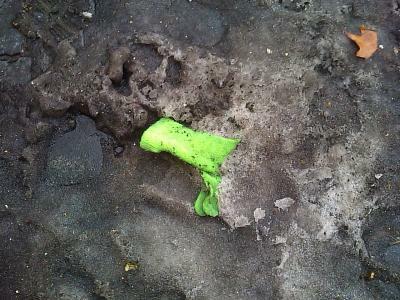 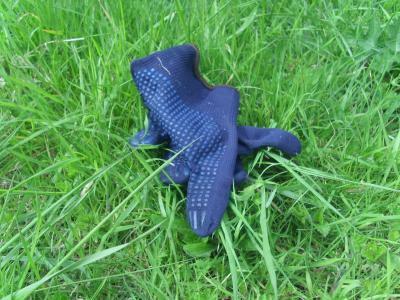 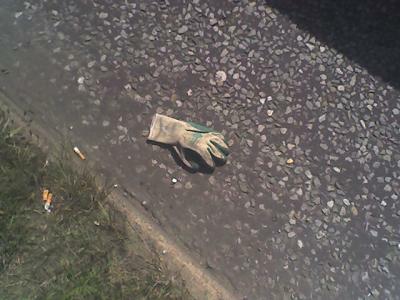 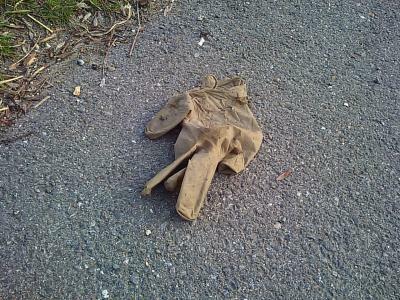 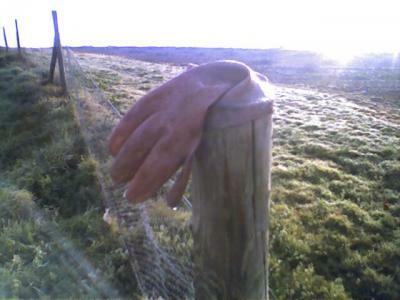 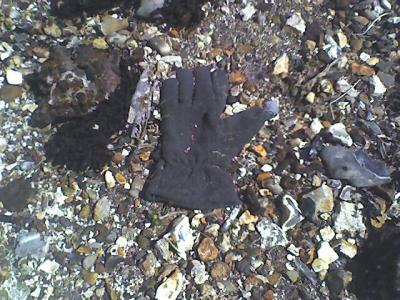 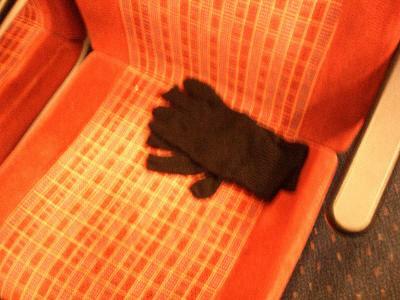 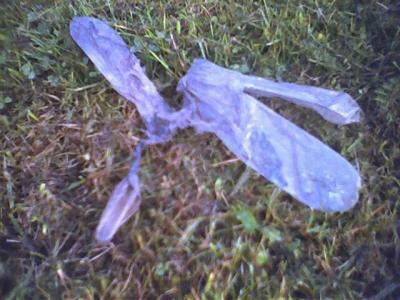 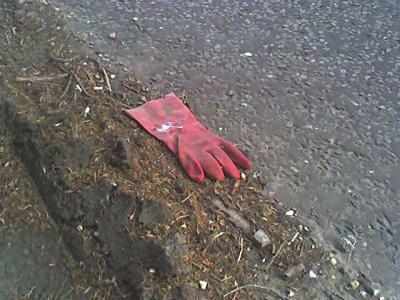 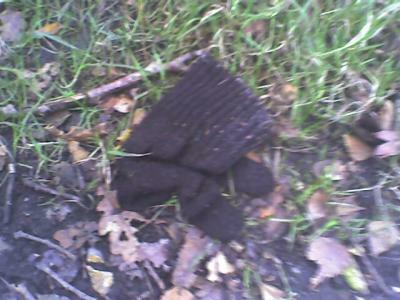 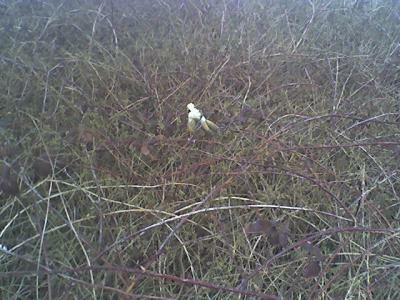 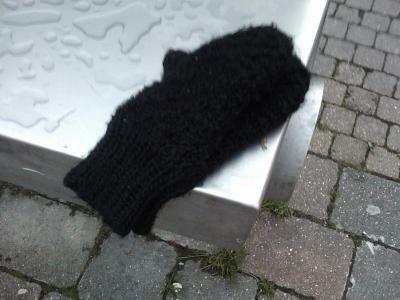 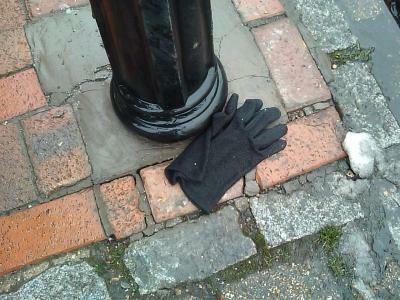 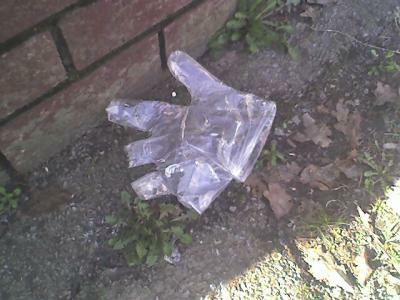 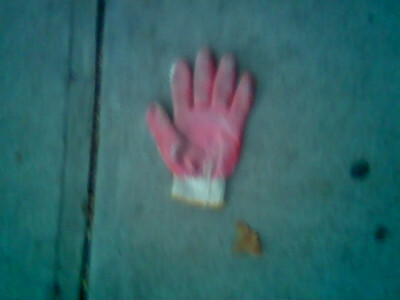 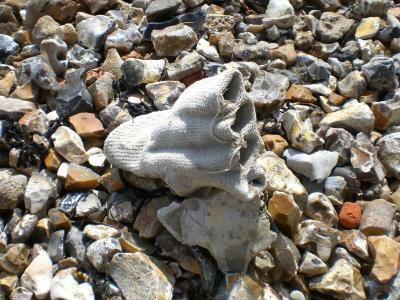 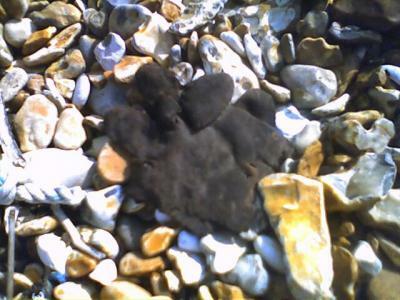 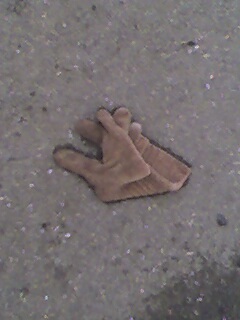 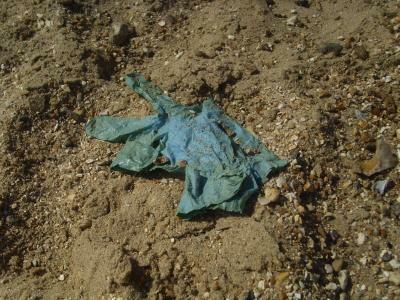 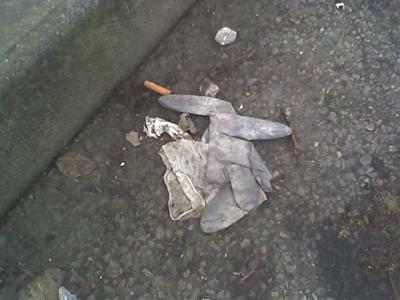 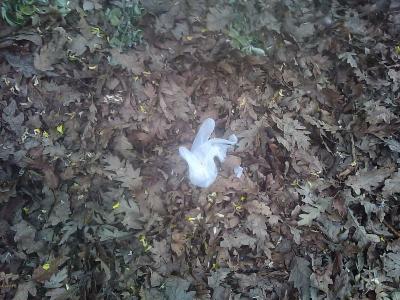 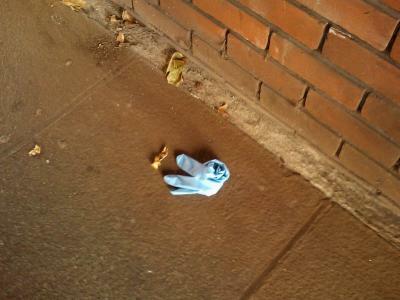 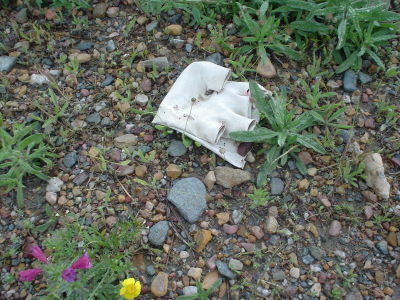 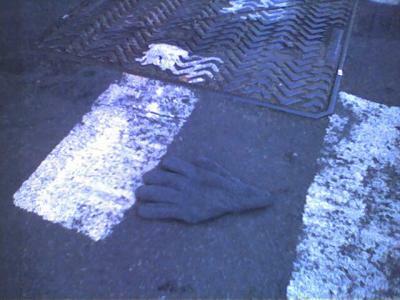 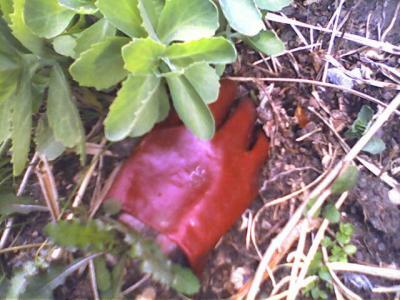 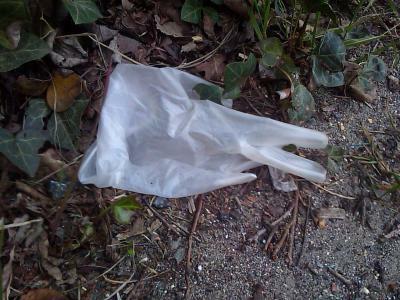 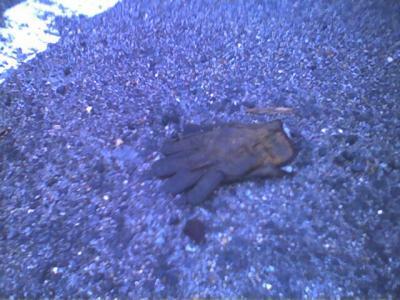 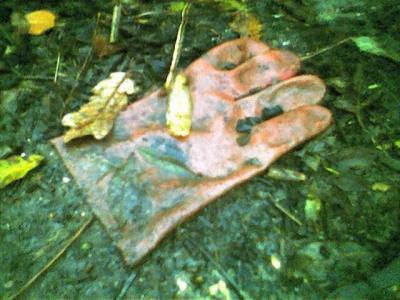 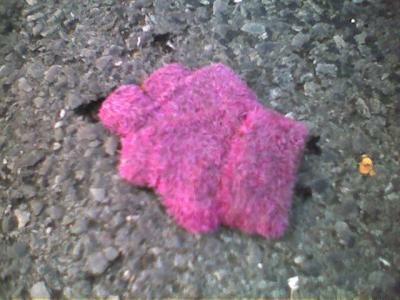 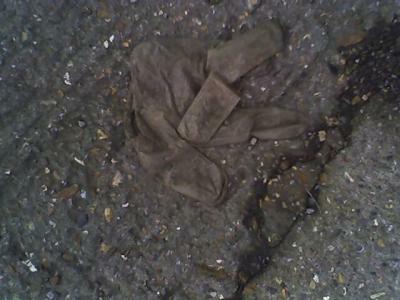 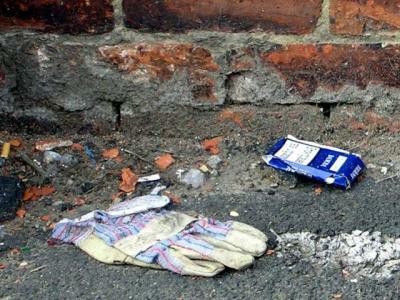 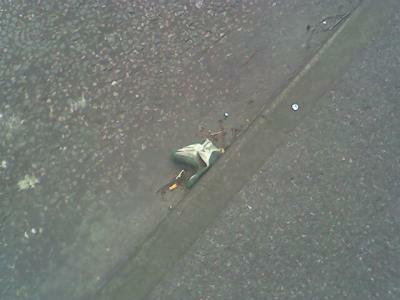 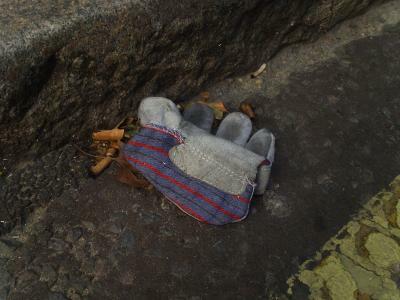 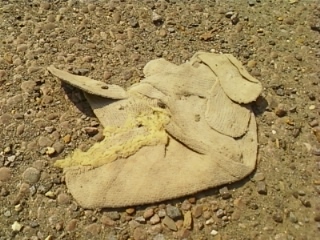 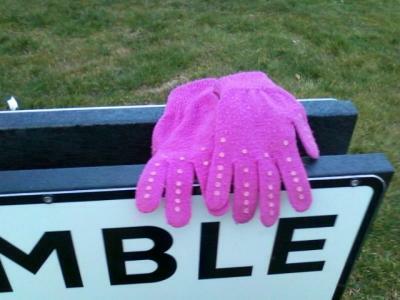 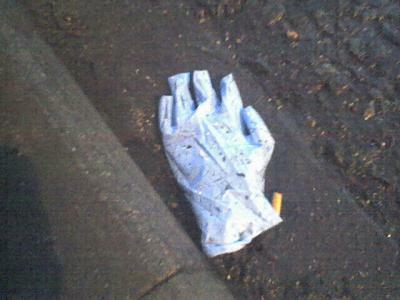 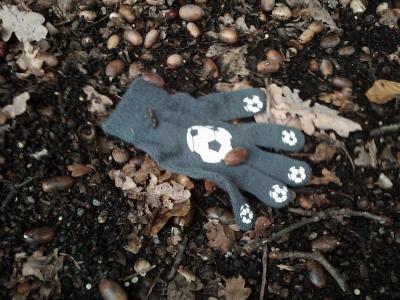 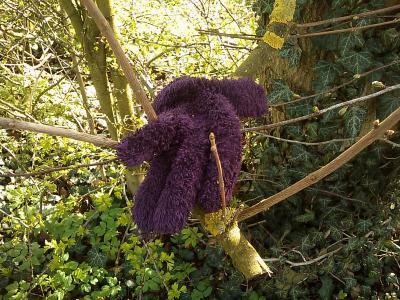 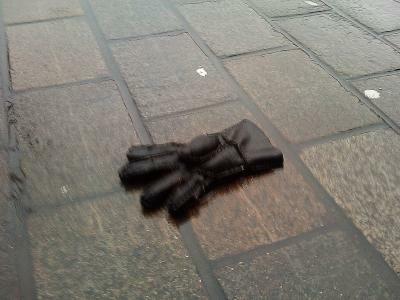 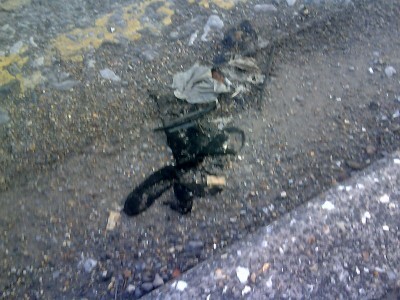 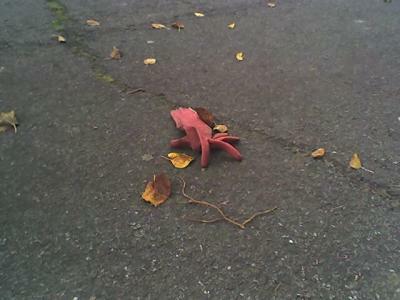 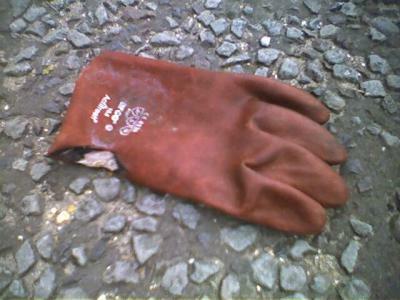 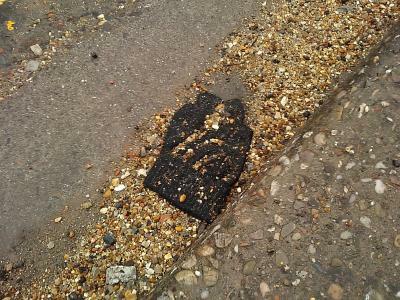 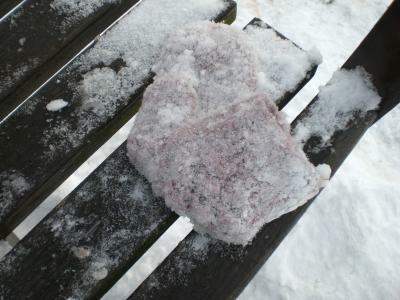 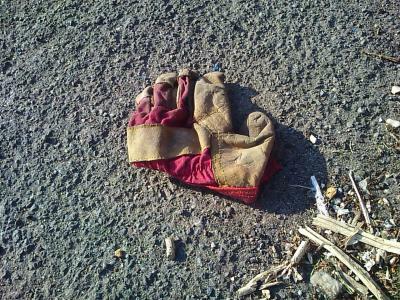 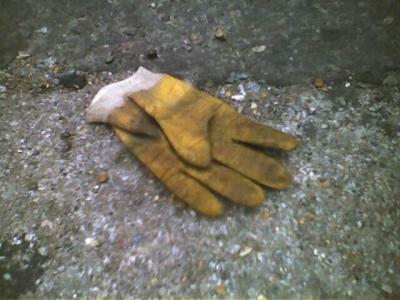 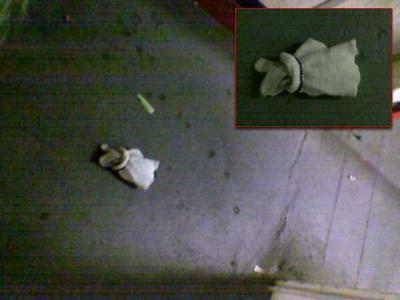 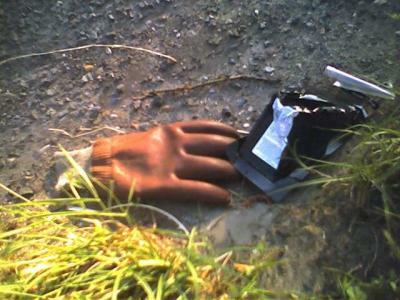 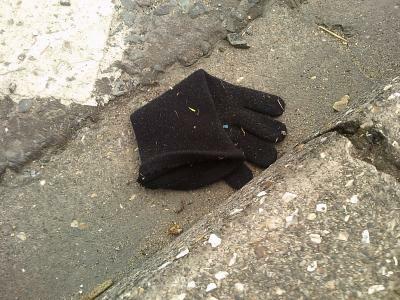 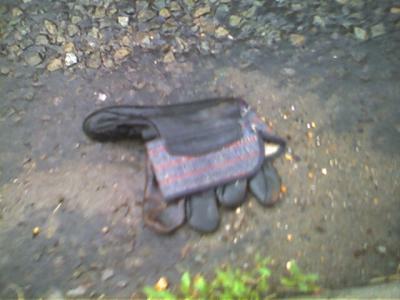 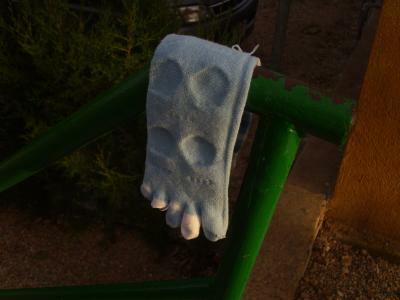 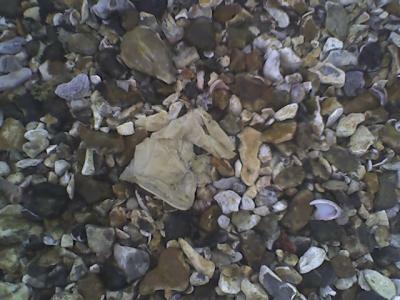 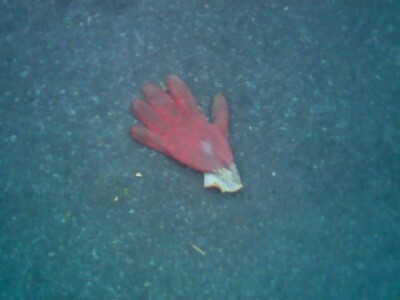 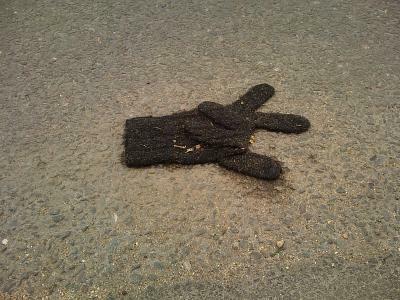 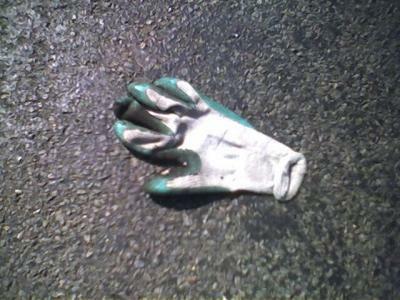 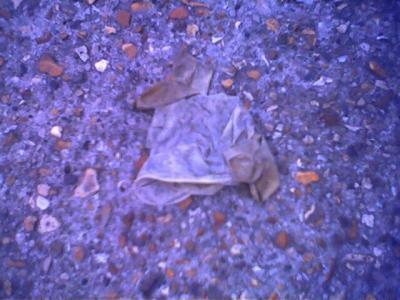 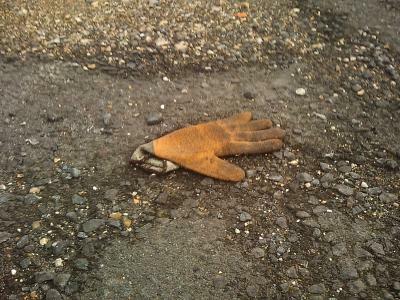 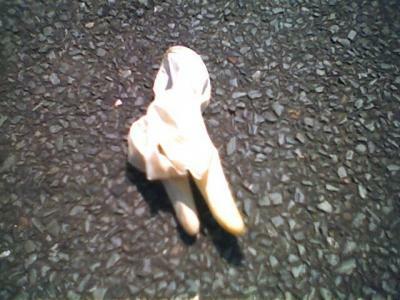 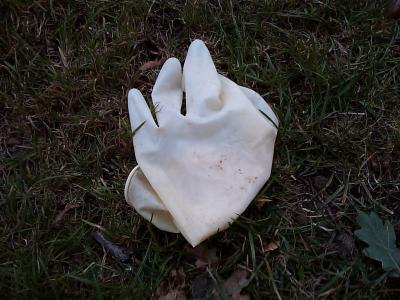 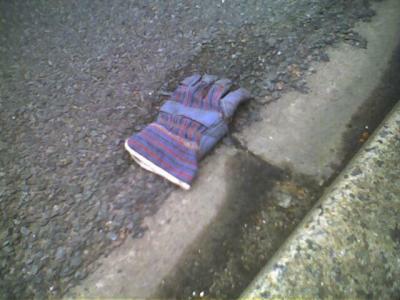 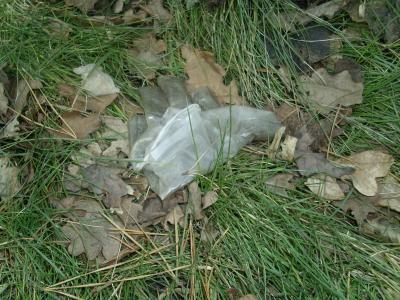 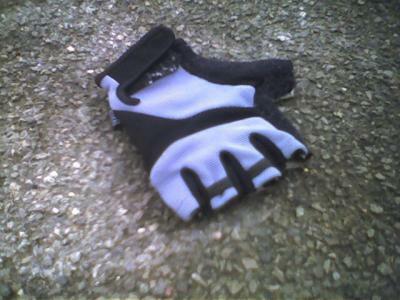 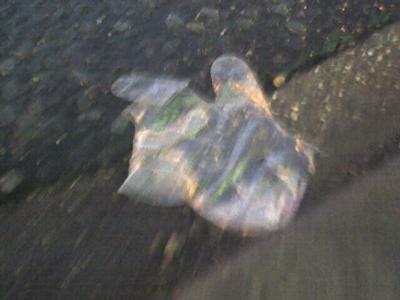 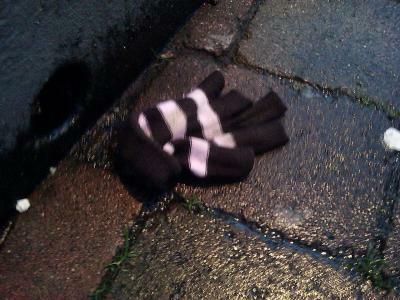 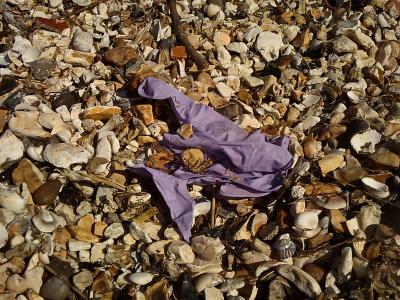 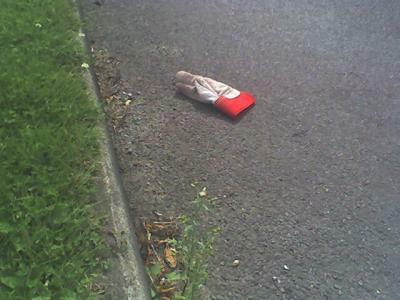 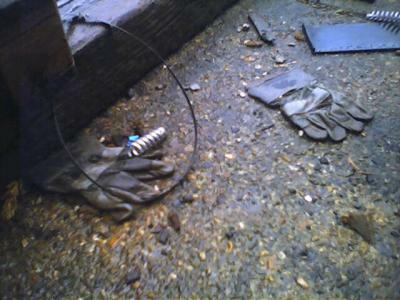 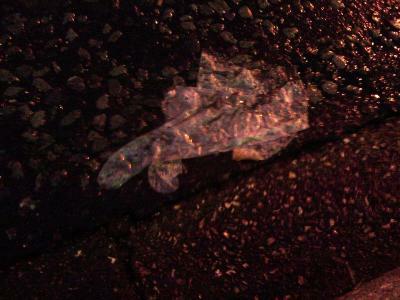 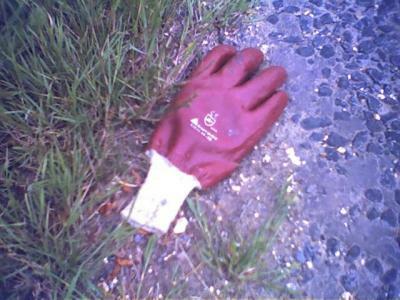 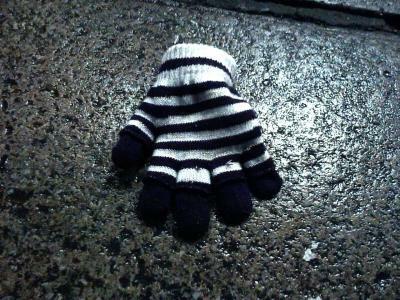 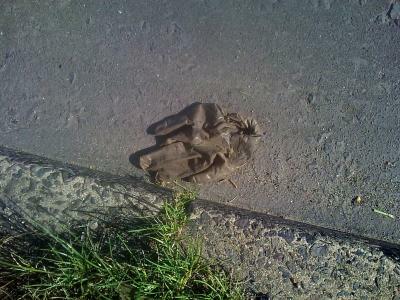 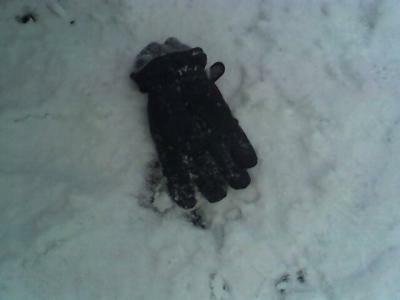 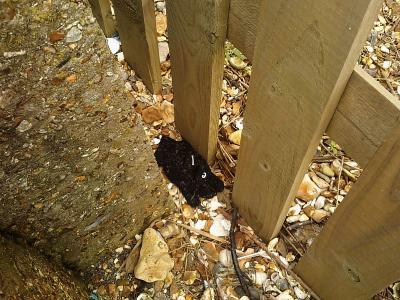 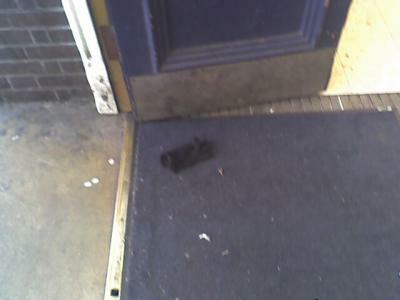 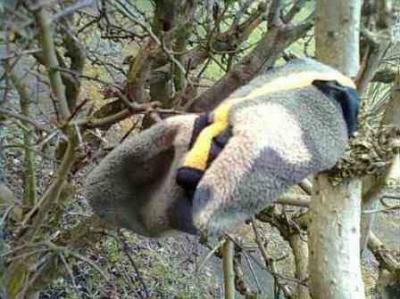 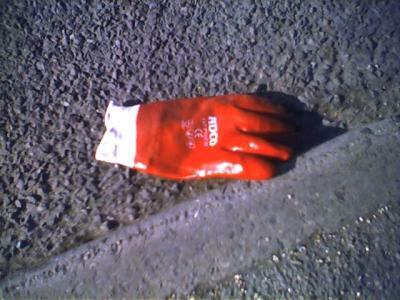 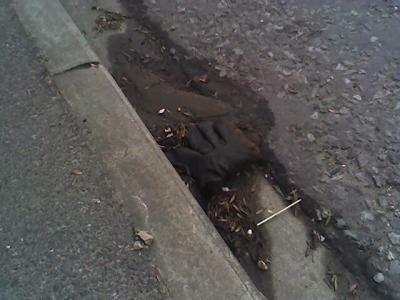 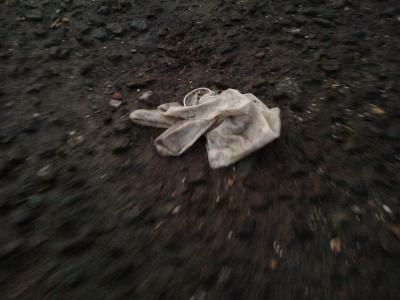 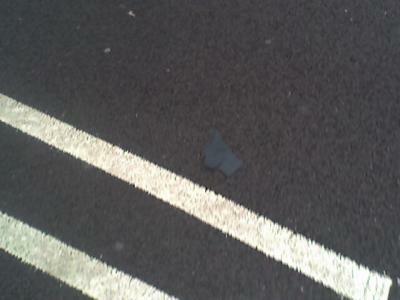 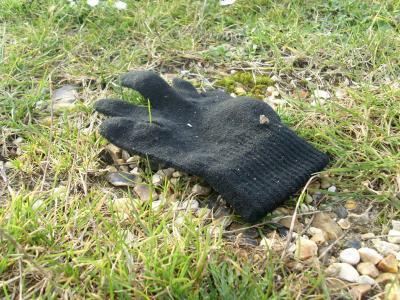 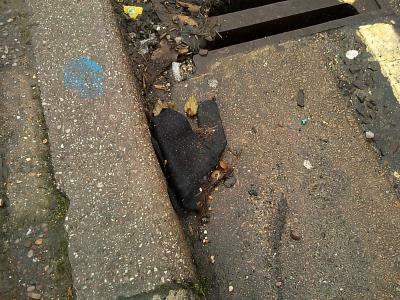 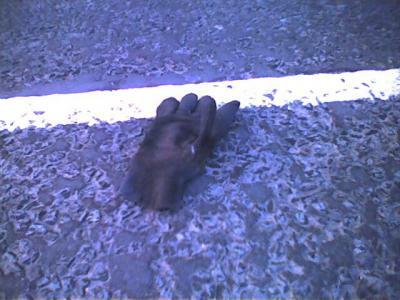 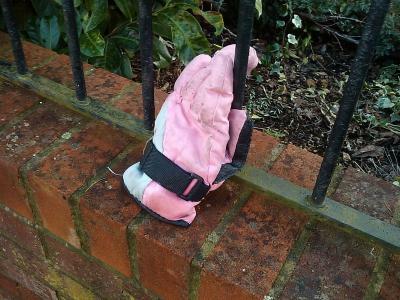 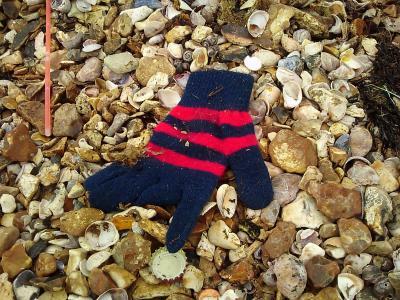 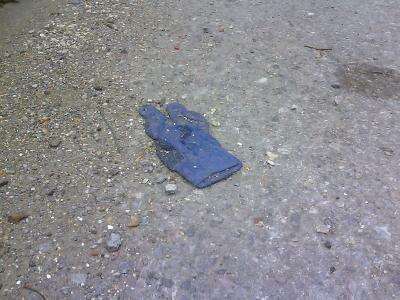 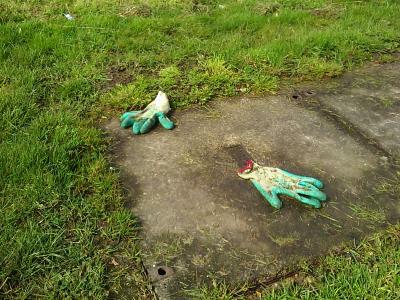 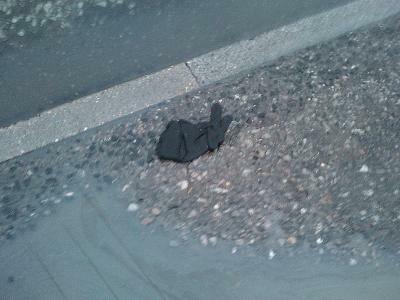 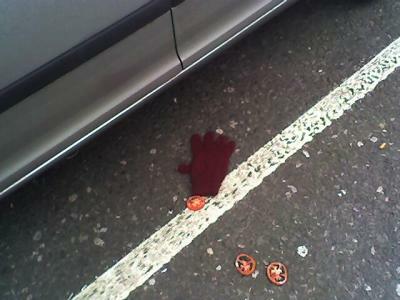 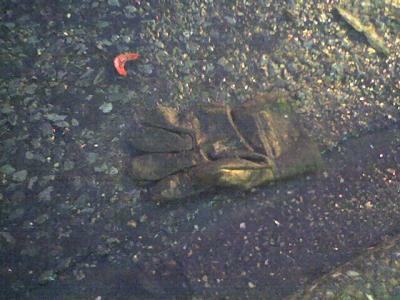 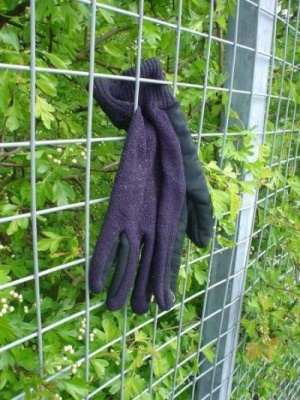 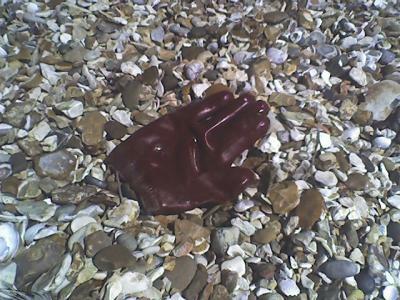 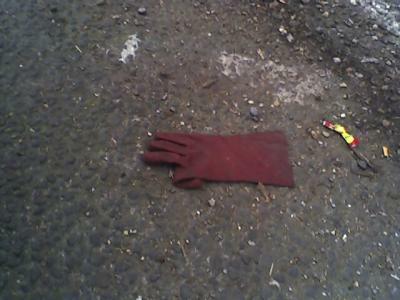 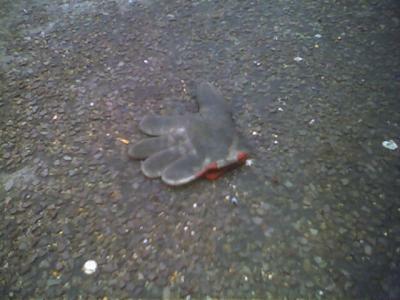 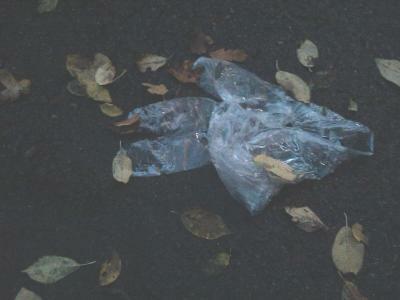 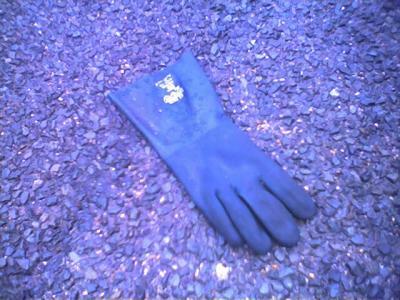 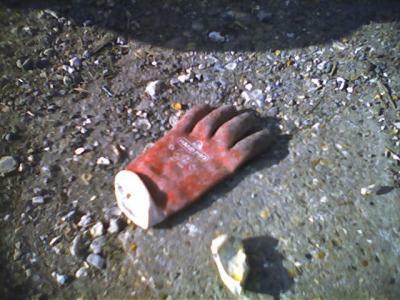 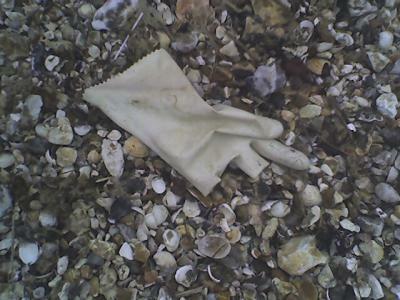 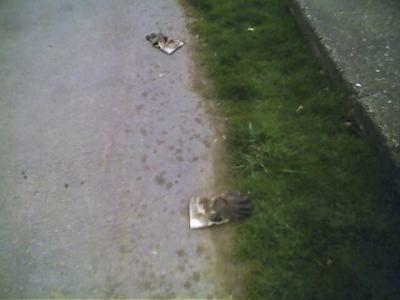 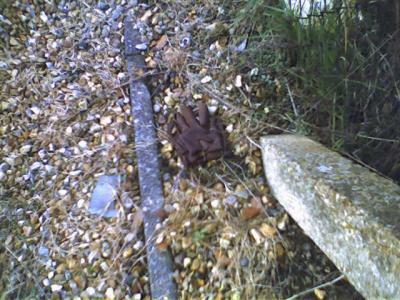 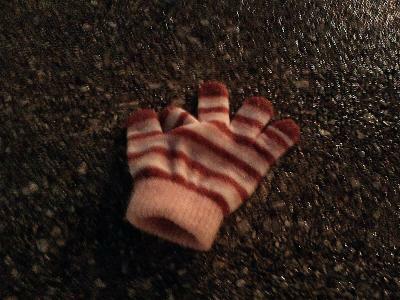 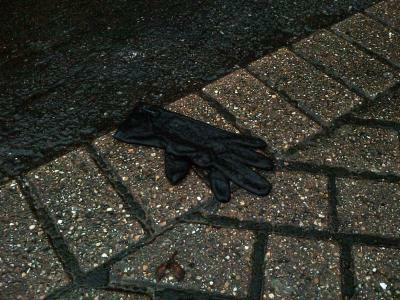 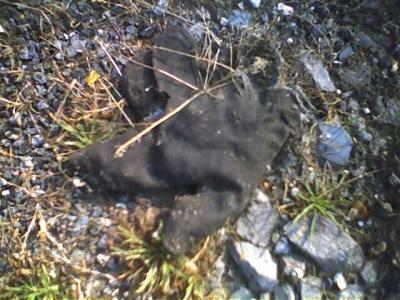 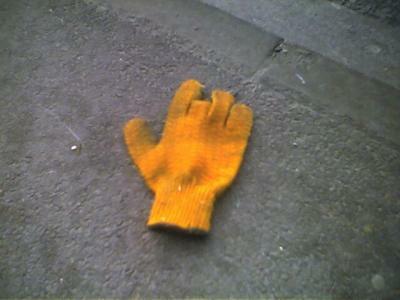 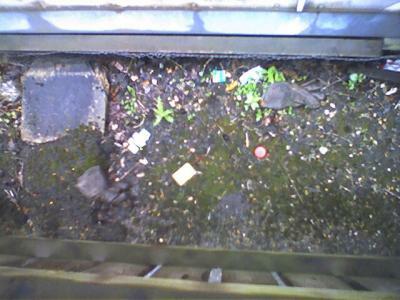 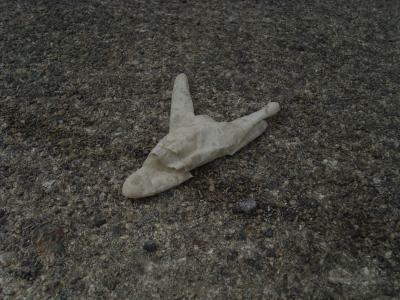 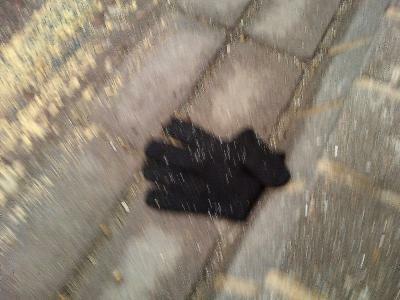 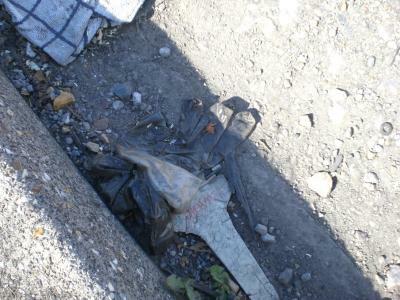 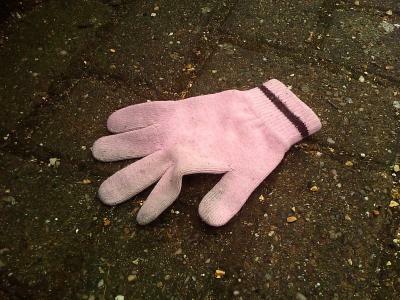 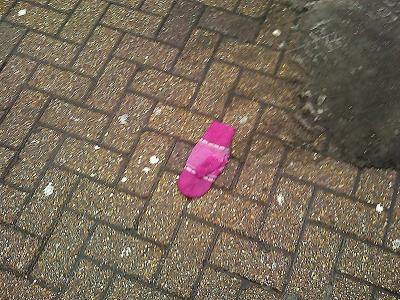 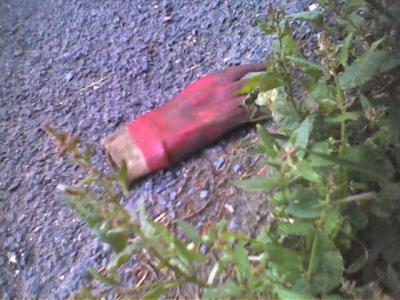 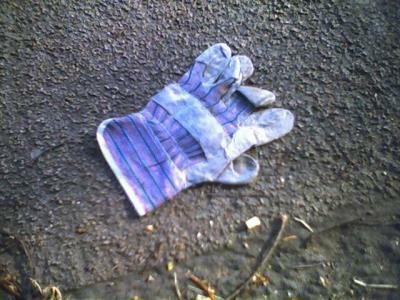 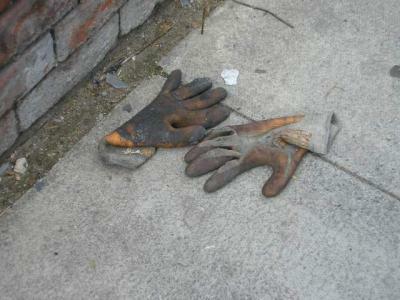 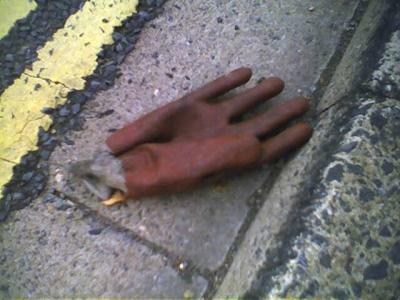 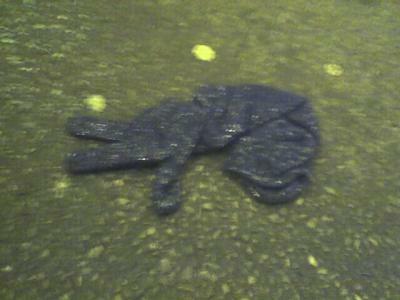 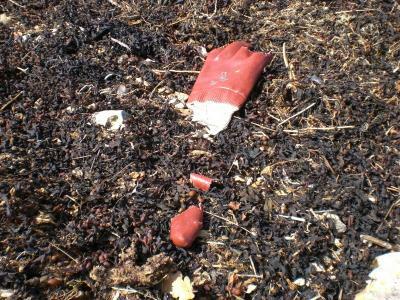 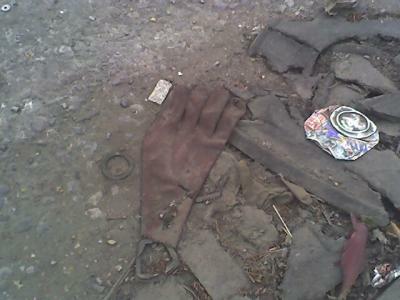 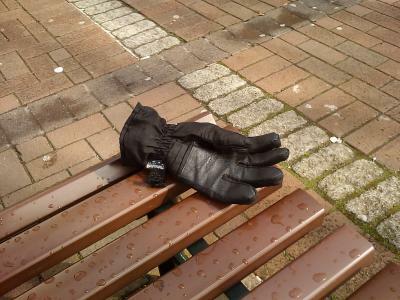 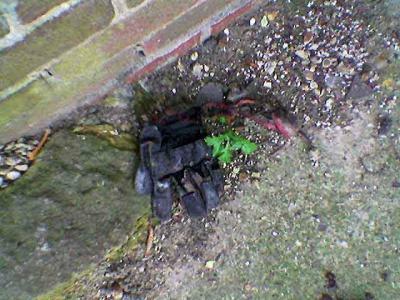 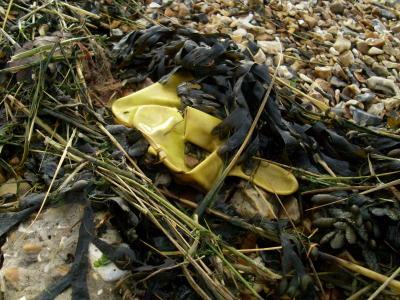 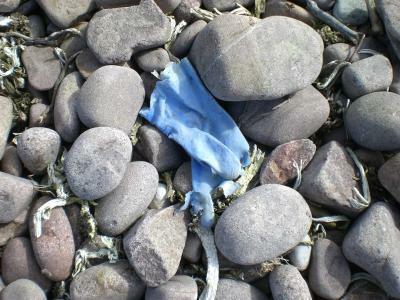 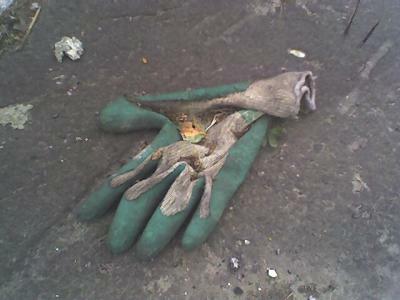 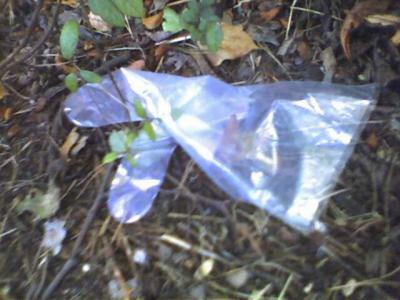 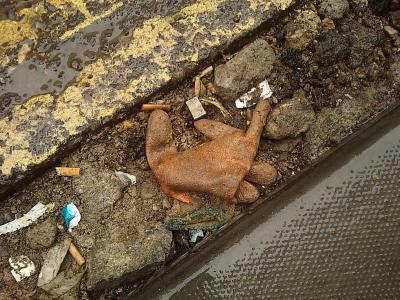 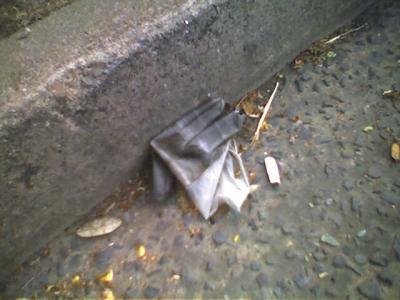 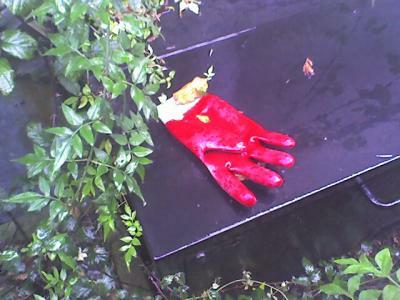 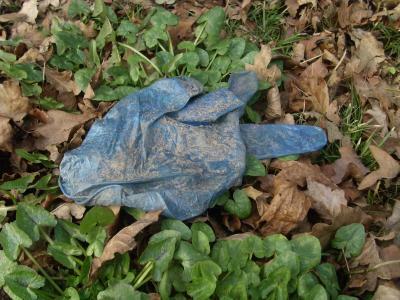 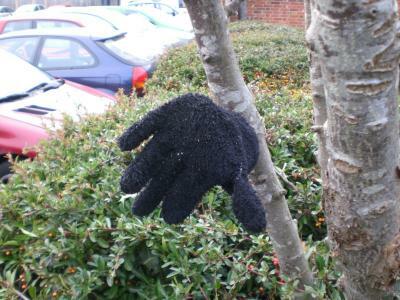 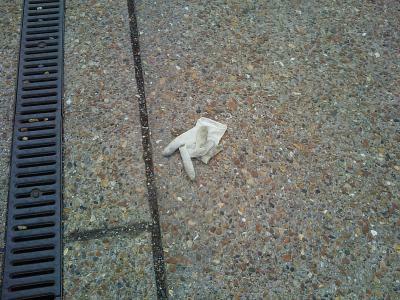 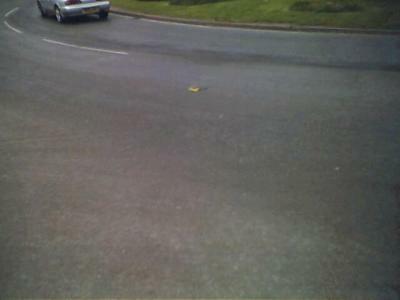 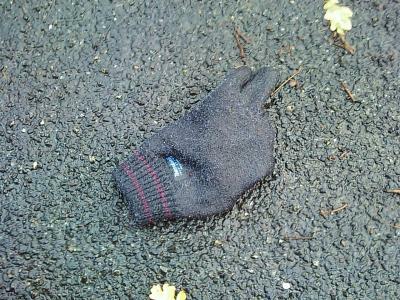 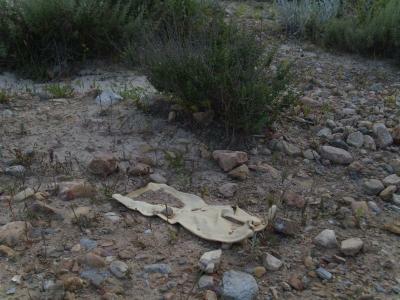 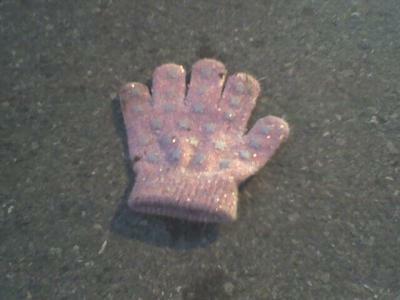 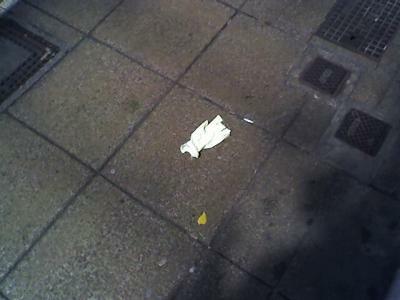 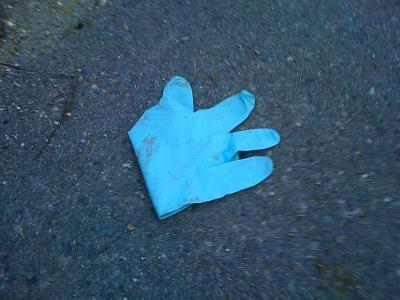 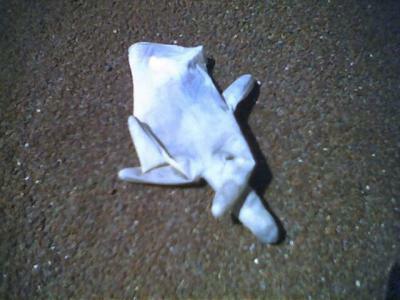 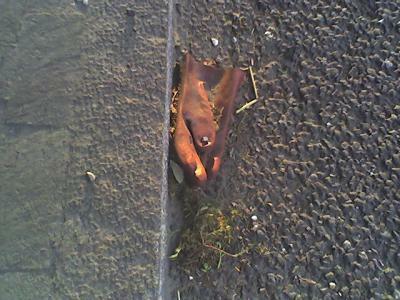 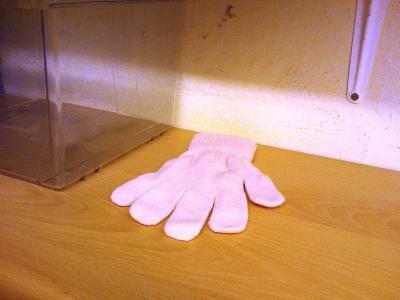 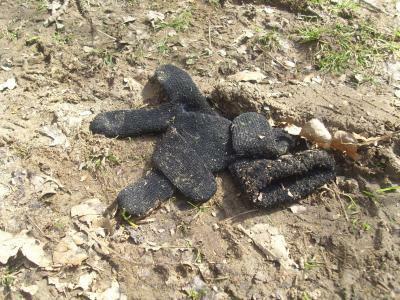 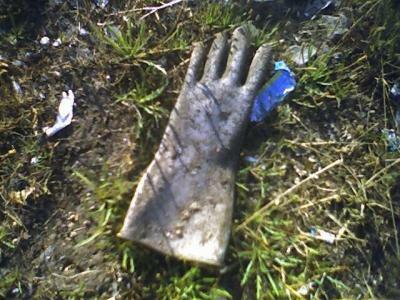 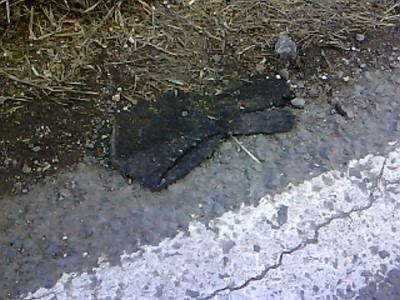 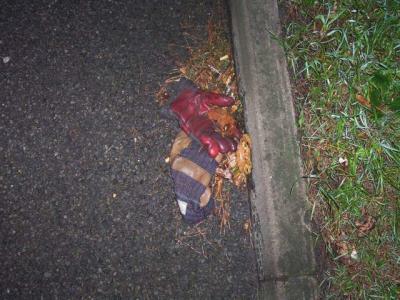 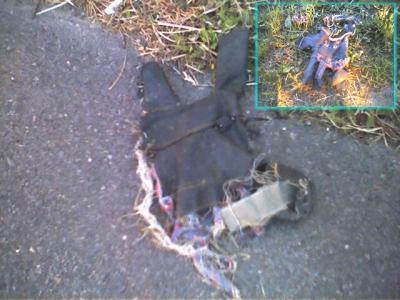 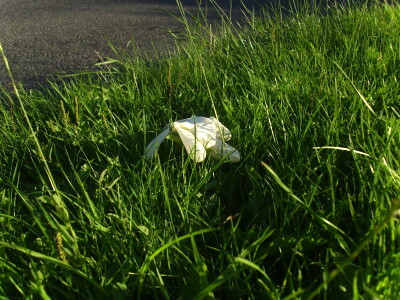 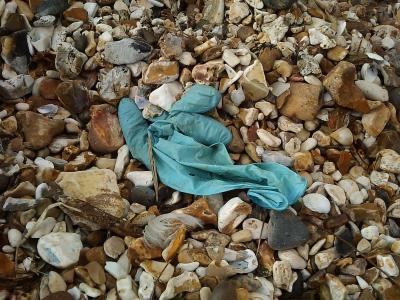 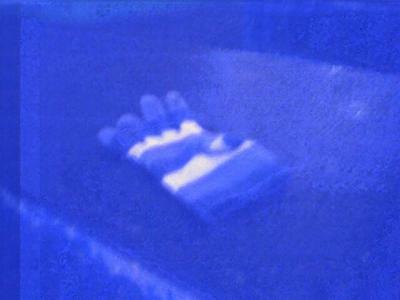 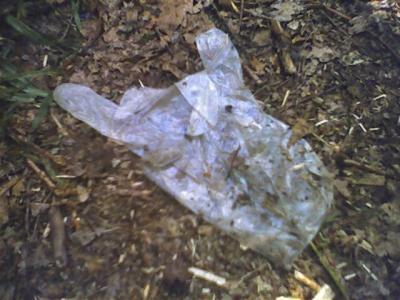 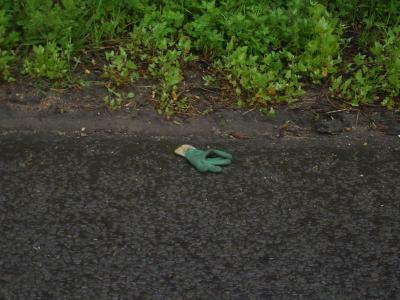 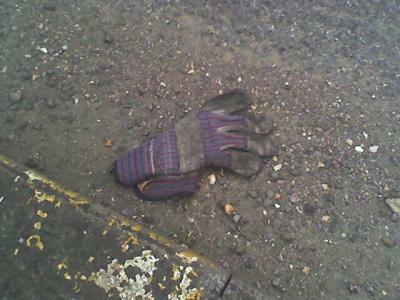 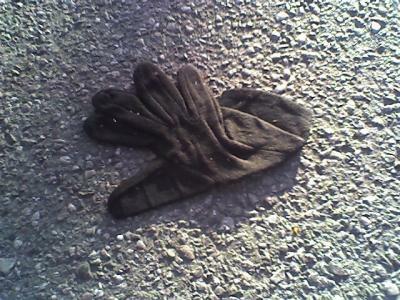 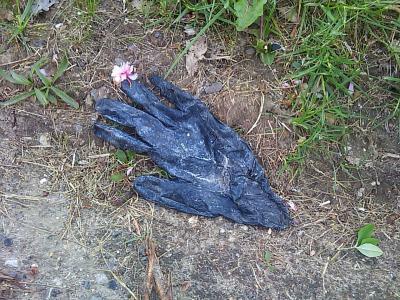 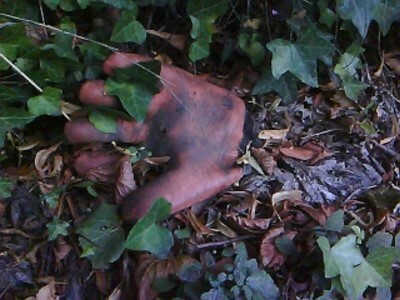 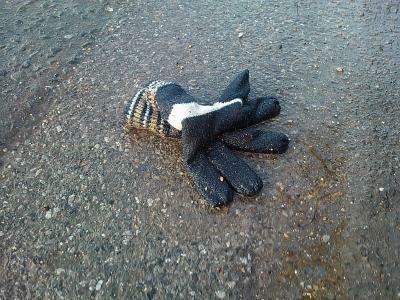 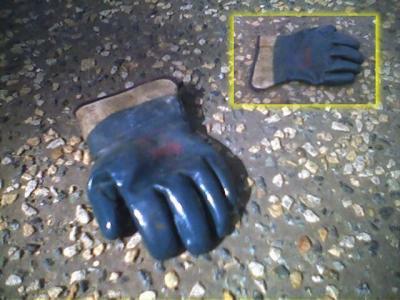 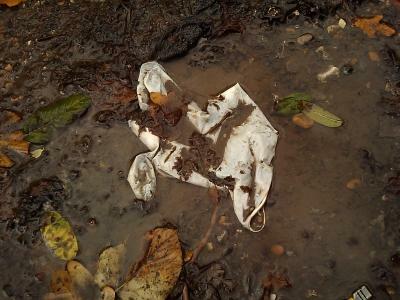 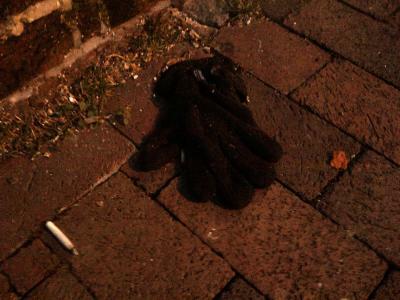 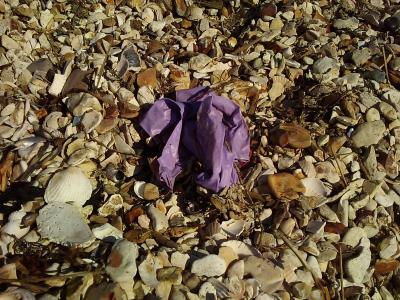 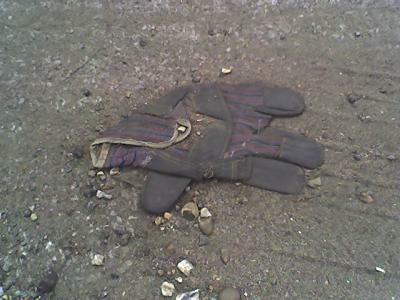 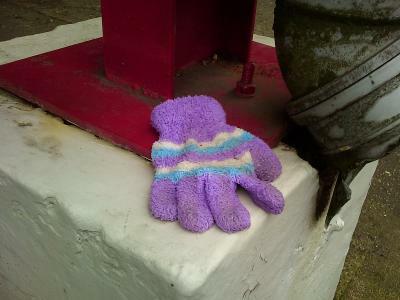 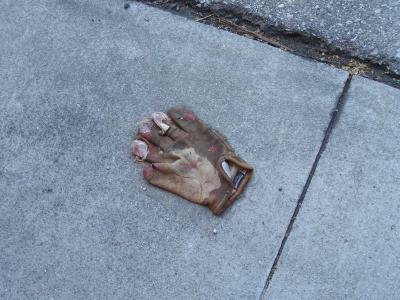 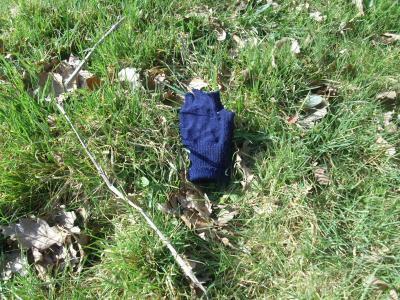 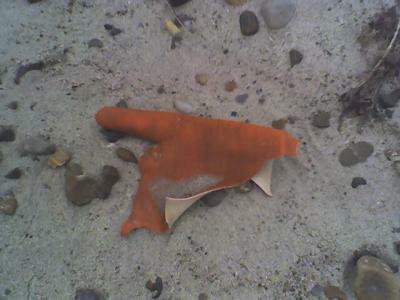 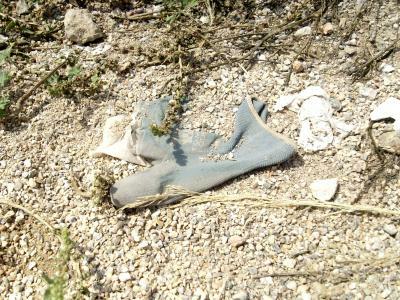 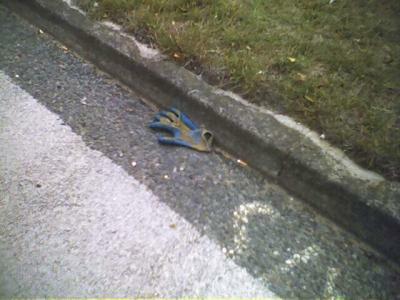 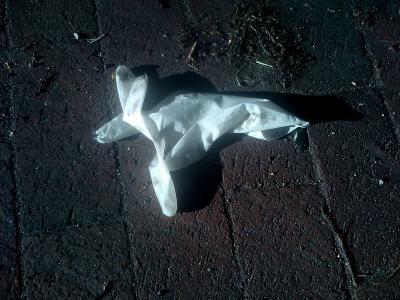 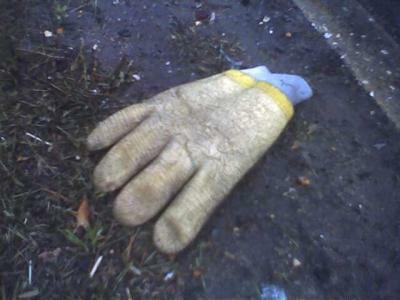 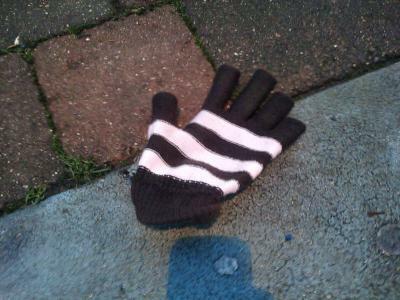 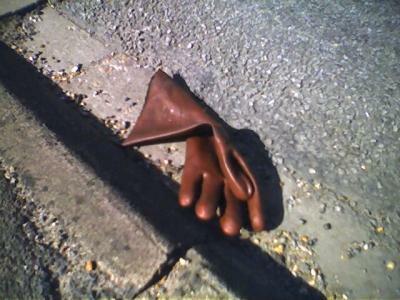 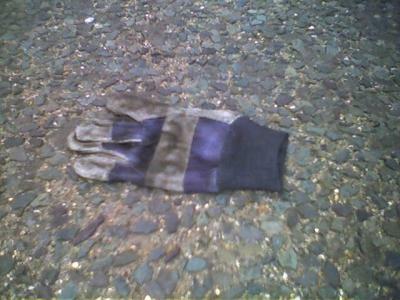 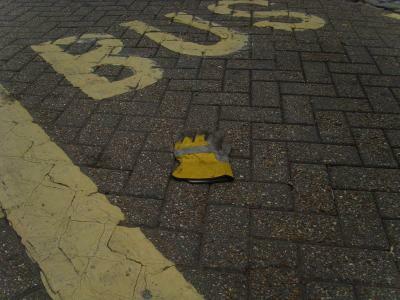 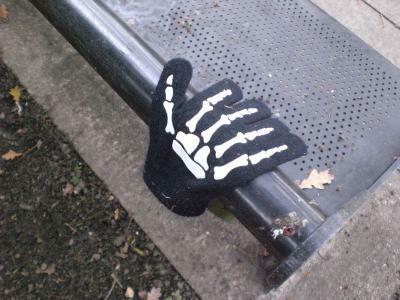 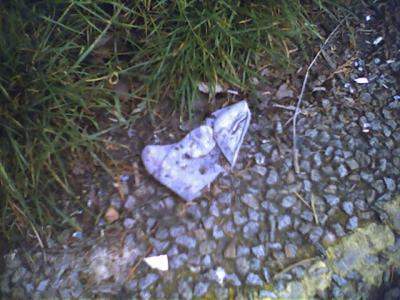 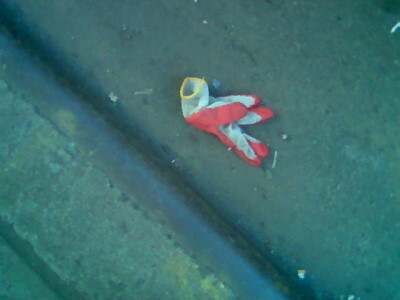 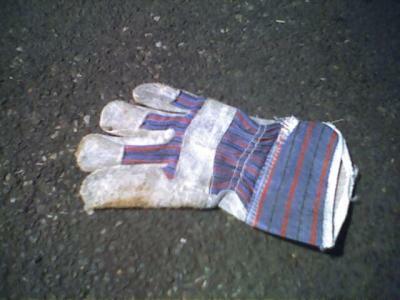 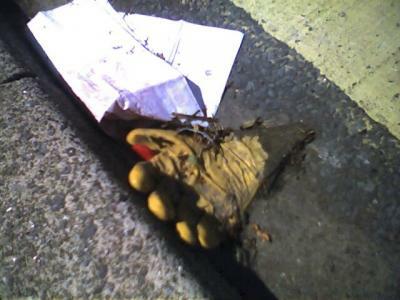 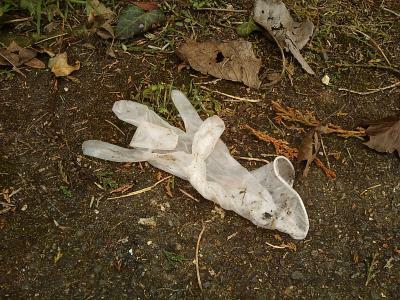 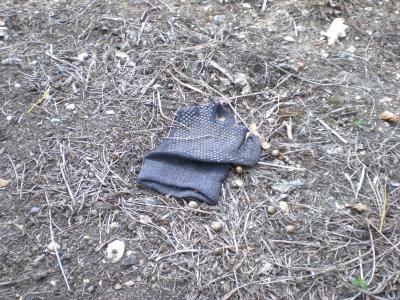 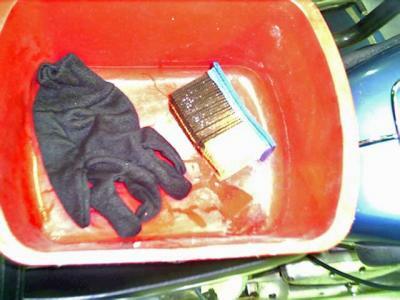 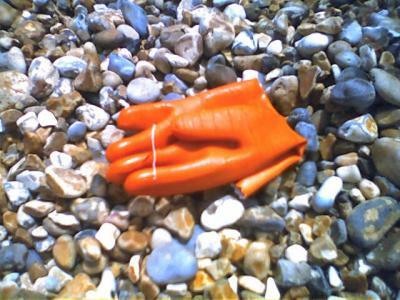 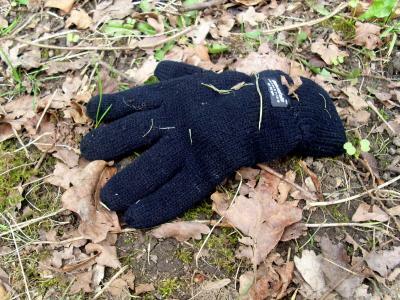 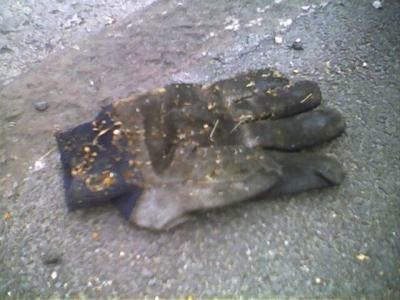 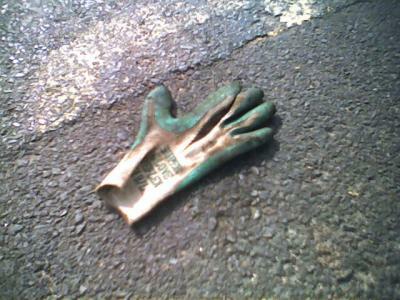 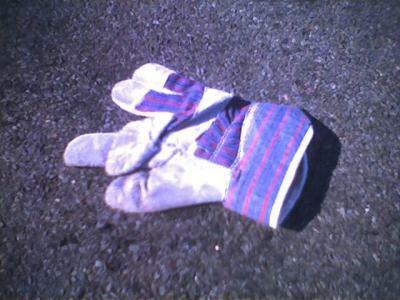 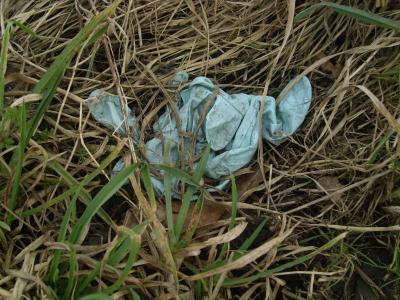 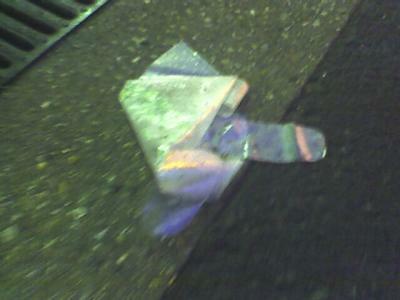 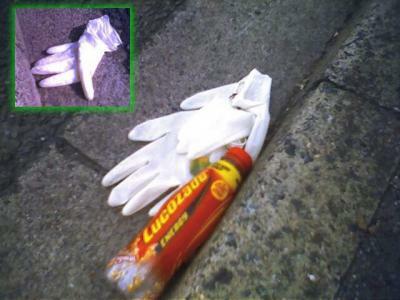 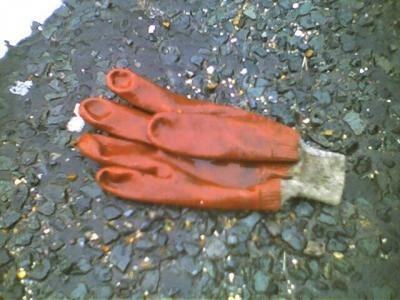 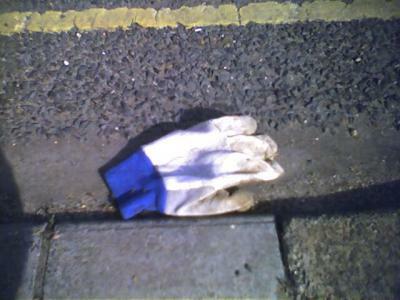 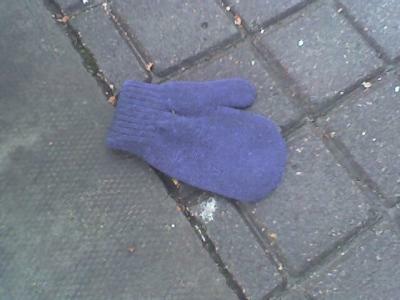 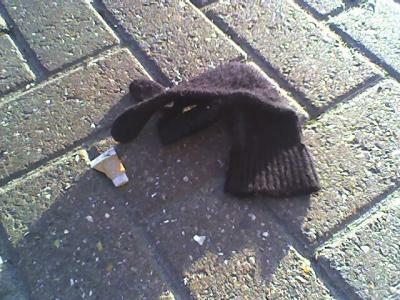 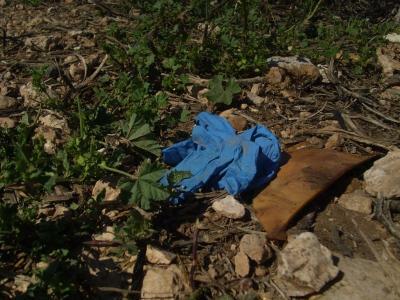 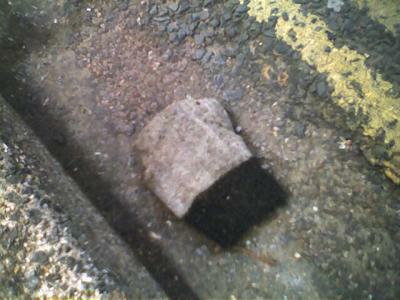 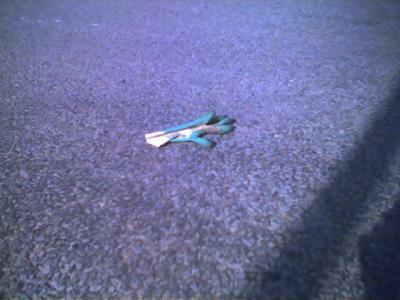 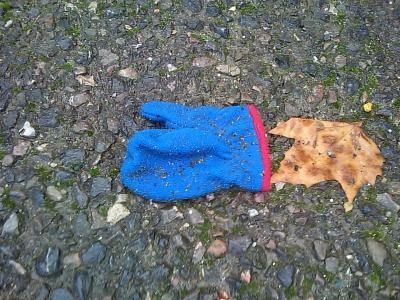 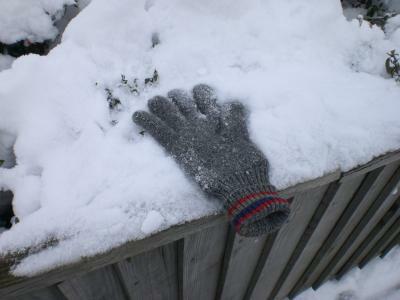 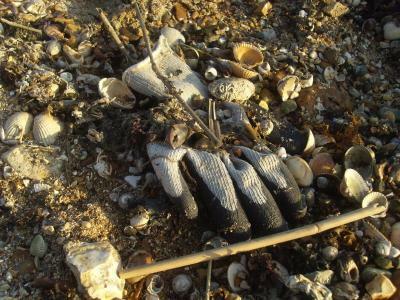 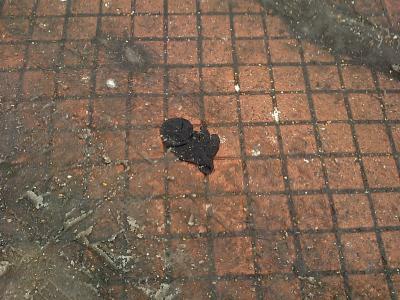 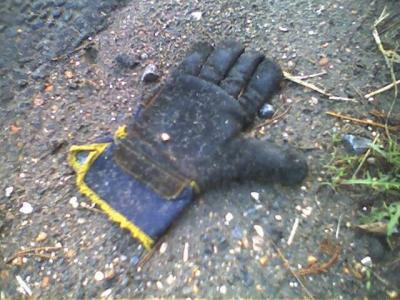 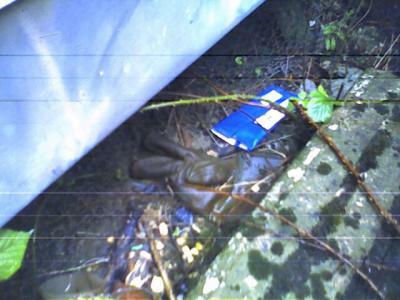 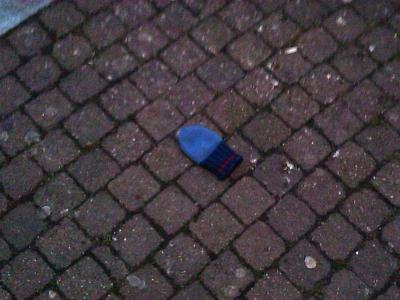 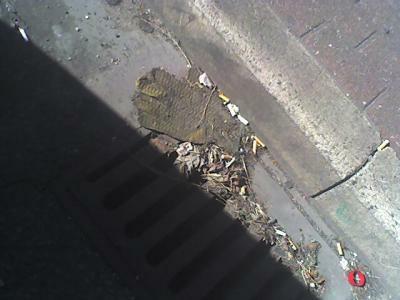 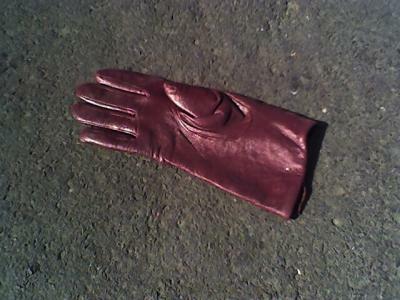 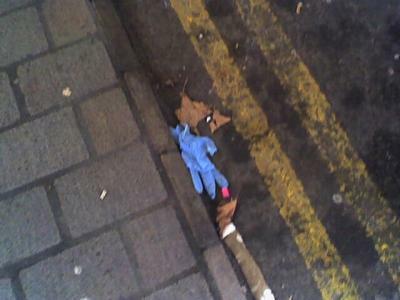 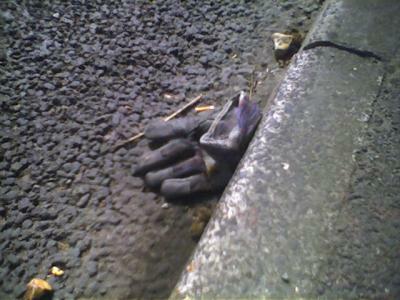 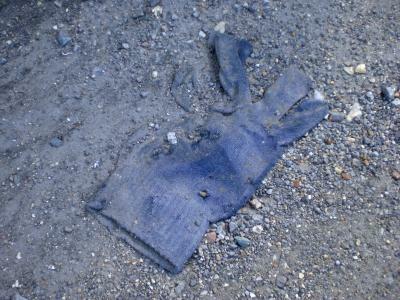 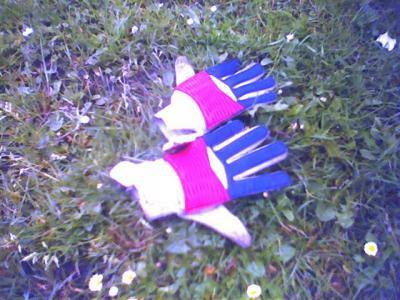 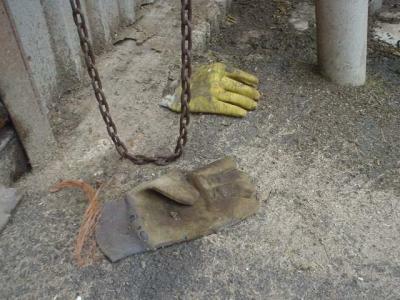 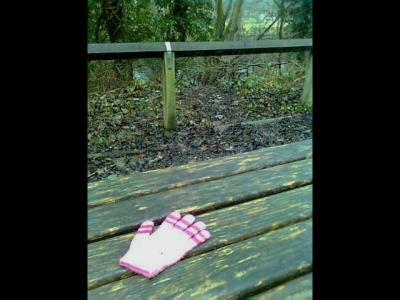 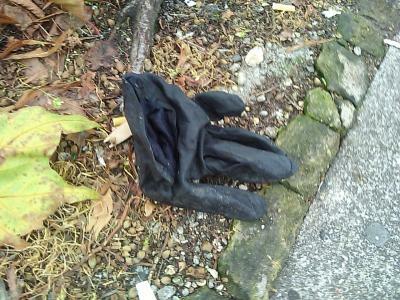 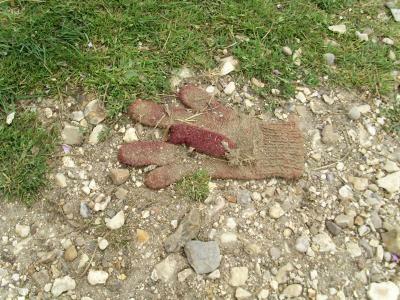 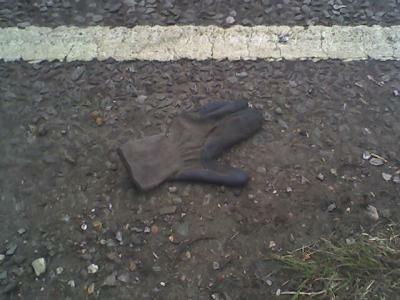 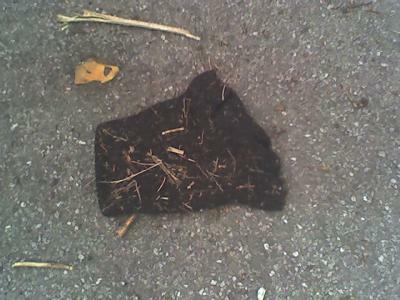 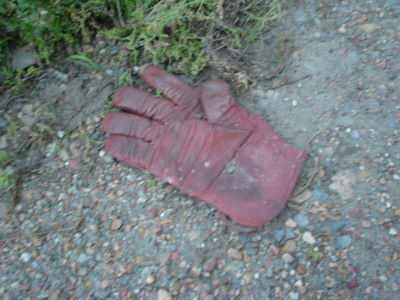 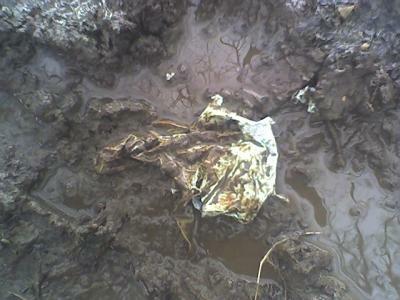 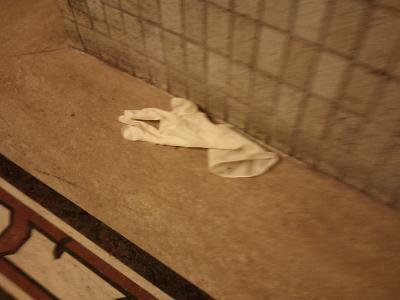 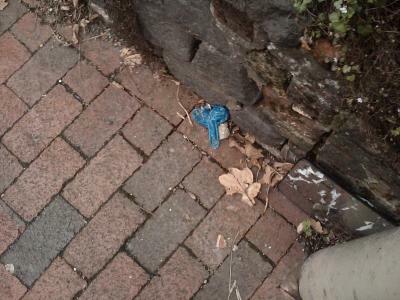 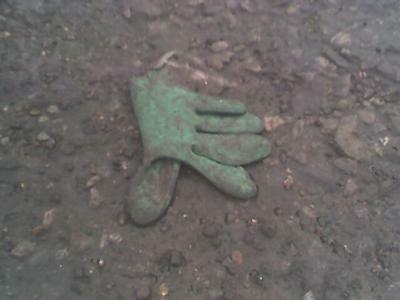 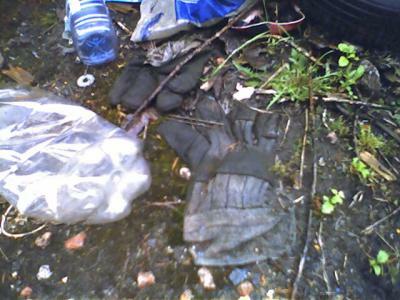 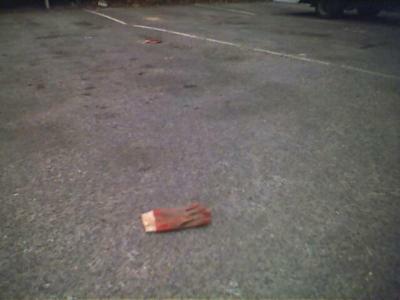 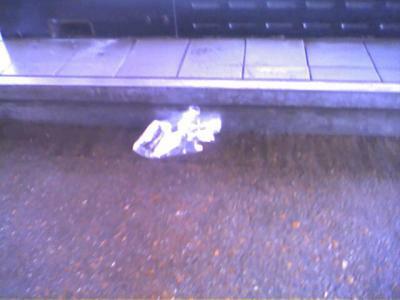 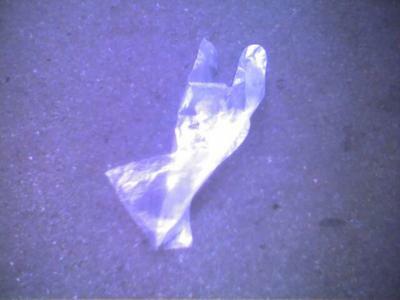 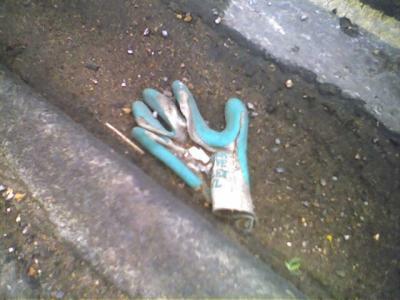 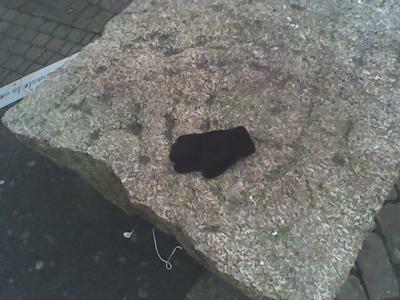 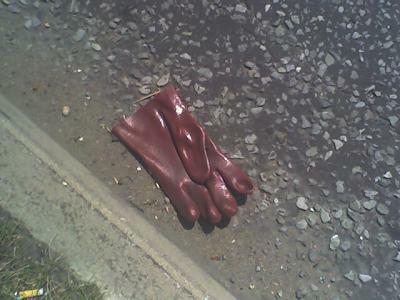 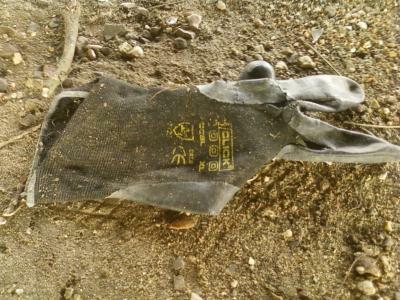 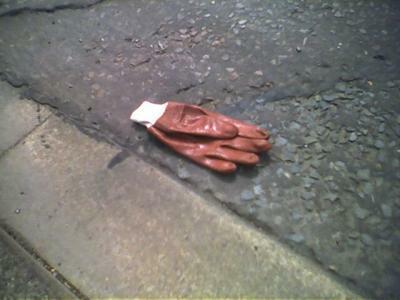 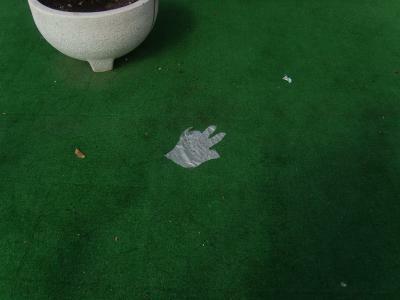 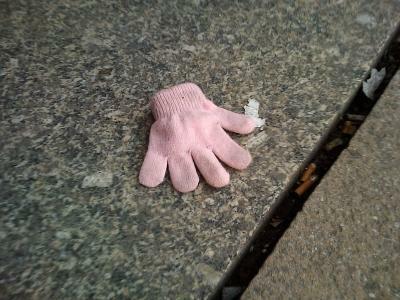 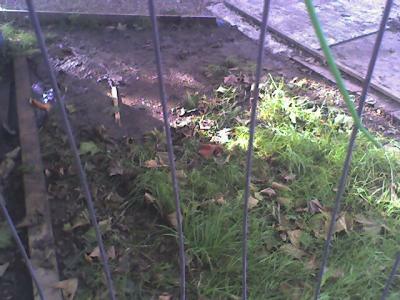 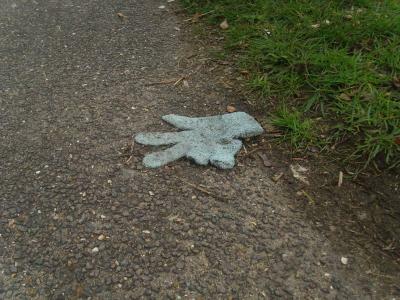 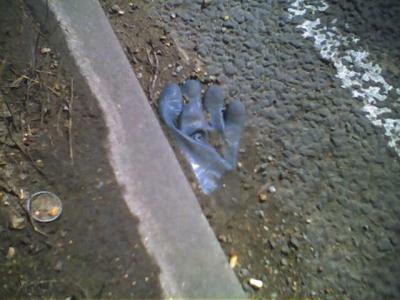 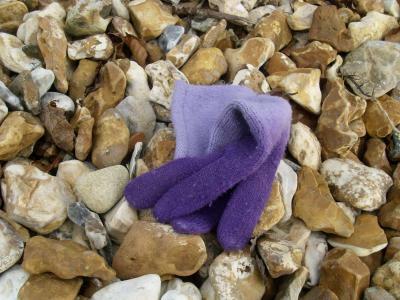 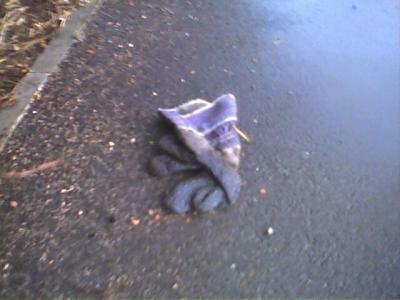 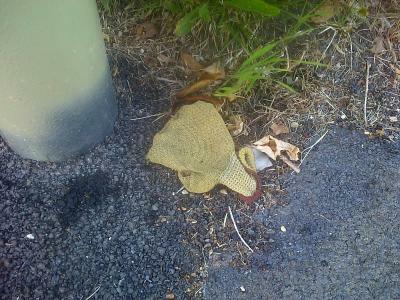 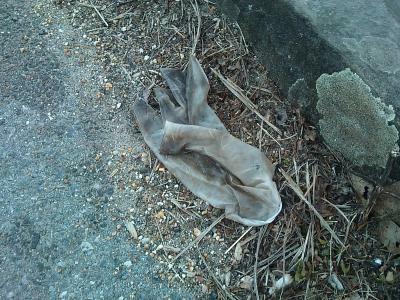 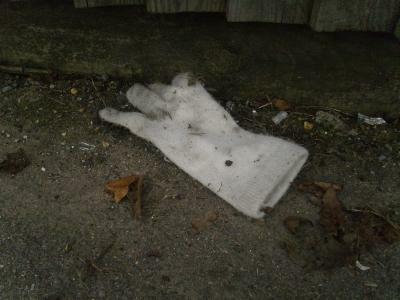 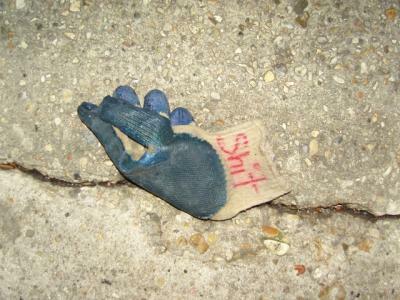 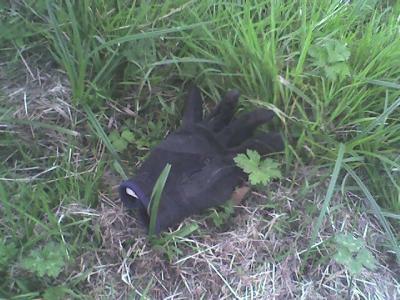 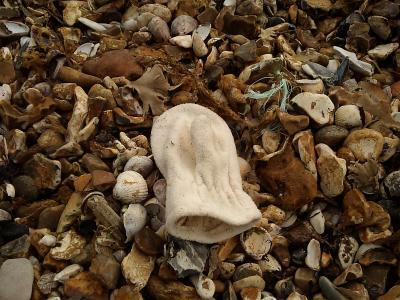 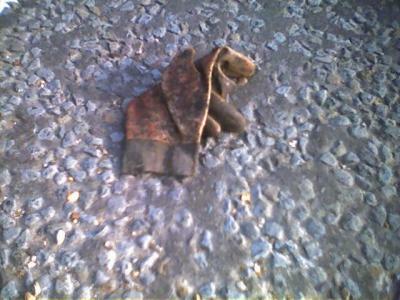 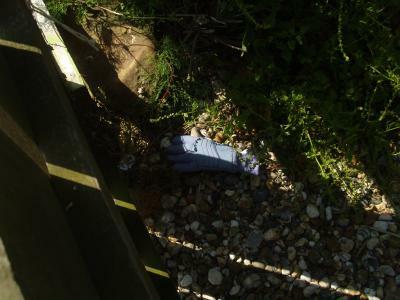 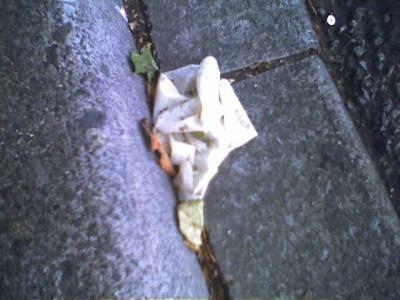 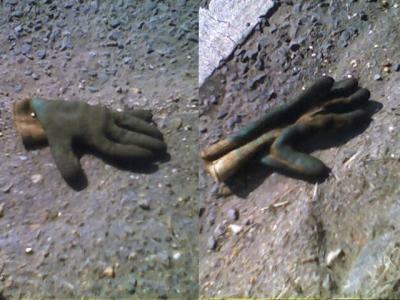 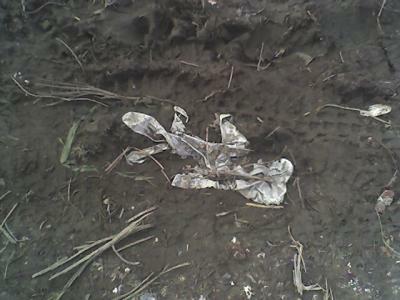 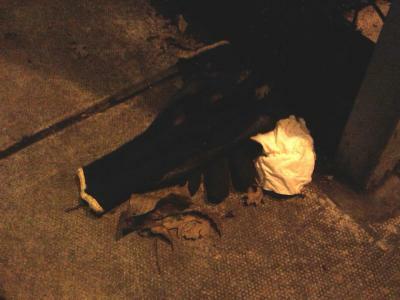 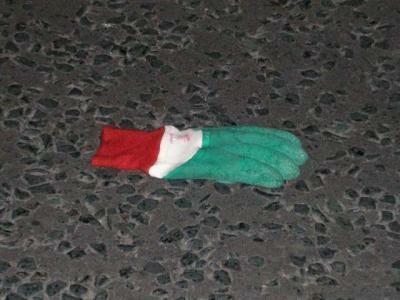 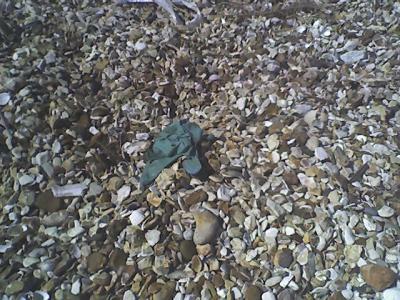 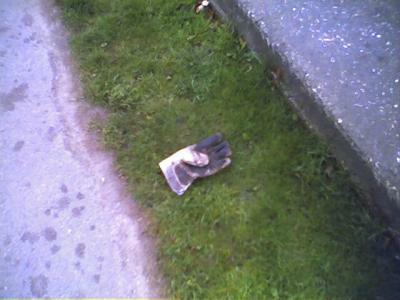 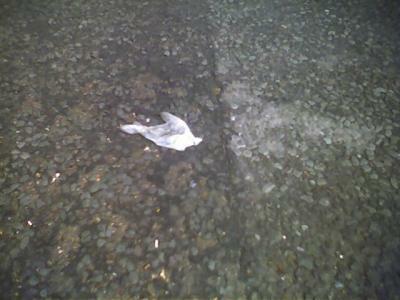 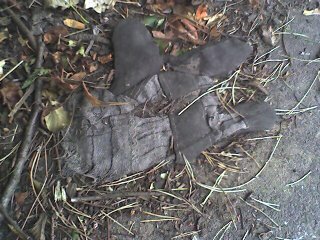 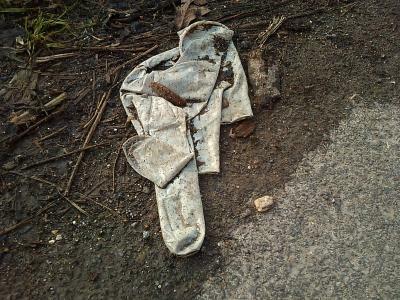 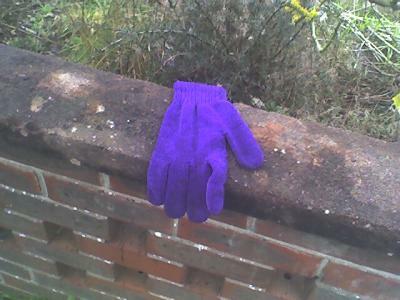 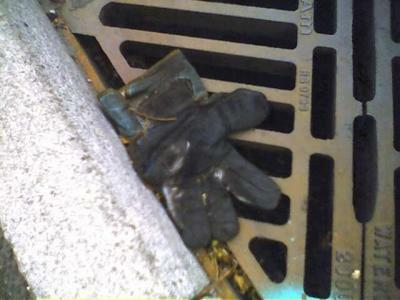 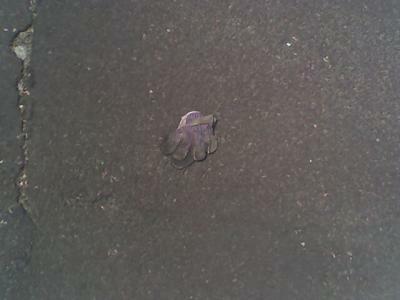 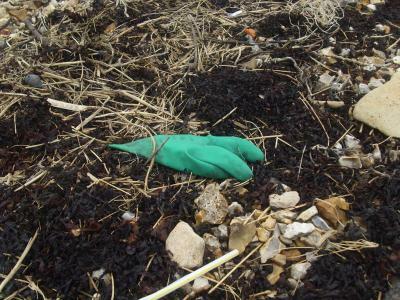 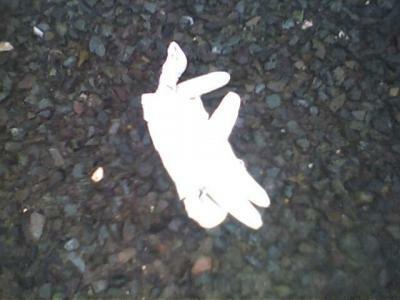 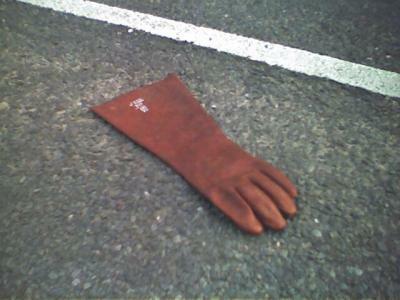 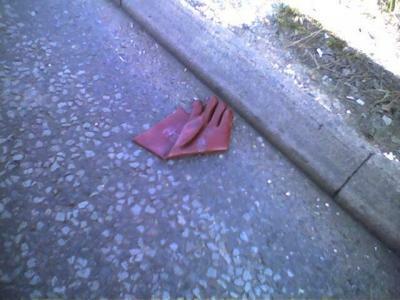 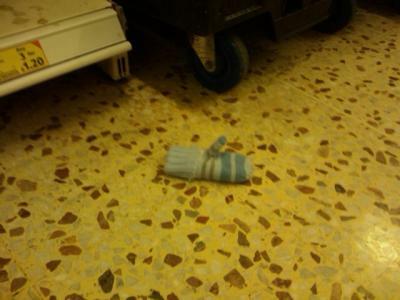 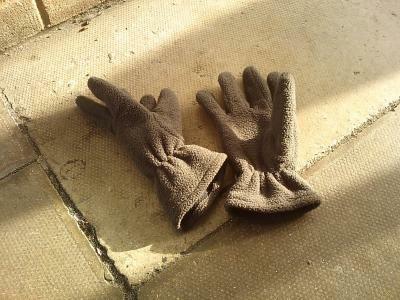 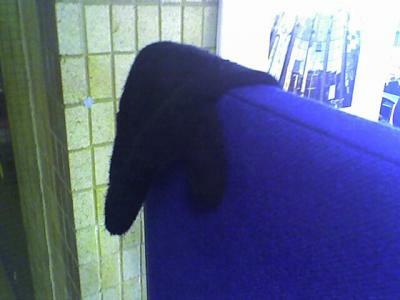 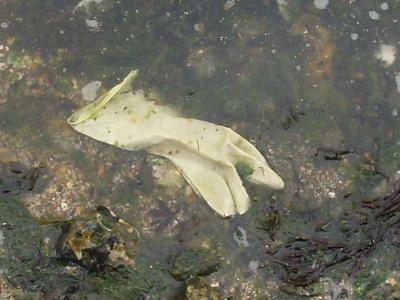 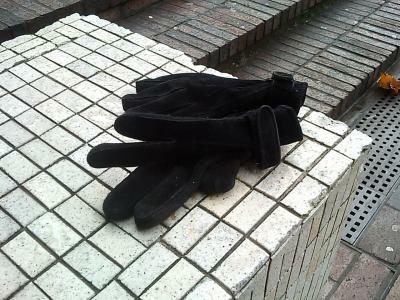 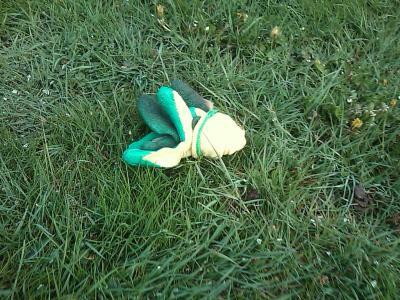 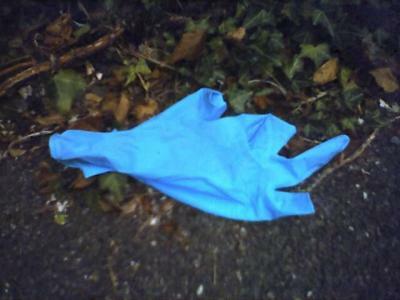 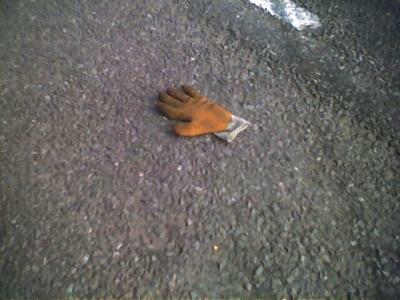 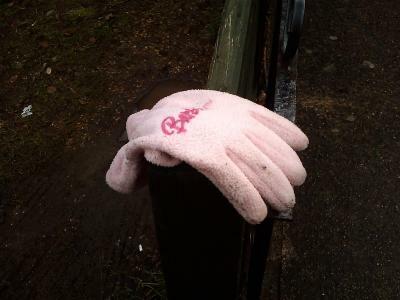 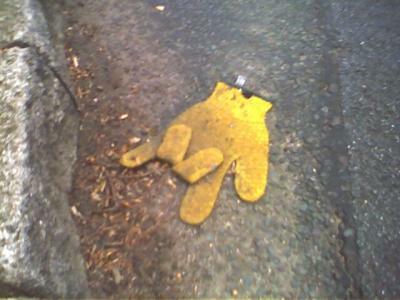 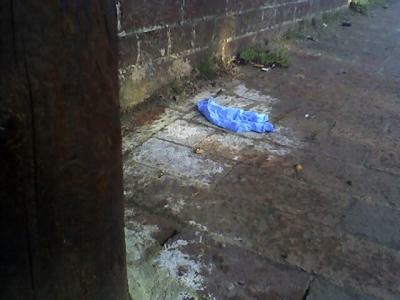 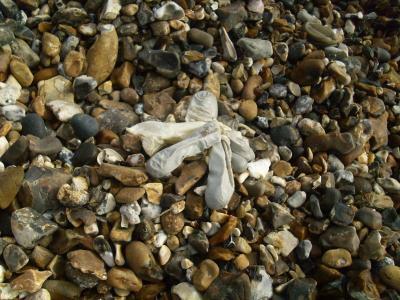 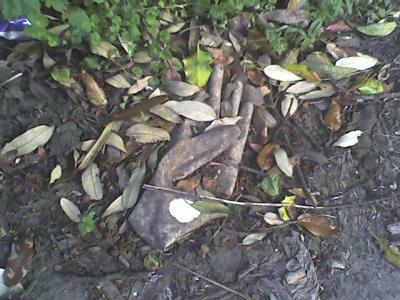 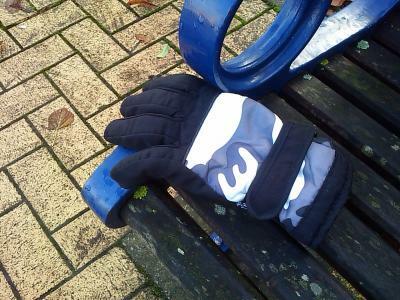 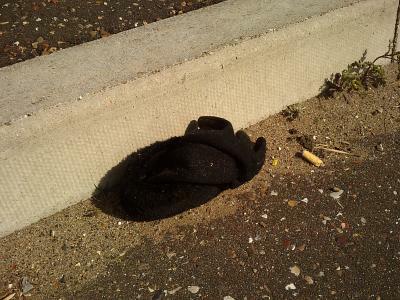 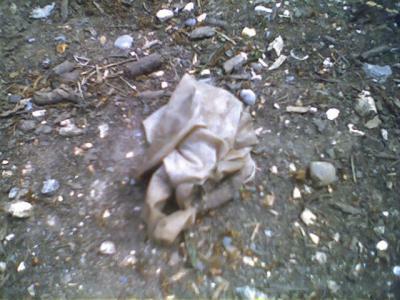 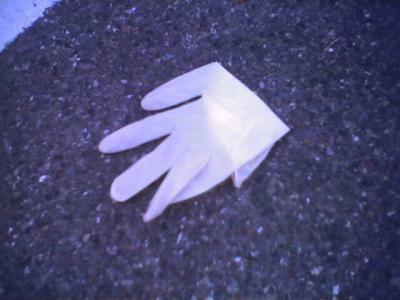 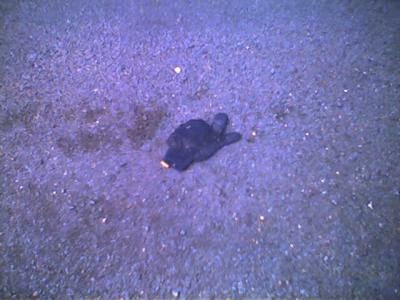 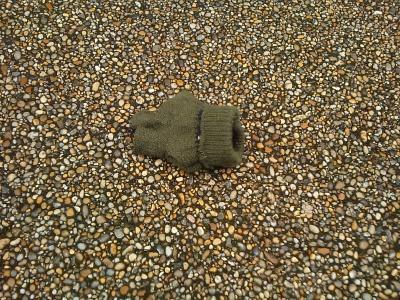 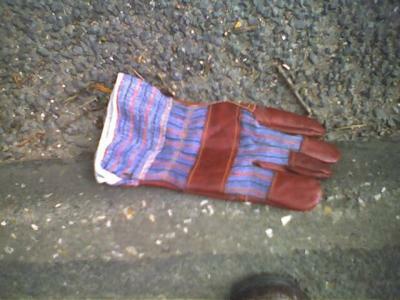 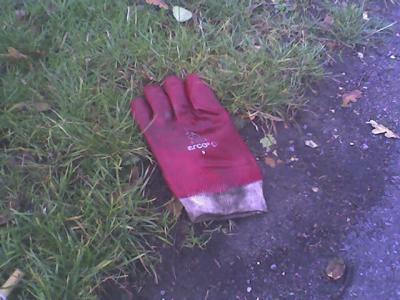 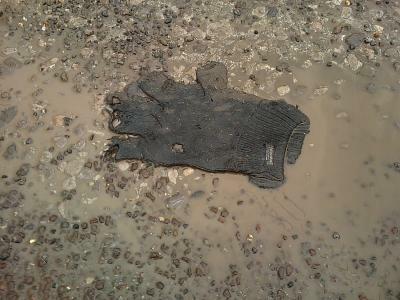 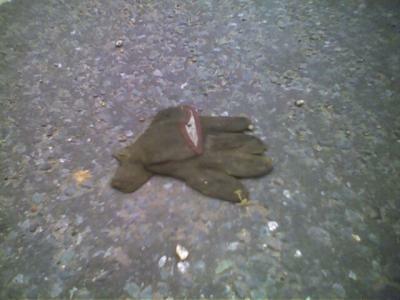 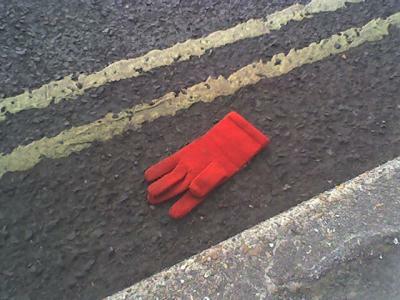 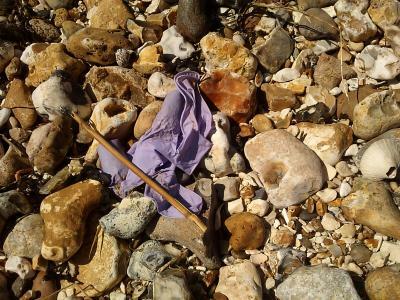 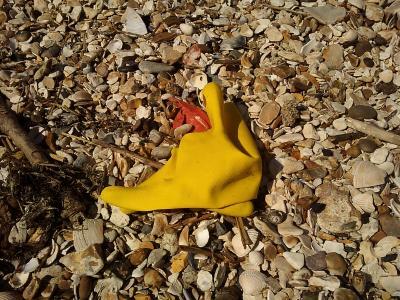 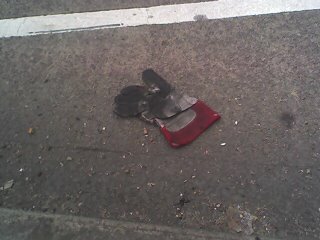 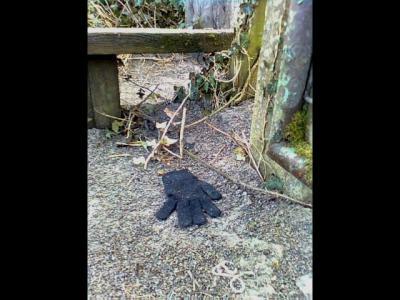 I collect photographs of lost or abandoned gloves. 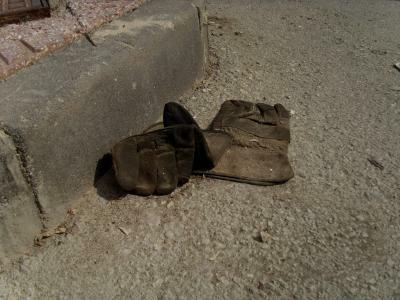 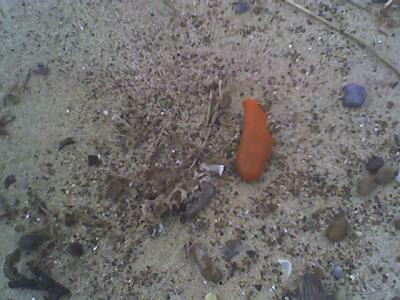 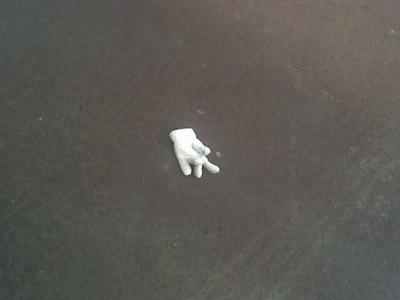 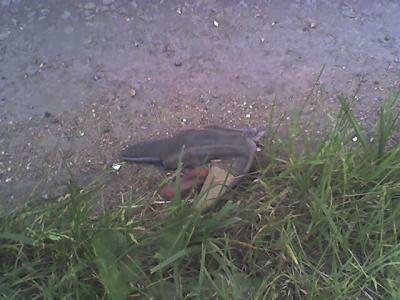 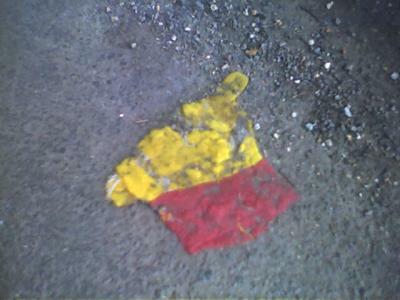 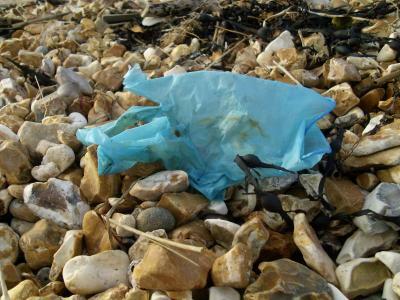 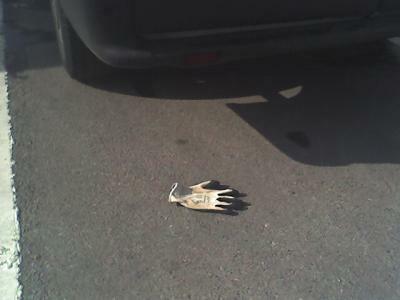 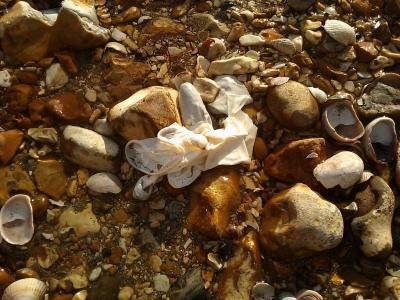 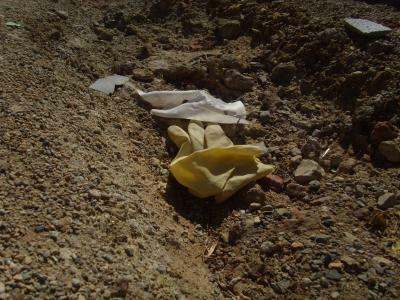 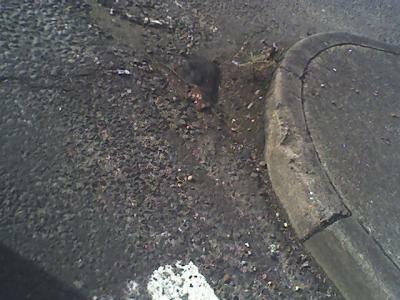 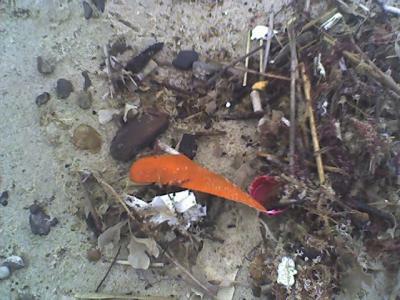 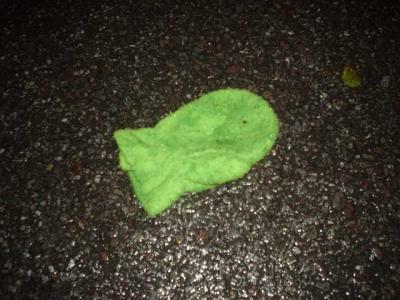 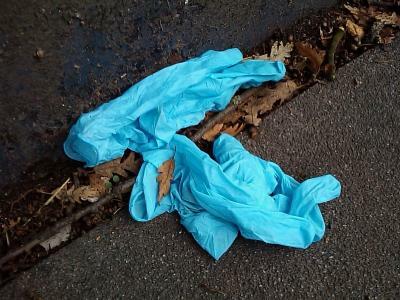 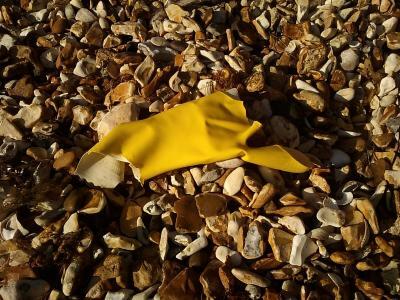 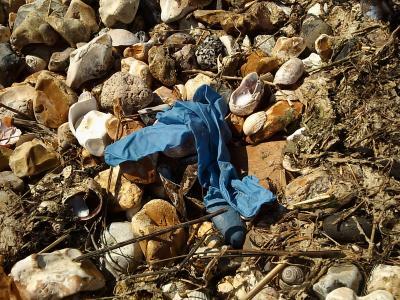 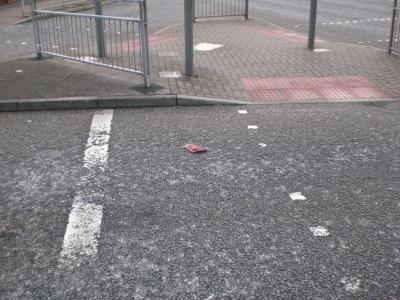 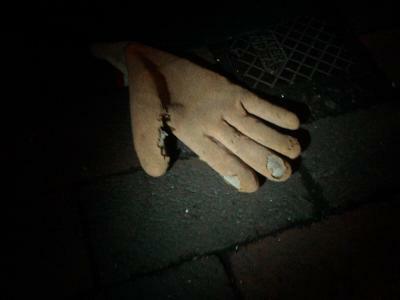 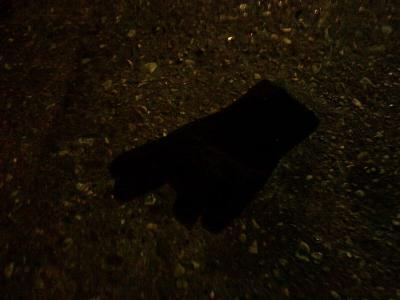 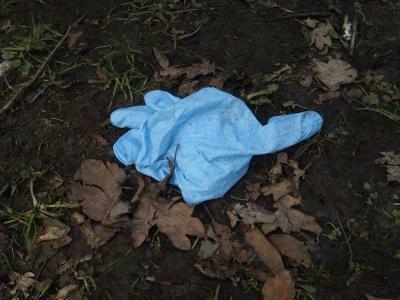 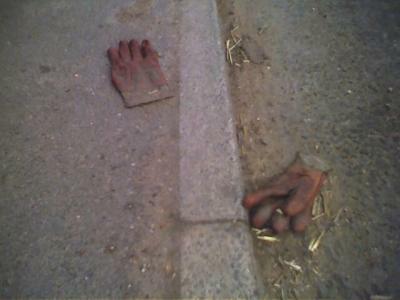 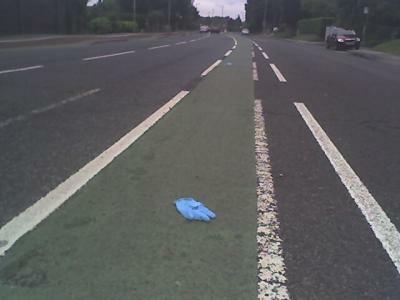 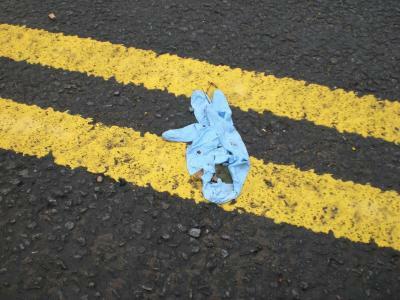 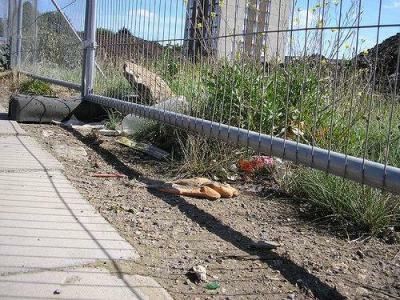 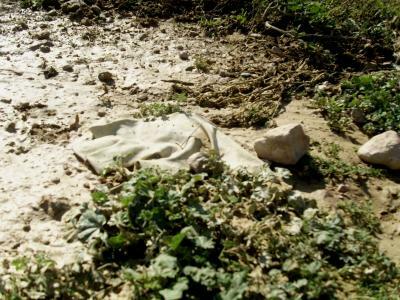 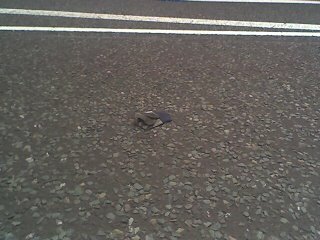 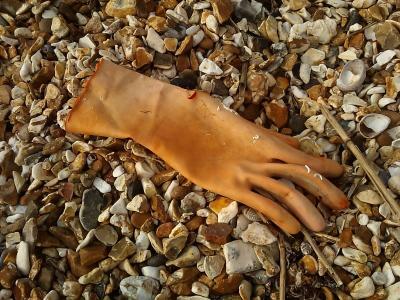 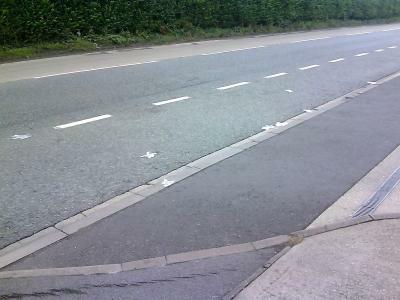 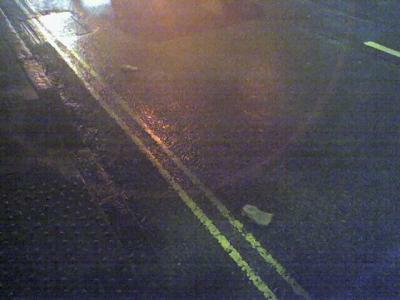 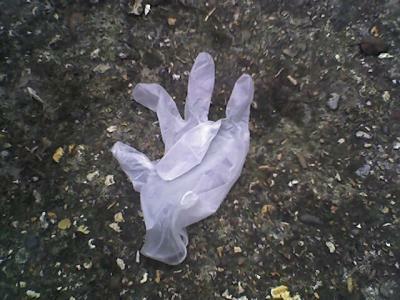 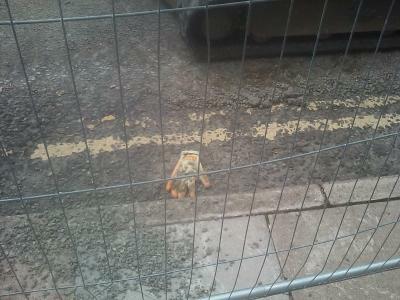 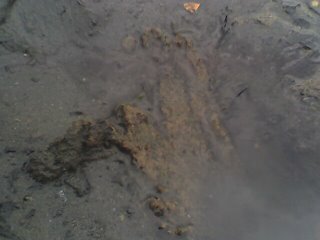 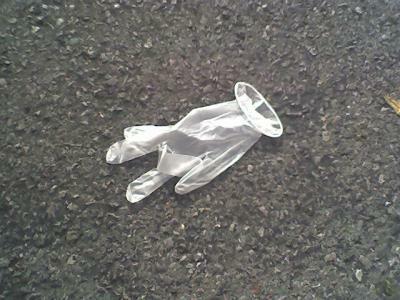 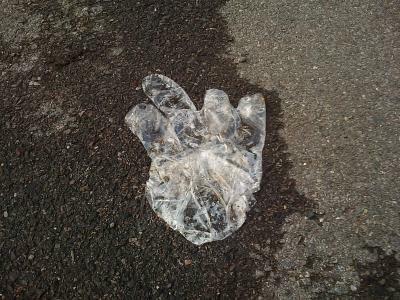 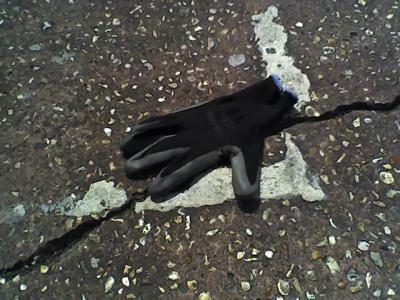 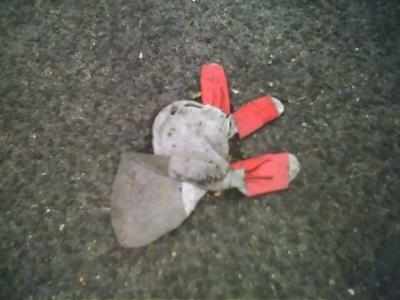 Well, perhaps unlike most other garments, gloves - when unworn - retain a very strong identity of the body part that they are intended to clothe - a red builder's glove, lying there flattened in the road seems like an accidentally severed hand. 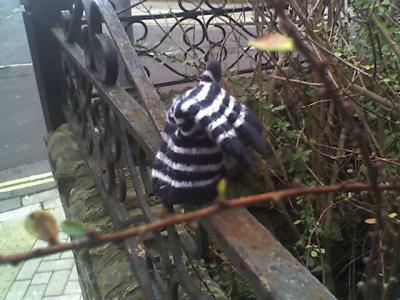 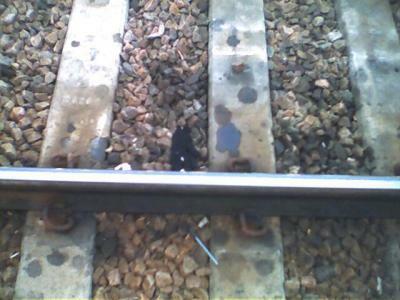 Lost gloves are such profoundly sad and lost objects; a child's dropped mitten, impaled on the spike of a metal railing (put there no doubt by some helpful passer-by) seems to be waving, crying out in desperation - not only to be reunited with its owner's hand, but with its opposite of the pair. 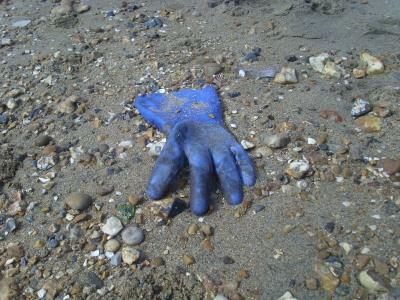 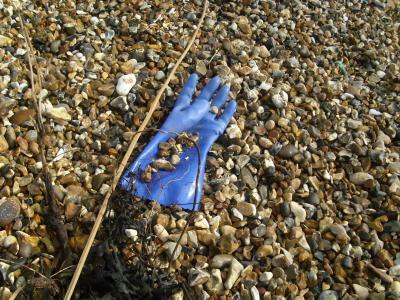 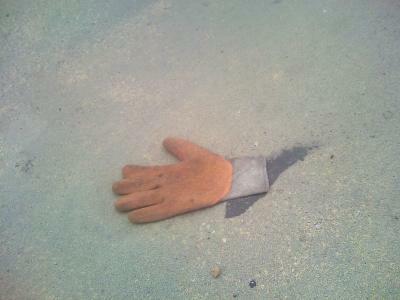 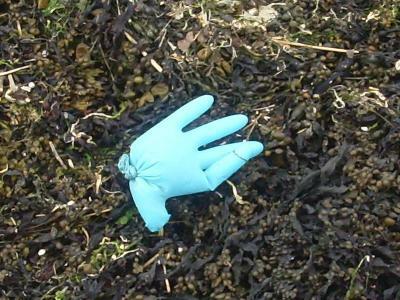 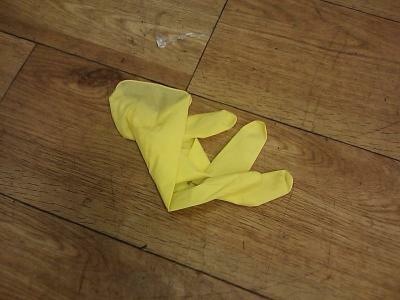 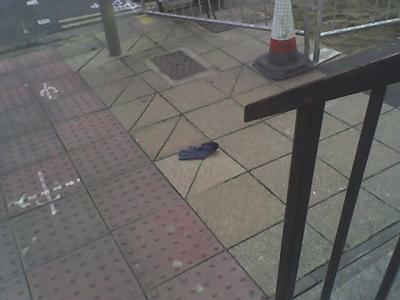 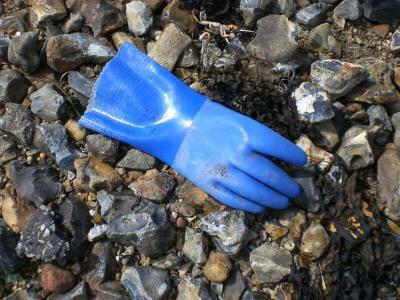 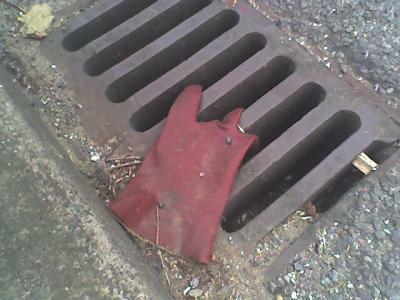 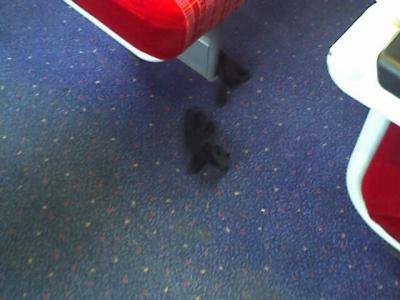 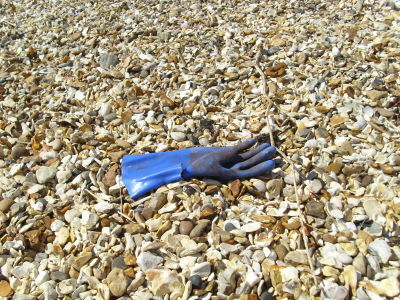 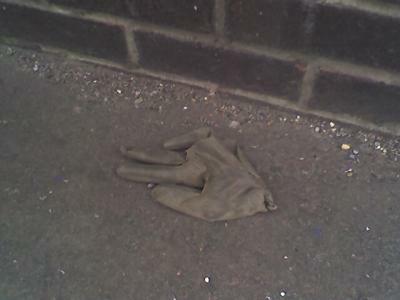 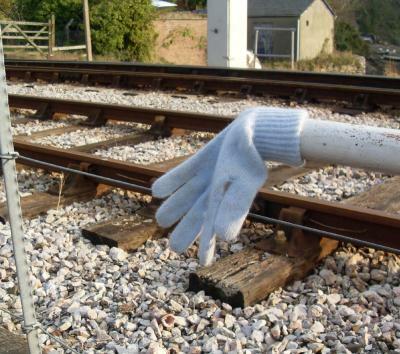 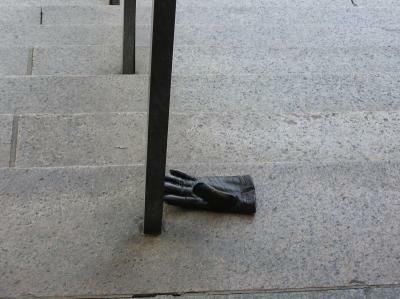 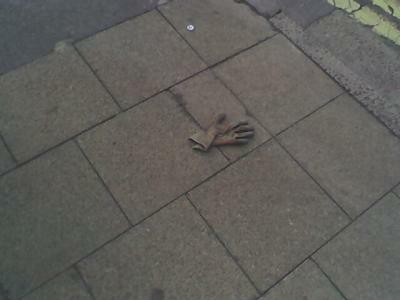 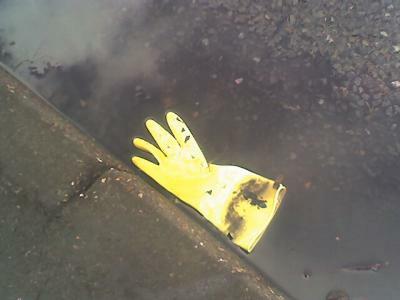 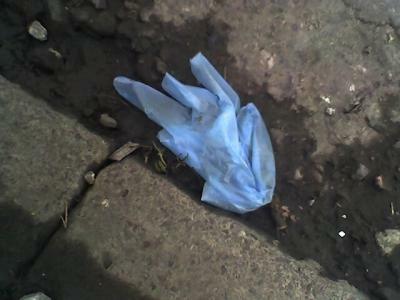 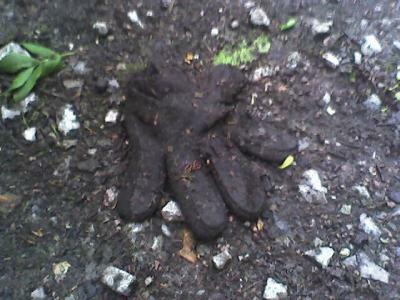 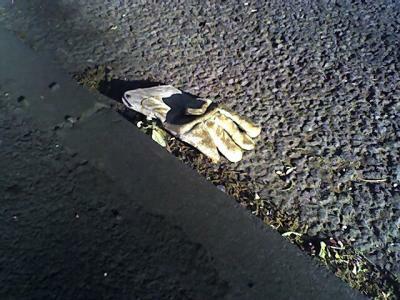 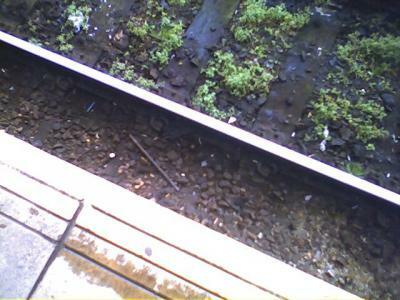 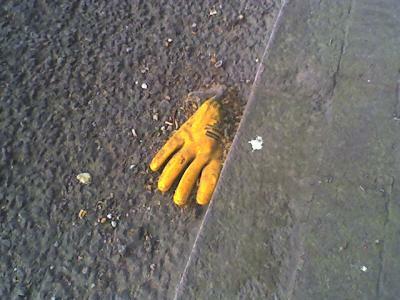 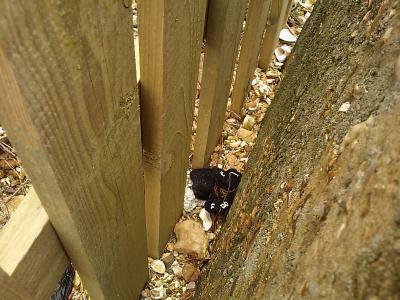 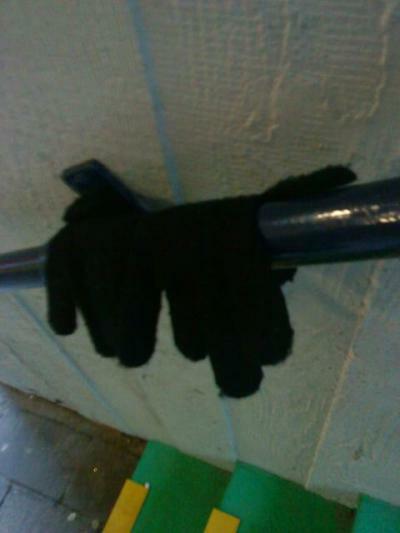 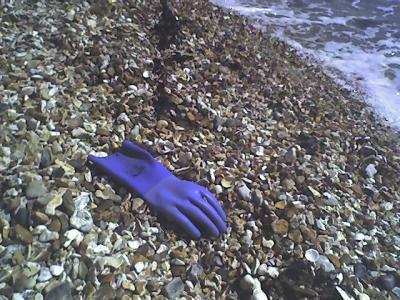 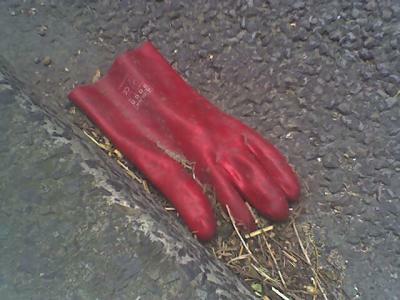 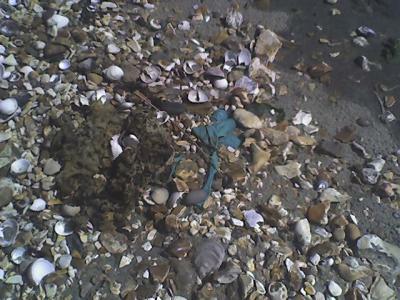 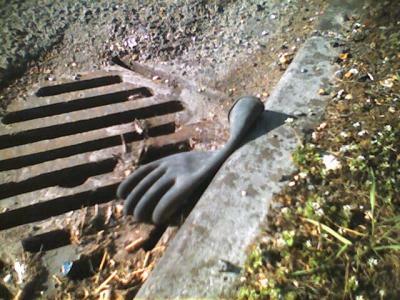 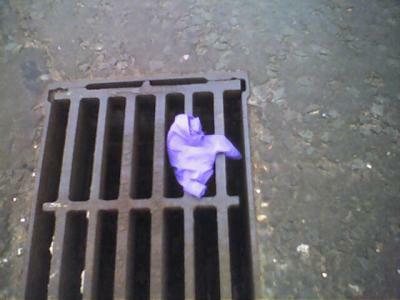 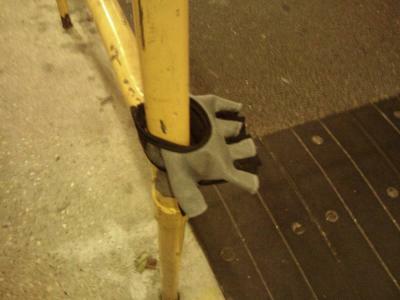 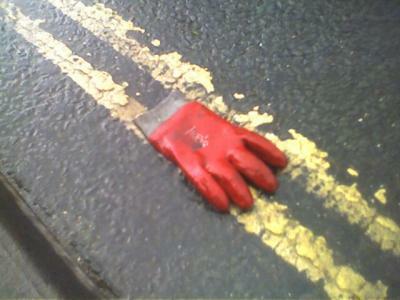 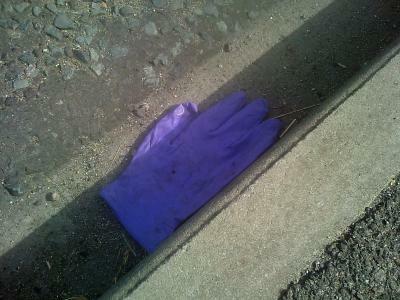 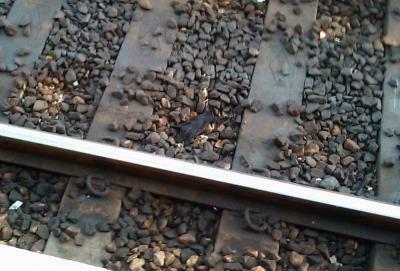 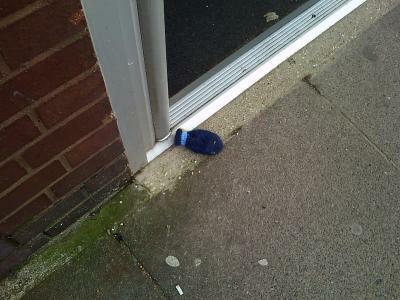 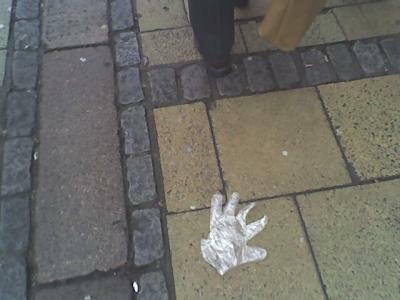 Have You Found A Glove? 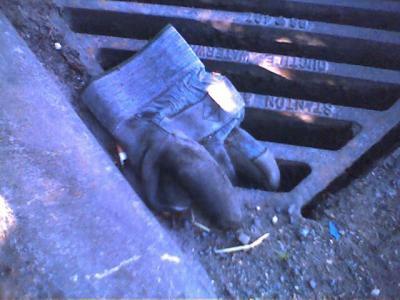 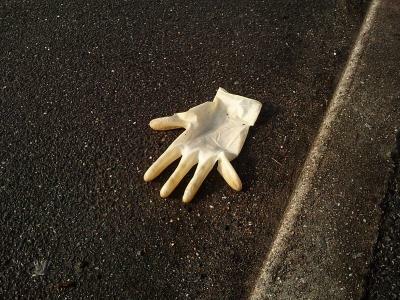 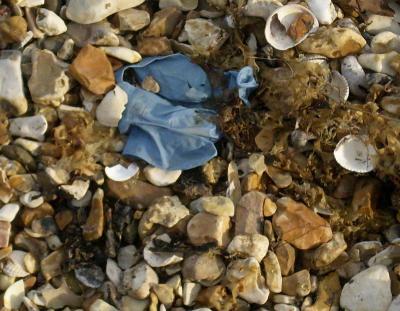 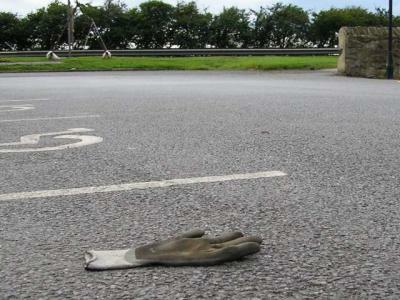 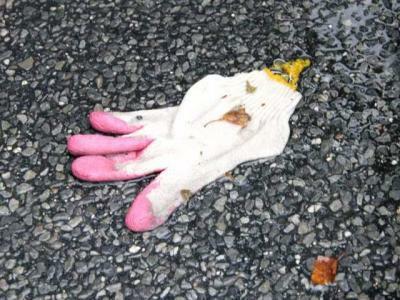 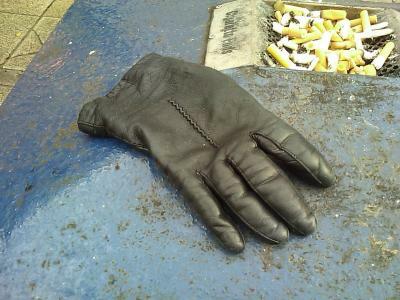 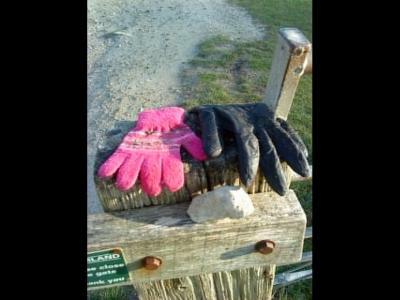 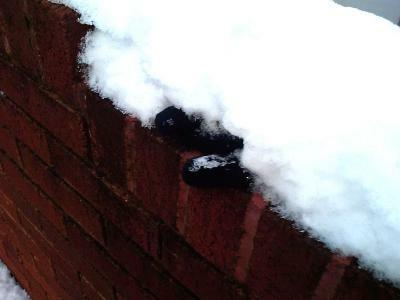 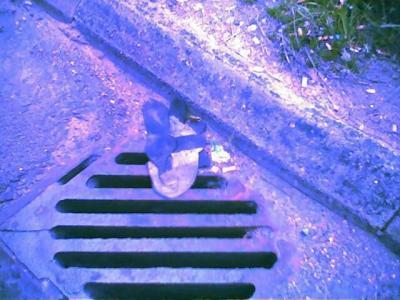 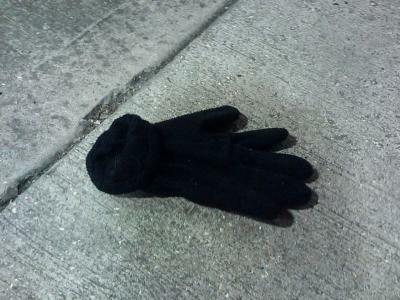 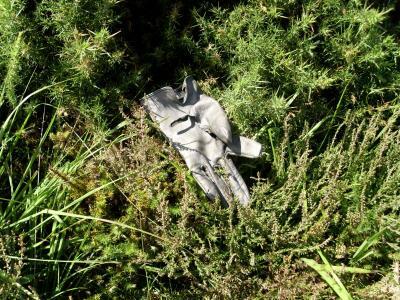 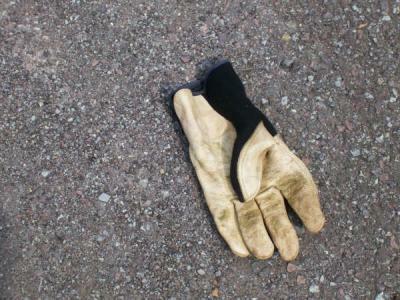 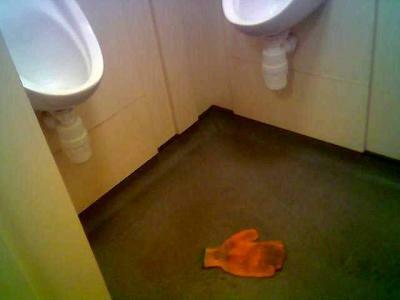 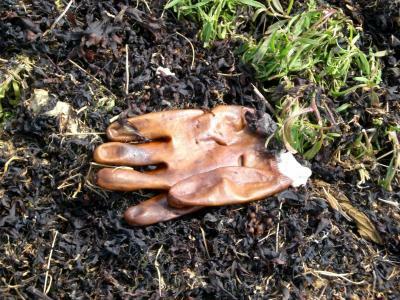 Have you ever found a lost glove? 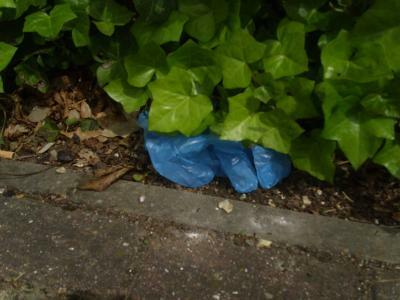 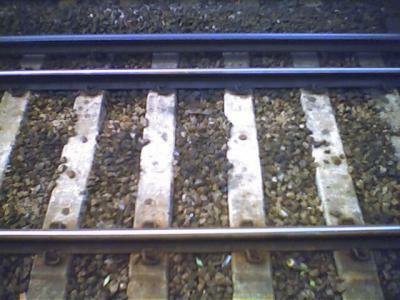 If you've never noticed them before, I bet you will now - they're everywhere - and now the idea is in your head, you won't be able to avoid seeing them. 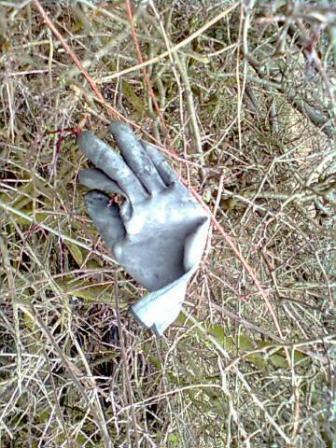 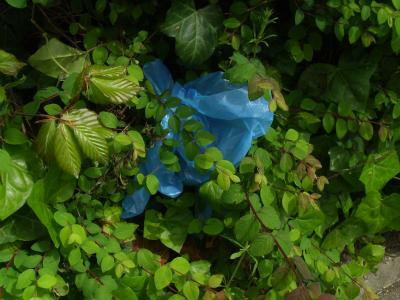 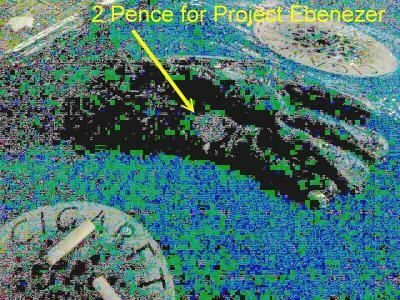 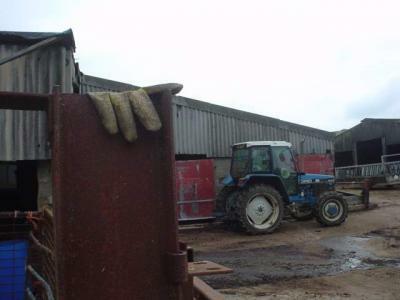 Unfortunately, I can't expose an email address on this site any more, as it just becomes a target for spam - so if you'd like to submit a glove phot you've found, please contact me using the contact link top right - I'll reply with an email address you can send the photo to. 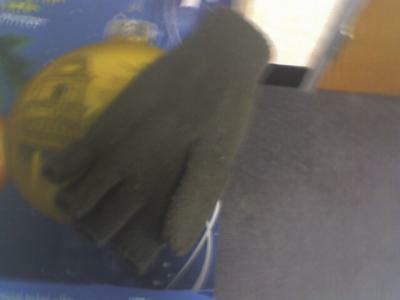 Sorry that's more complex than it ought to be. 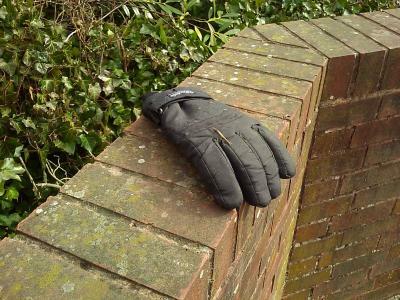 Also, please be aware that when you take photos of lost gloves - this I know from experience - people will look at you funny. 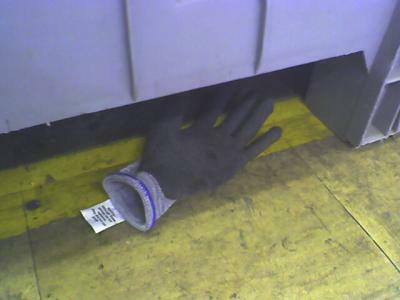 I think your secretly just murdering people and keeping their gloves for your collection. 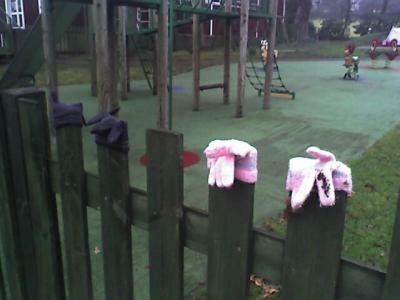 NOBODY finds that many gloves... 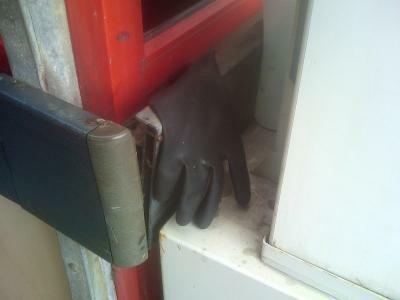 I'm on to you sir! 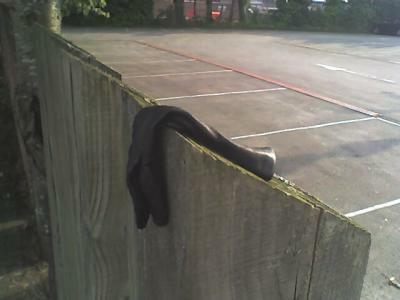 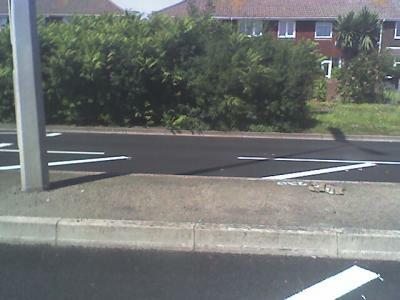 The police have been notified. 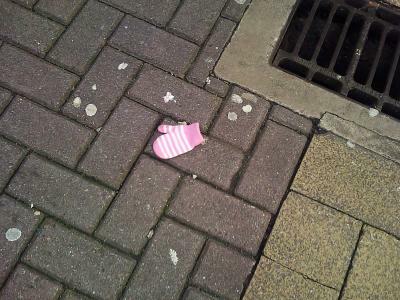 Yes, but where do all the odd socks go? 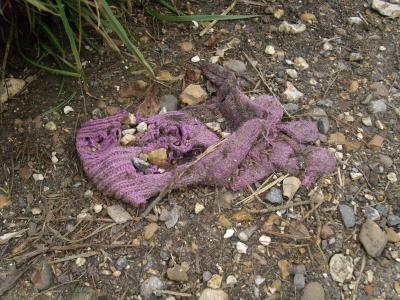 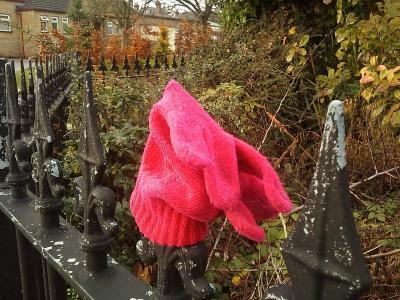 We find lost hats instead of gloves.